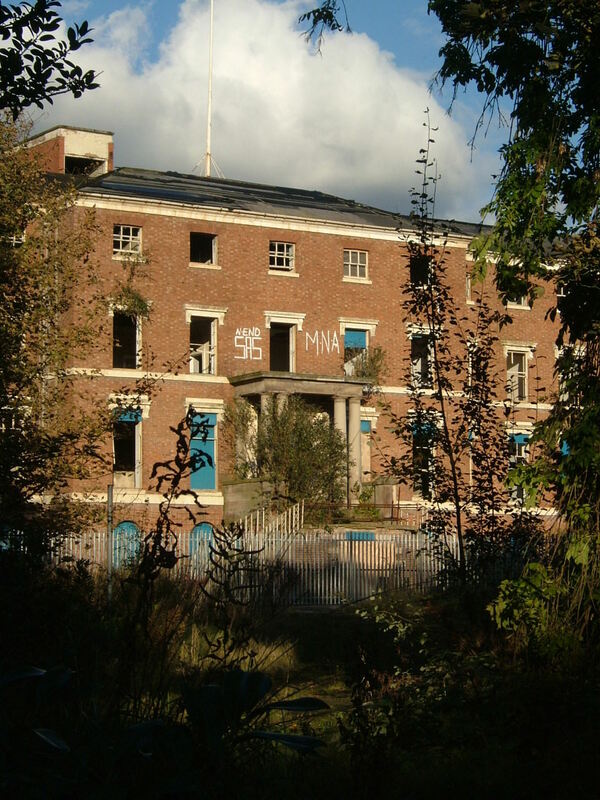 The asylum at Stafford was in the first group built subsequent to the permissive act of 1808 allowing county authorities to construct their own institutions for the care, custody and treatment of lunatics or to combine with subscribers to do so. 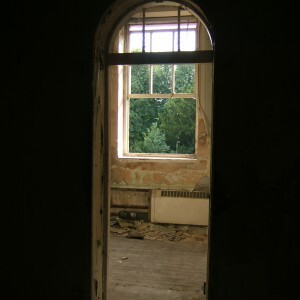 The County of Staffordshire chose the latter route to provide accommodation for pauper lunatics as well as charitable and private fee-paying patient in an arrangement, which would last until the 1850’s. 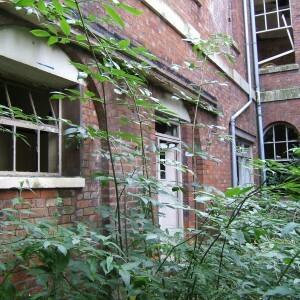 The subscribers had already planned to provide asylum wards at the Staffordshire General Infirmary and had already amassed funds to do so. 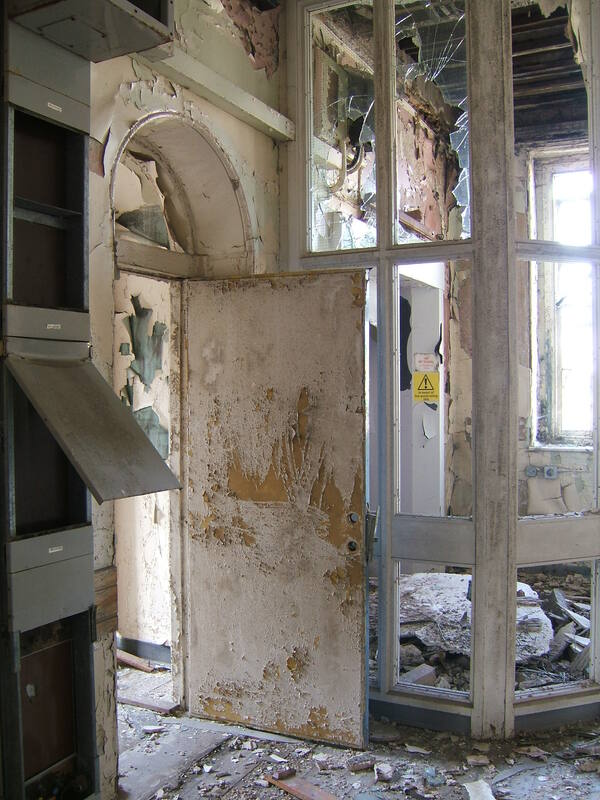 The approach of the County who gave security for on-going financial assurance via the local rates was cautiously accepted and the two bodies formed a body to develop and manage an asylum on a site separate from the Infirmary. 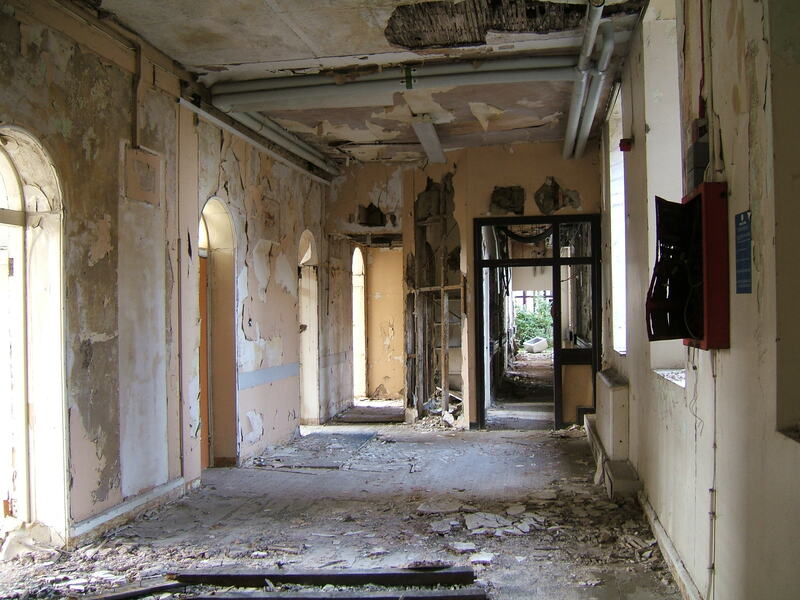 At the time of opening England had little experience of constructing pauper asylums and much of the knowledge regarding construction and design had come by way of earlier subscription asylum such as Bethlem and St. Luke’s, both in London. 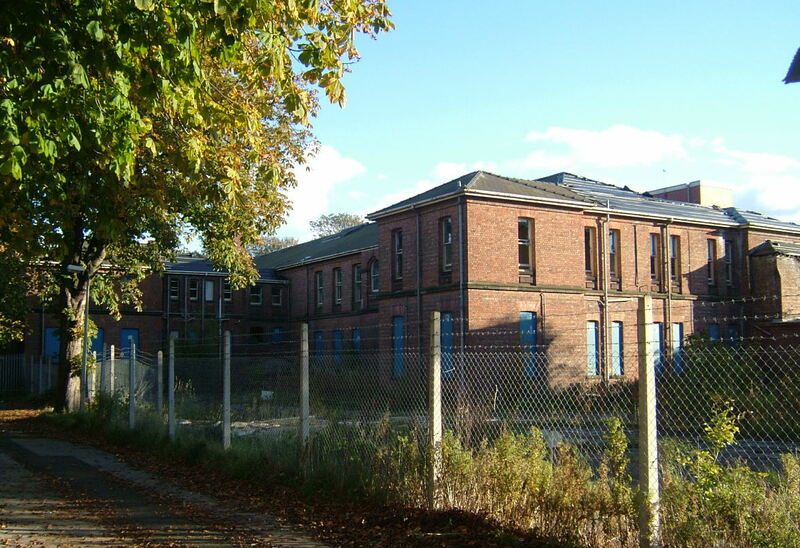 The earliest of the new wave of county asylums had opened only 6 years before at Nottingham, quickly followed in the same year by Bedford, Thorpe (Norfolk) in 1814, Lancaster in 1816 and Wakefield (West Riding of Yorkshire) in the same year as Stafford. 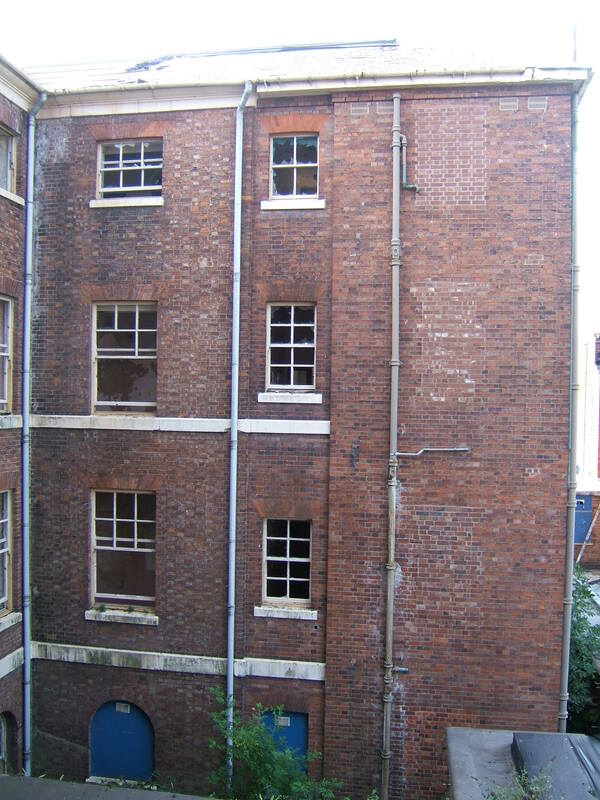 The architect of the scheme was County Surveyor Joseph Potter, and his scheme consisted of a long, linear block spread over three upper floors and a basement level. 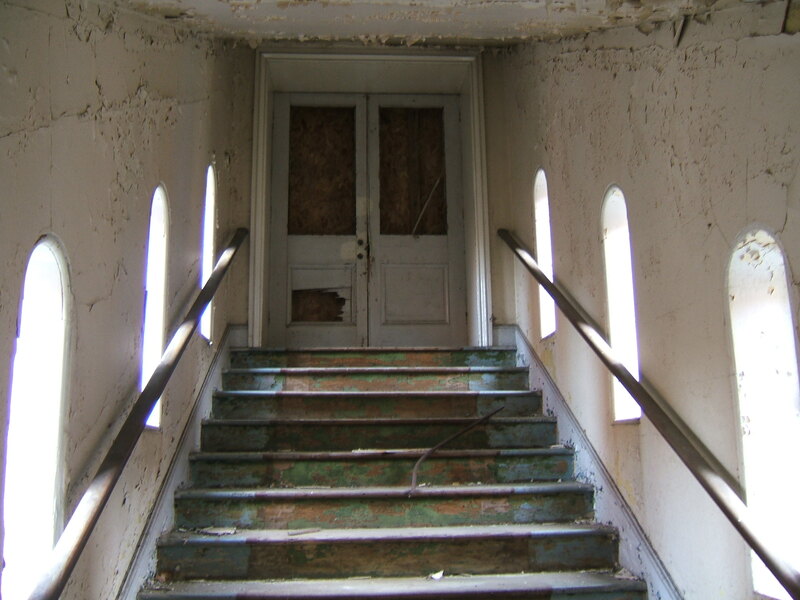 The formal entrance was located via a flight of steps and gave access to offices for the superintendent, committee rooms and other principal areas. 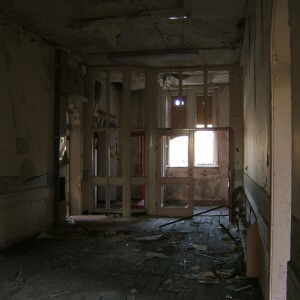 A total of 120 male and female inmates were located in wings to the left and right of the entrance respectively. 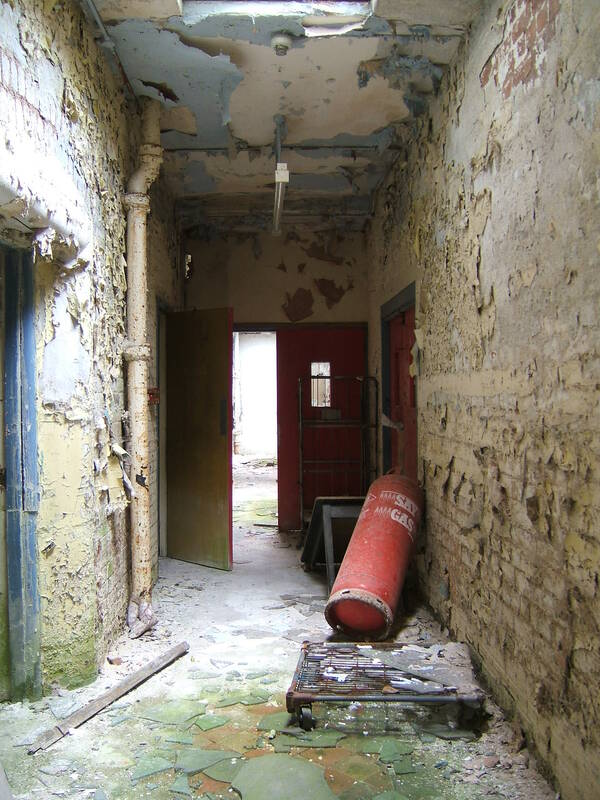 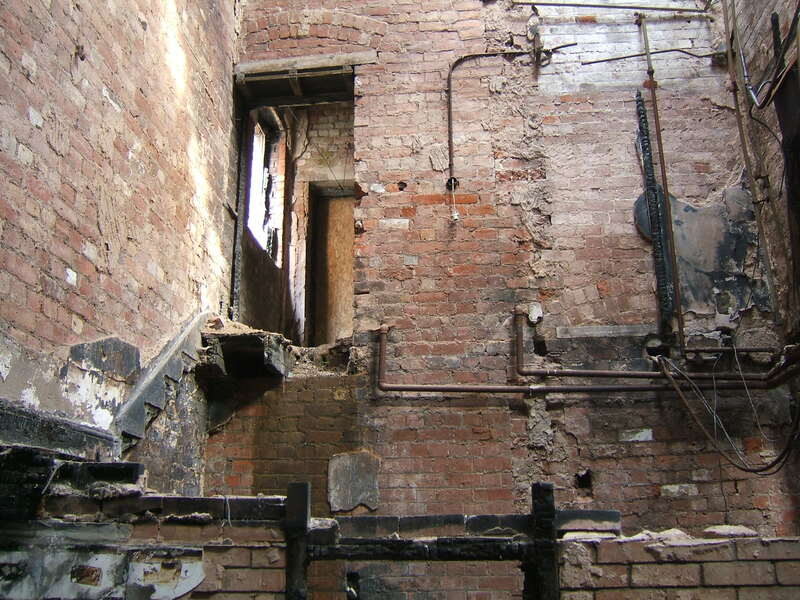 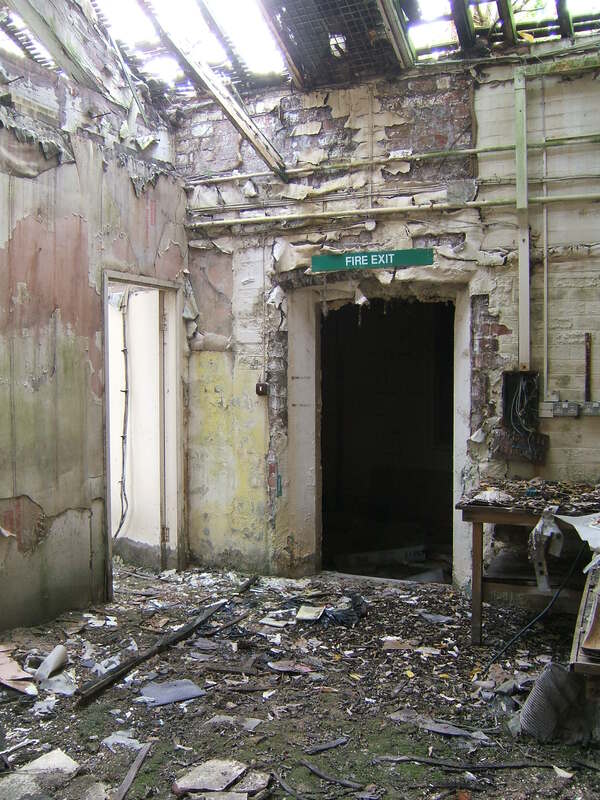 The basement area gave access for the general population and acquired the role of accommodating the wards for troublesome, refractory and dirty patients whilst the upper floors were reserved for those considered of more amenable dispositions. 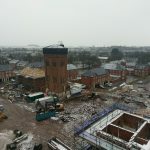 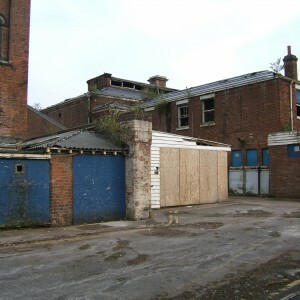 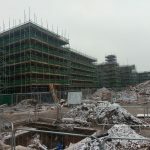 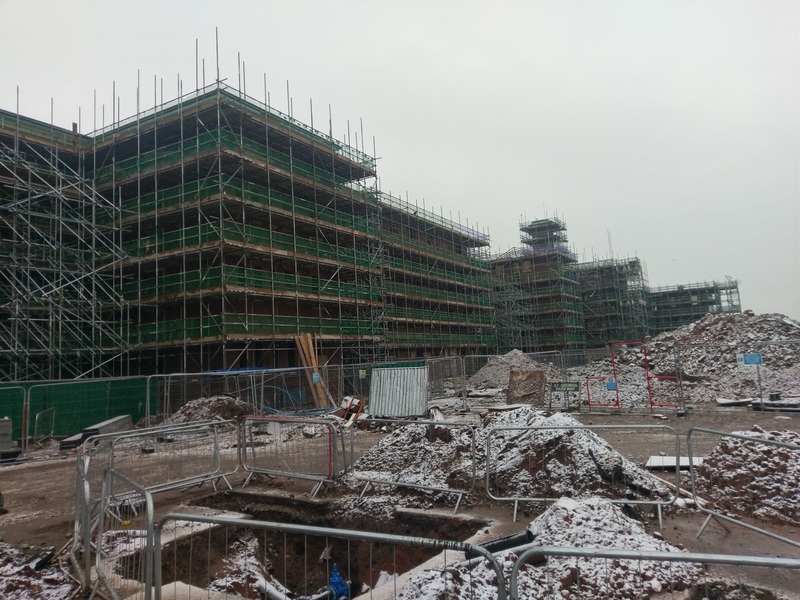 The site was located close to the centre of Stafford itself, situated in attractive and extensive grounds, the surroundings of which at the time of construction remained relatively undeveloped. 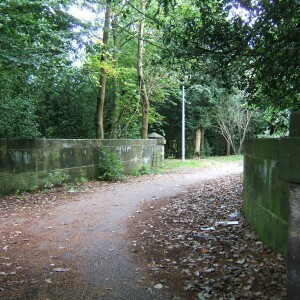 The formal access consisted of an approach drive approaching the principal frontage requiring a bridge over a small stream, which ran through the grounds. 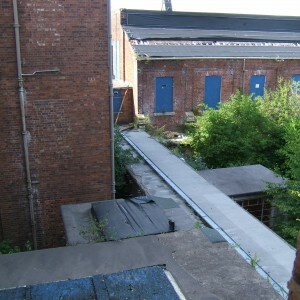 A secondary service entrance was located to the rear of the site and gave convenient access to the service areas of the complex. 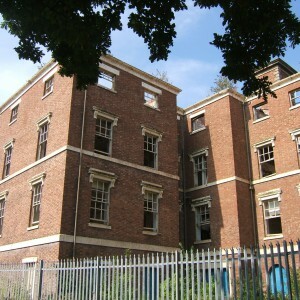 Adjacent to the site stood the County Gaol, which had been established in 1793. 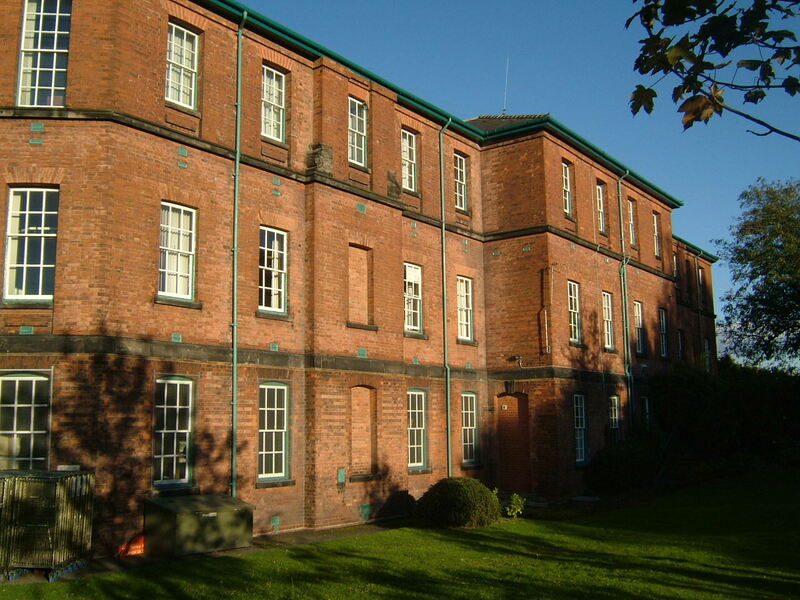 The institution opened in 1818, only ten years following the Act of 1808, which had made it’s establishment possible and was known as the General Lunatic Asylum, Stafford, reflecting the combined management of the property between county and subscribers. 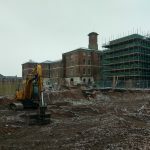 The construction of the asylum had been delayed somewhat due to the inability of both the county magistrates and charitable subscribers to agree on certain matters, particularly financial ones. 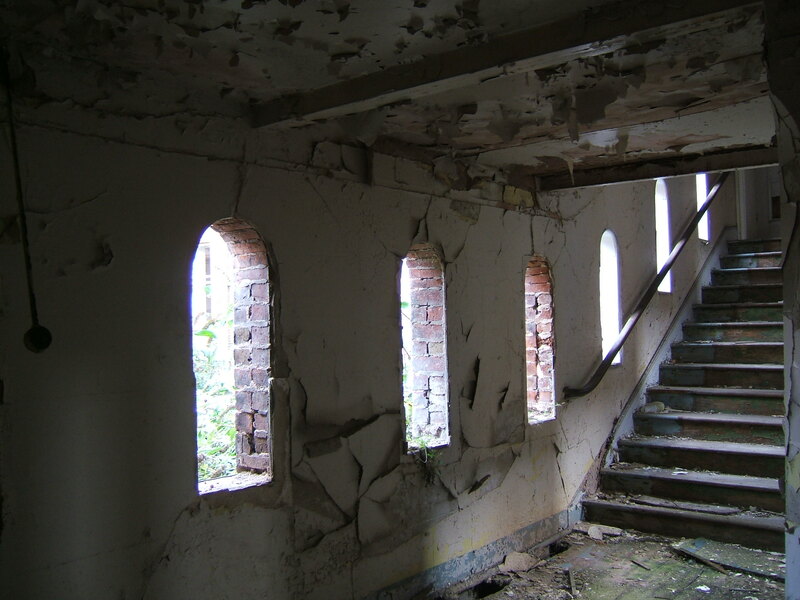 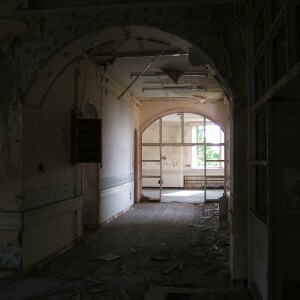 The asylum was also seen as a threat to local madhouse keepers, particularly Thomas Bakewell, owner of the Spring Vale who had been both vocal and persuasive in trying to prevent the it’s construction, as did the owners of other private asylums at Droitwich and Bilston. 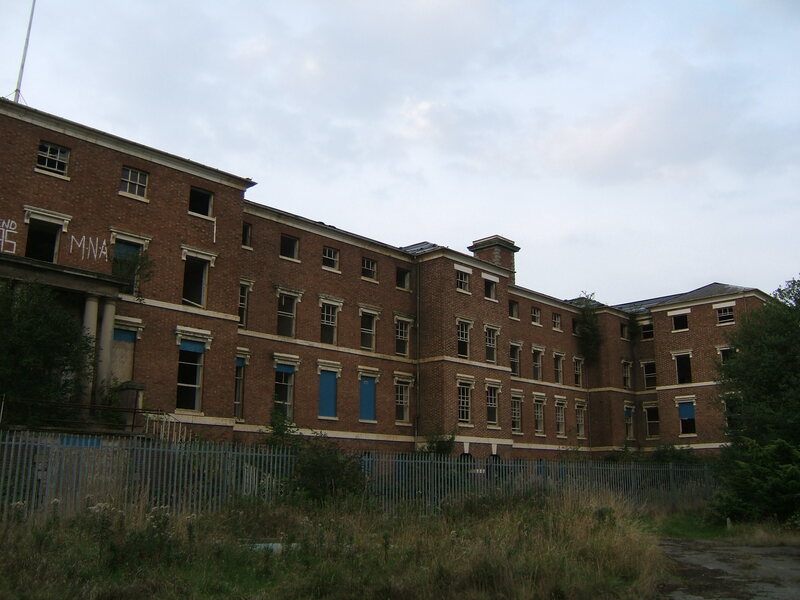 These parties were not unduly concerned as the removal of parish aided patients, as well as those financially better-off was inevitable with the opening of the large modern Stafford Asylum, leaving them with little remaining business. 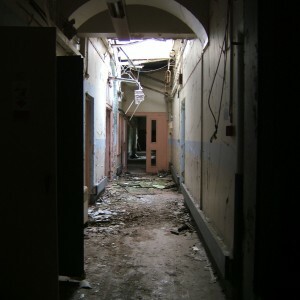 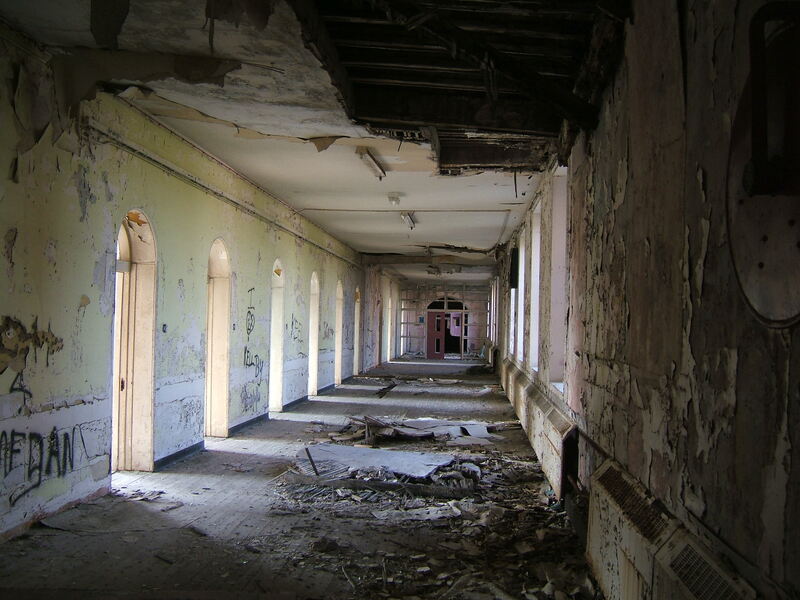 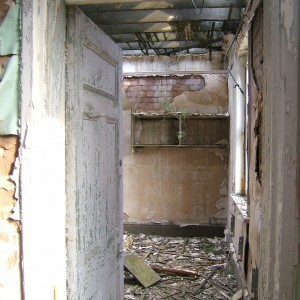 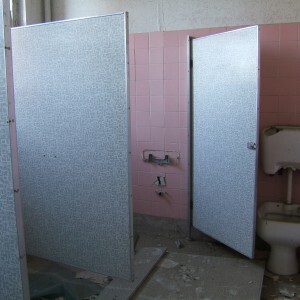 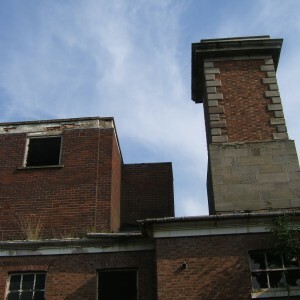 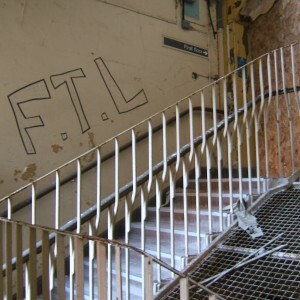 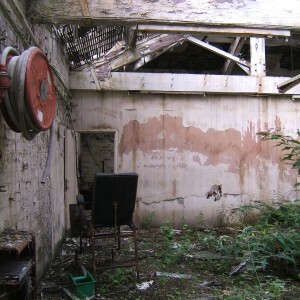 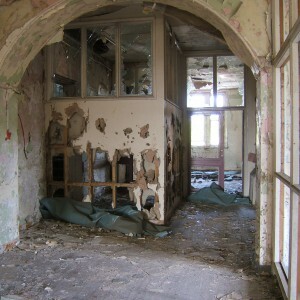 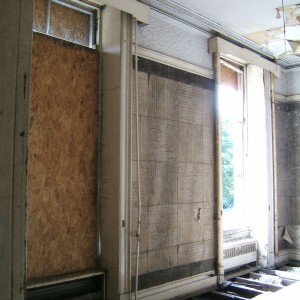 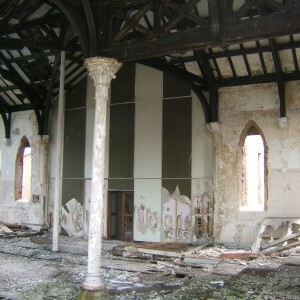 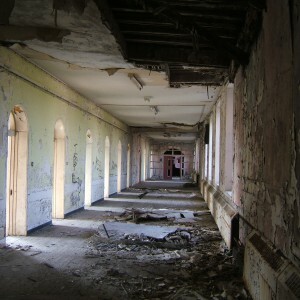 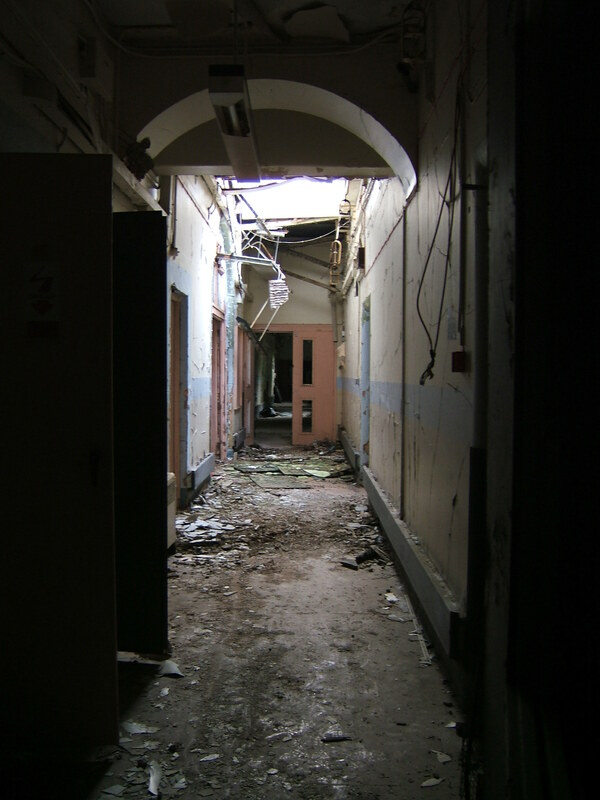 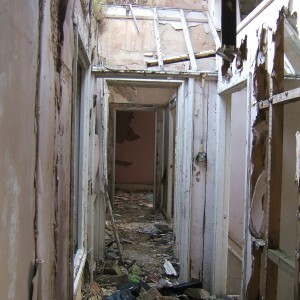 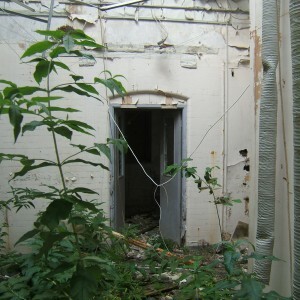 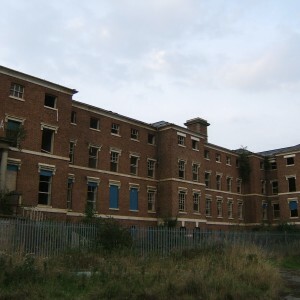 Initially the asylum set off to a slow start with inmates taken mainly from the private madhouses as parishes were reluctant to refer their lunatics to the new facility, which caused problems for the institution, which was required to be near or over capacity to operate without paying for external staff. 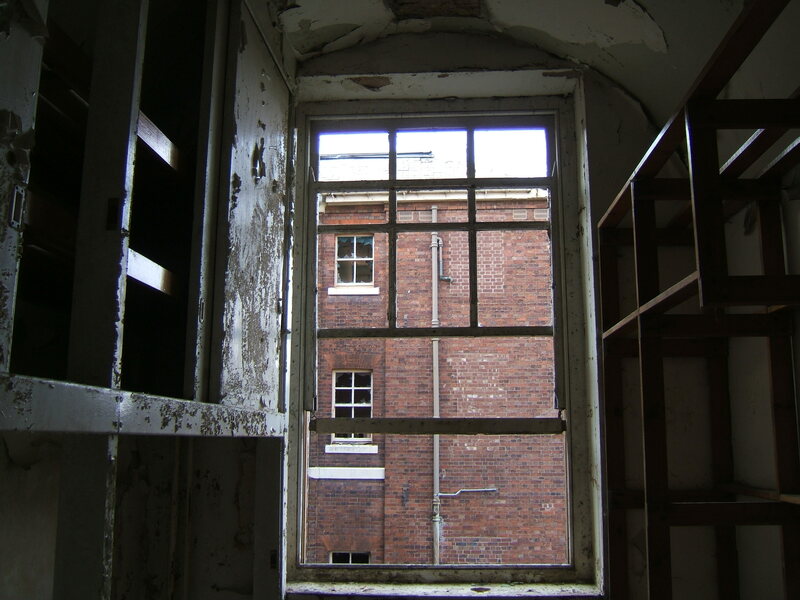 However, the asylum soon started taking inmate under contract from the neighbouring counties of Worcestershire, Warwickshire, Birmingham, Cheshire, Derbyshire, Leicestershire and Shropshire, none of which provided their own asylums at the time. 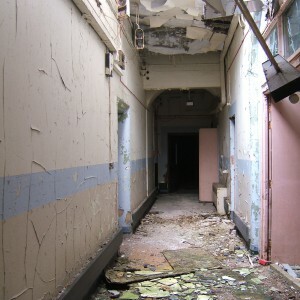 The galleries, as the wards were initially known, were each overseen by one keeper per shift with the hours long and work potentially heavy and dangerous at times. 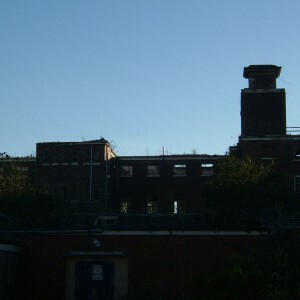 As keepers were poorly paid and the role unattractive, it was not unusual for former inmates retained subsequently as staff. 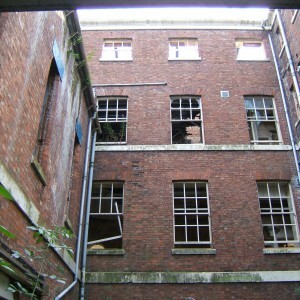 John Garrett, the first Superintendent, who had qualified as a surgeon and remained in post until 1841, managed the asylum and reported annually to a committee of three trustees and twelve visiting justices. 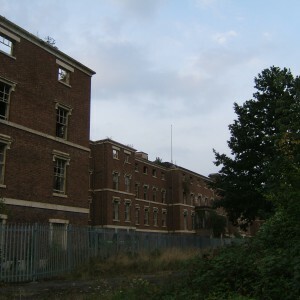 The asylum and it’s grounds grew over the years with 30 acres of land added to the site in 1828. 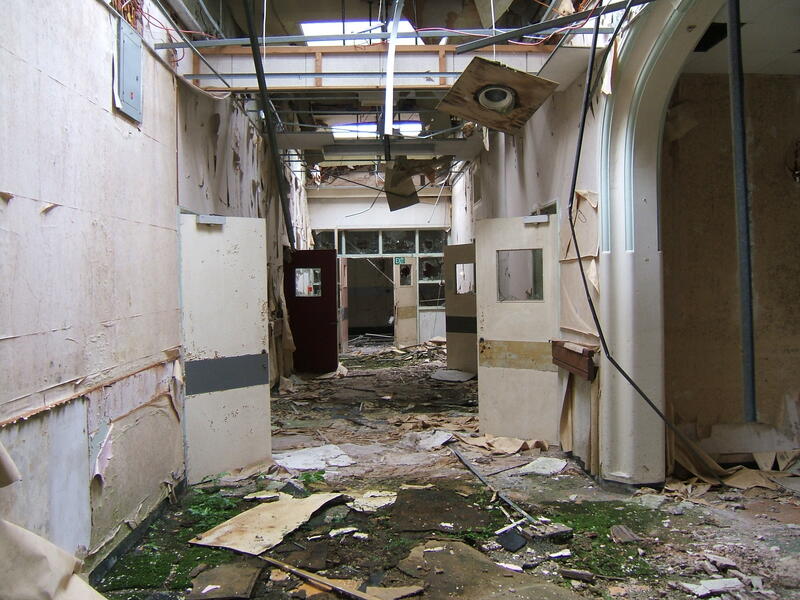 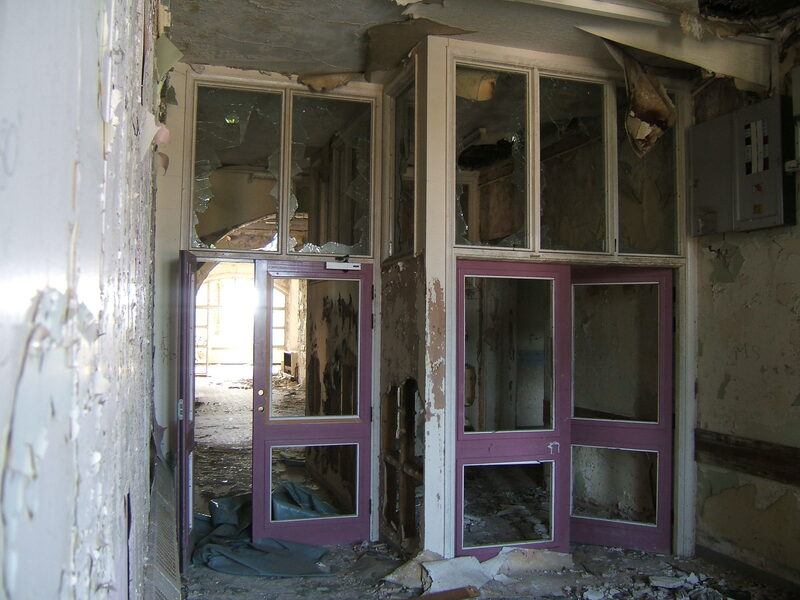 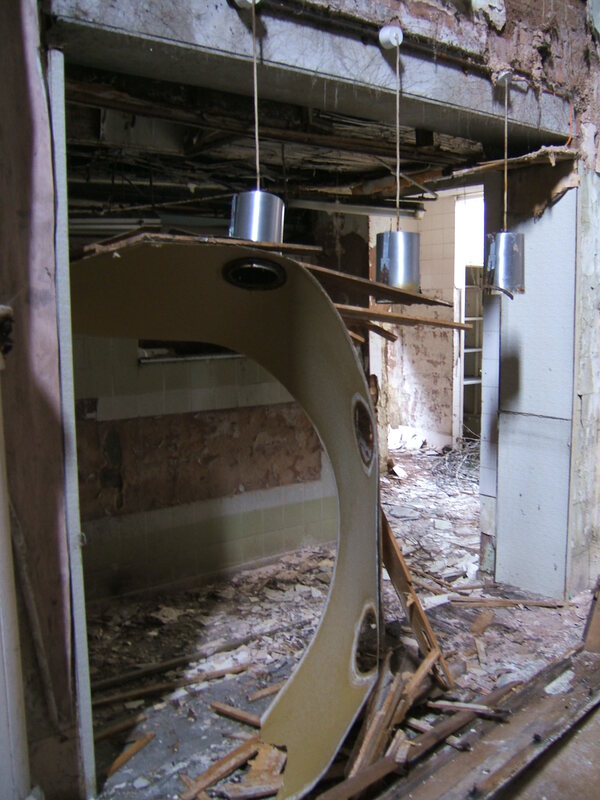 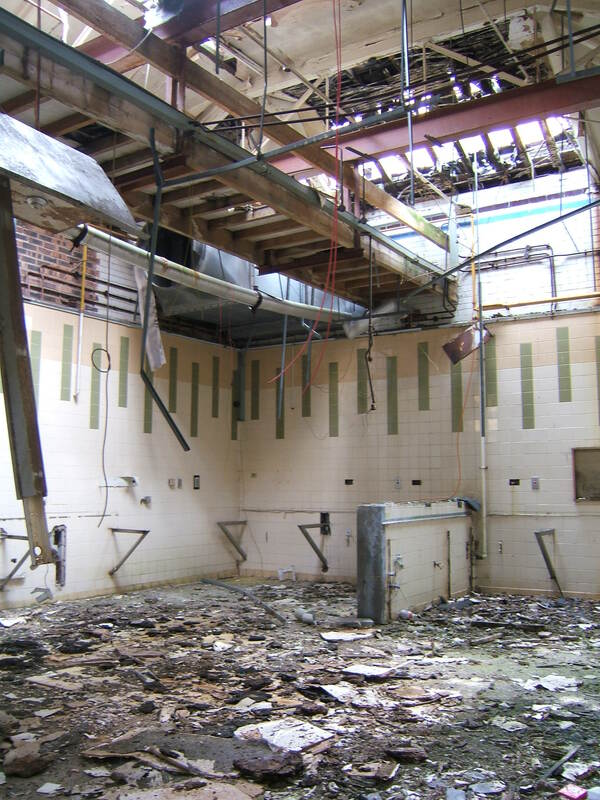 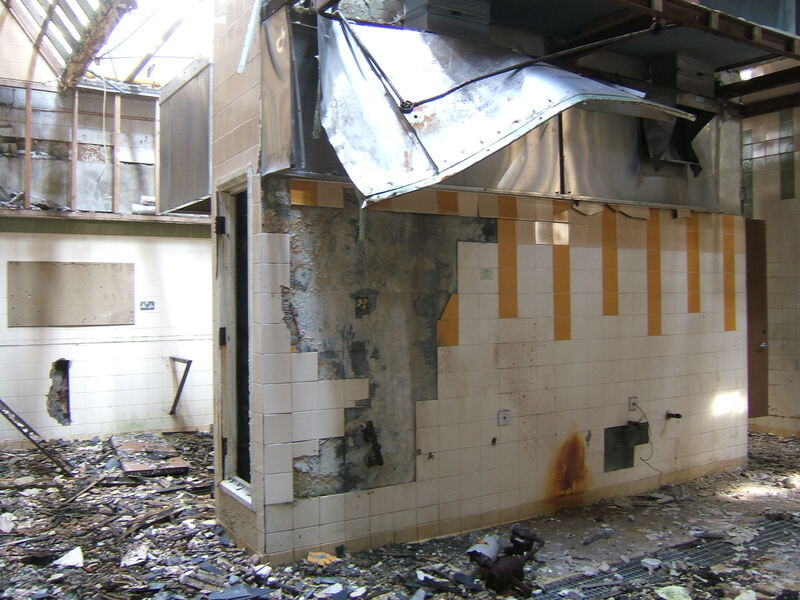 Over the next two decades, pressure for space meant that areas were utilised as wards, not having been intended for the purpose including infirmaries, galleries and day rooms reducing the available space for those purposes. 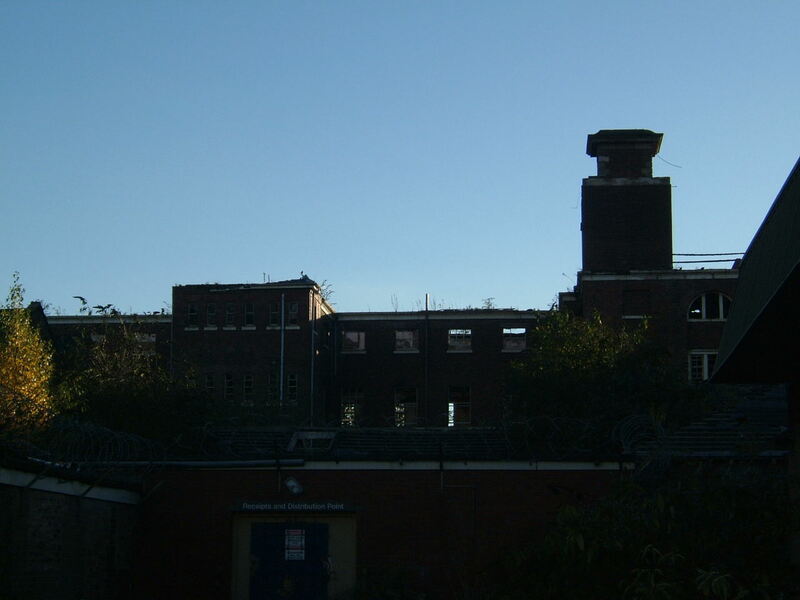 By the time of the creation of the 1845 Lunacy Act Stafford was accommodating approximately 250 inmates, twice the intended amount. 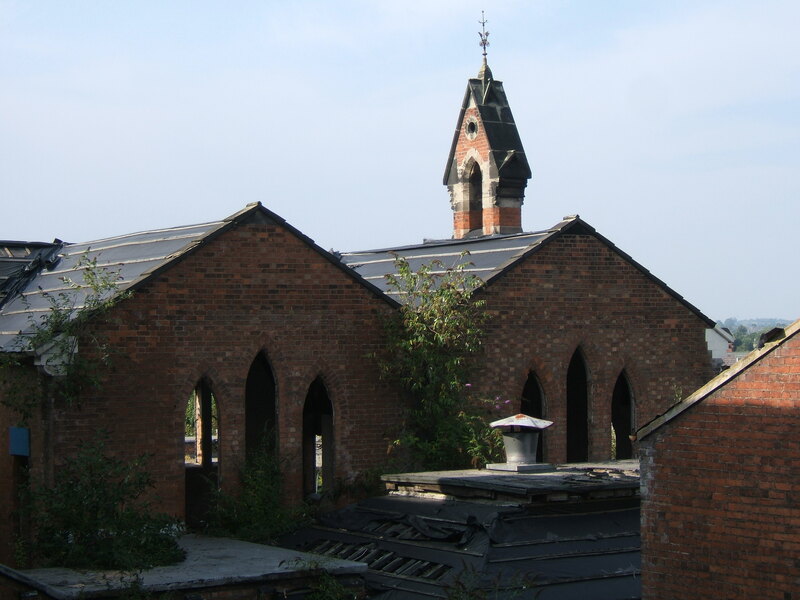 To remedy the issue of space a program of expansion was commenced in 1849-50 with new buildings constructed to the north or rear of the original structure, and to both ends of the wings. 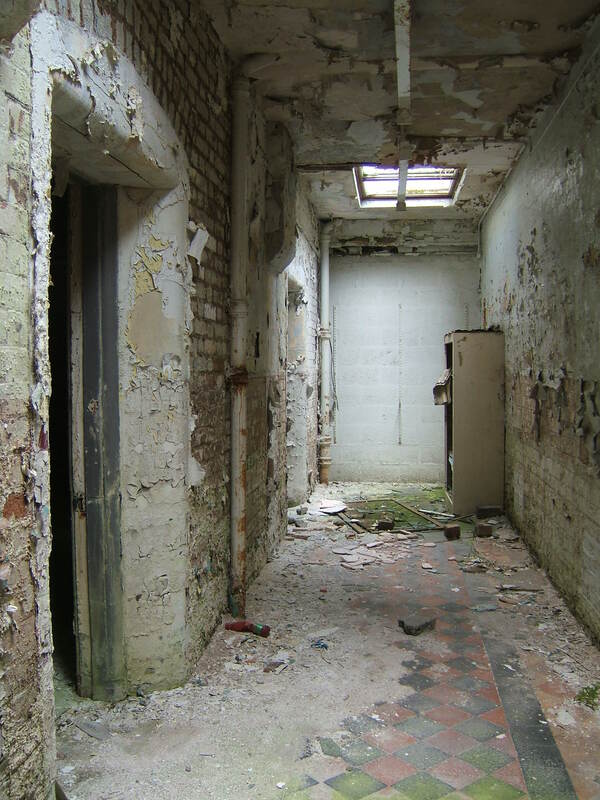 The wards to the rear were constructed in single storey structures and included a covered way linking the various areas of the asylum. 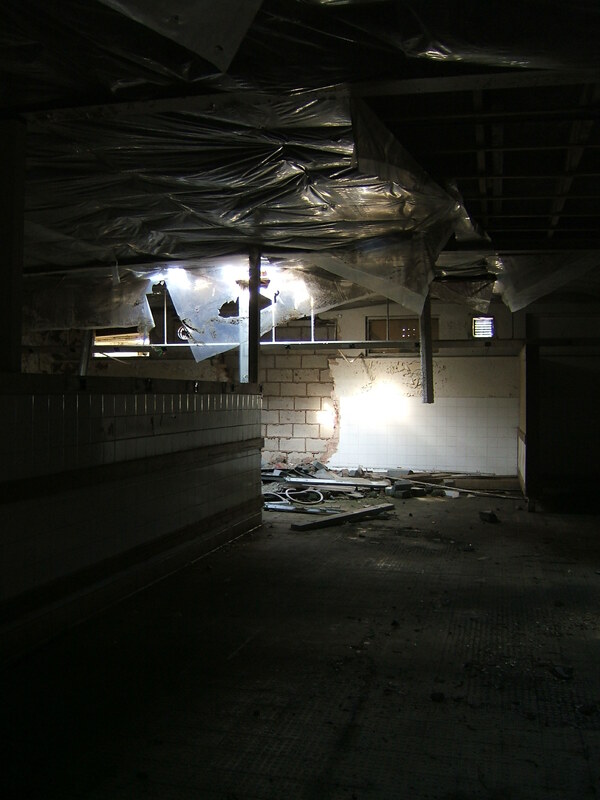 New kitchen facilities, a recreation hall and farm buildings were also provided at this time. 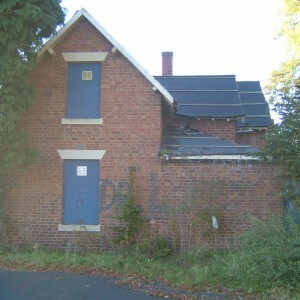 A new back lodge was constructed in 1854 to provide a home on-site for the engineer. 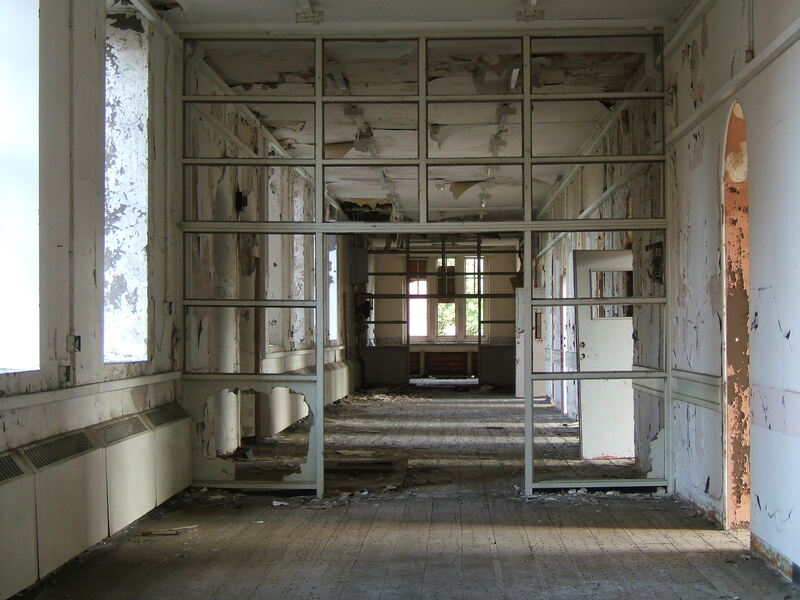 The subscribers, who had felt pressure for space from the admission of pauper inmates sought to remove their fee-paying patients from the asylum and by 1847 had begun planning for a separate establishment despite the proposed extensions. 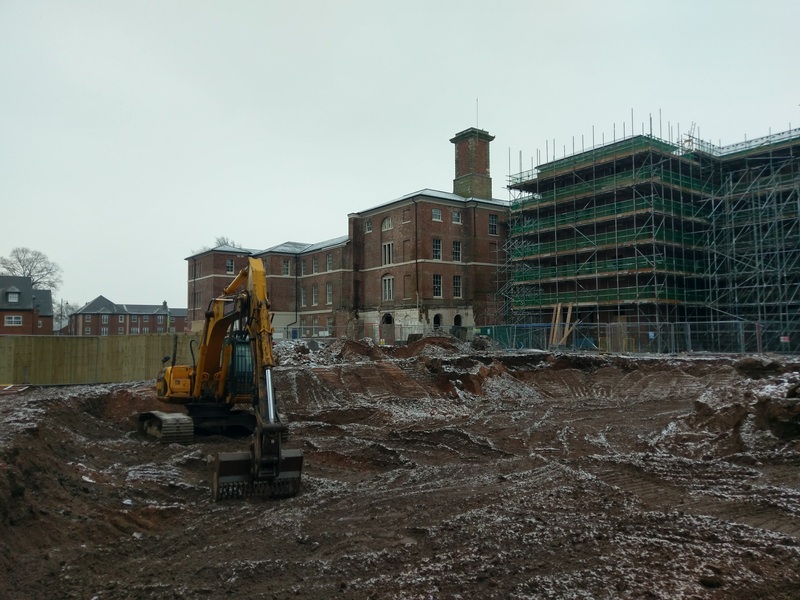 Building commenced on the new asylum, nearby at Coton Hill, which was ready to accept its patients in 1854 after which time the original asylum became solely occupied for inmates admitted by arrangement with the county. 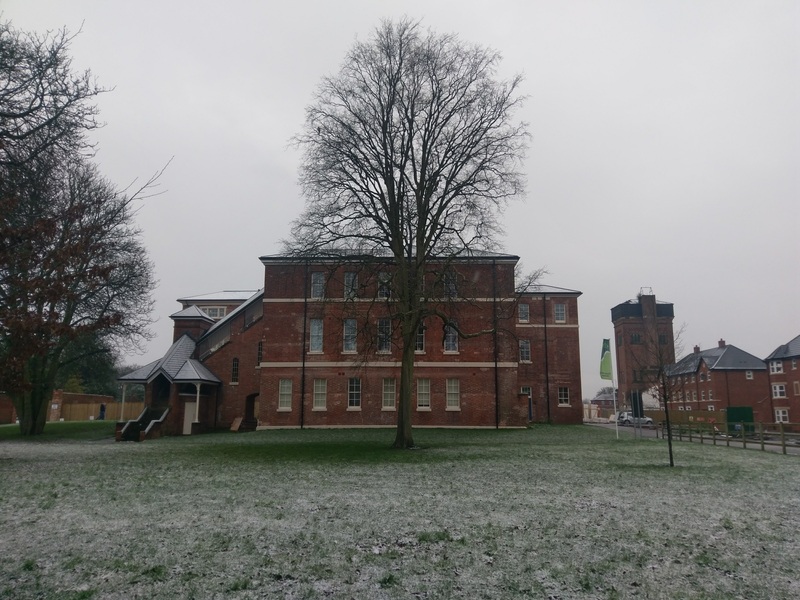 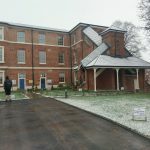 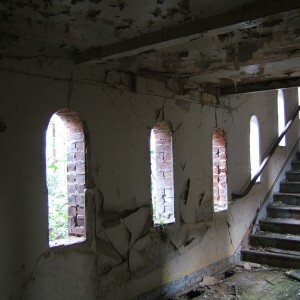 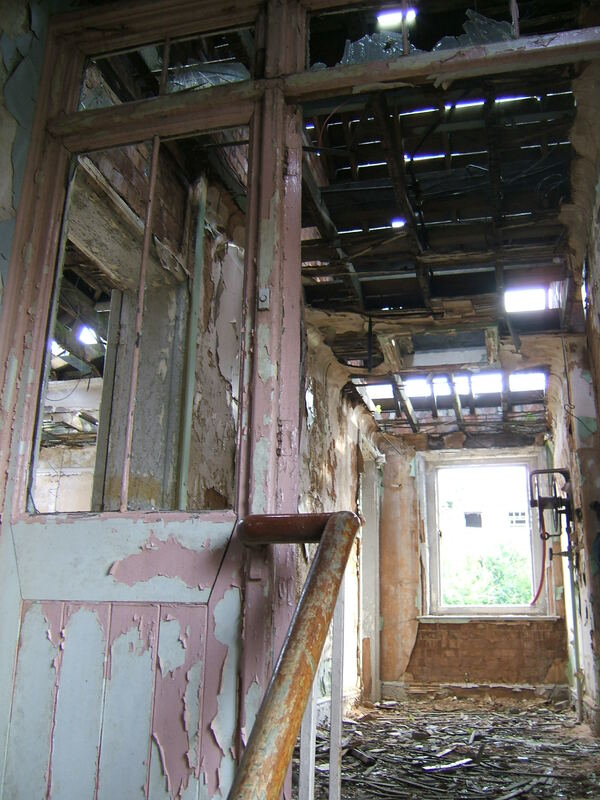 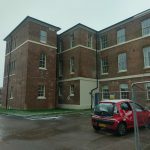 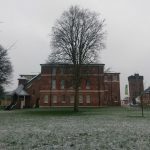 Without pressure for taking in pauper inmates, the Coton Hill Asylum was able to offer a superior standard of accommodation compared with the Stafford Asylum and frequently attracted the wealthy classes of inmates, privately or charitably funded. 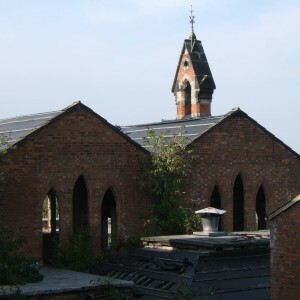 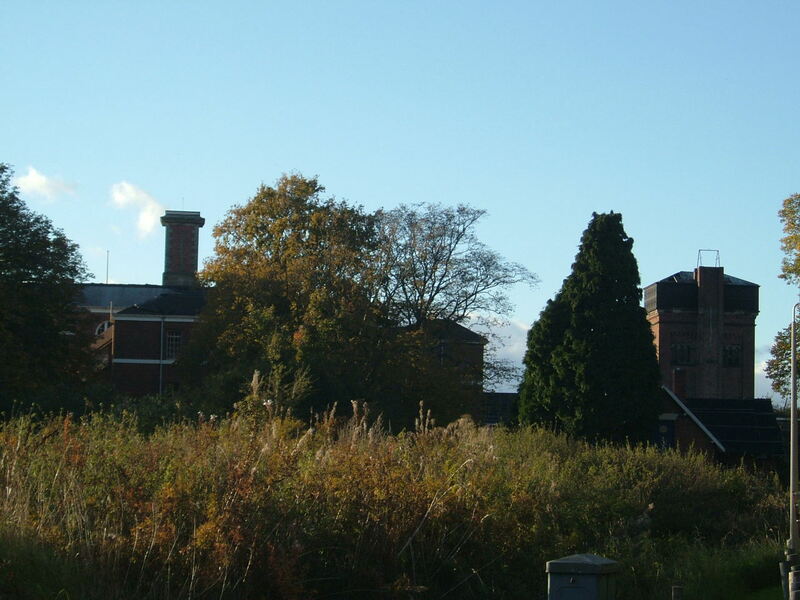 With the opening of the second county asylum in 1864 at Burntwood, the Staffordshire magistrates were able to provide an asylum for the developing areas to the south of the county and remove inmates that had been boarded at Chester Asylum due to capacity issues. 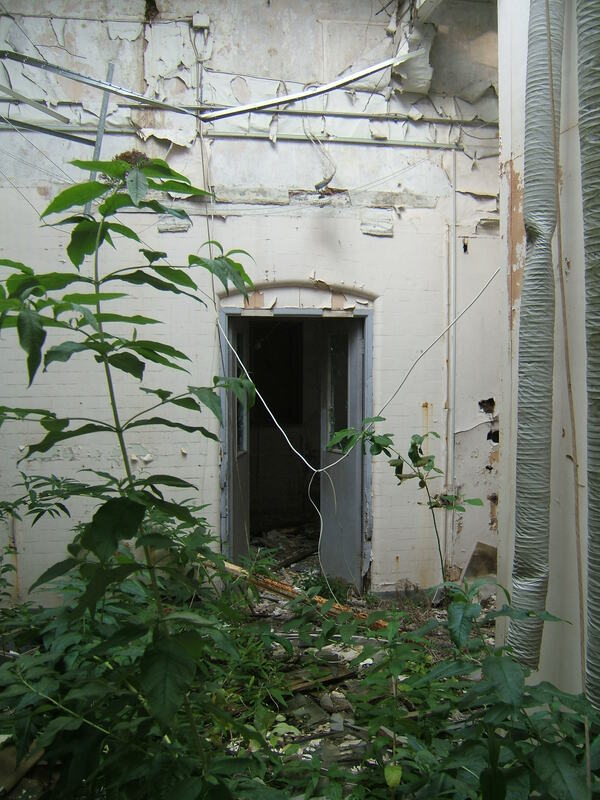 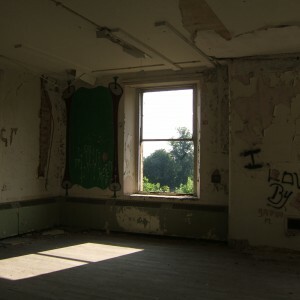 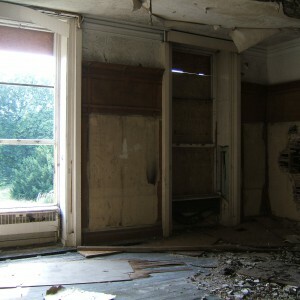 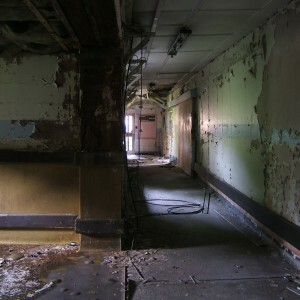 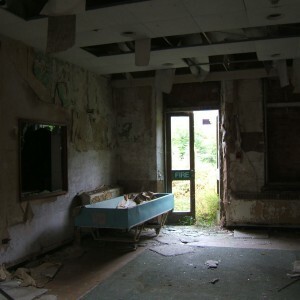 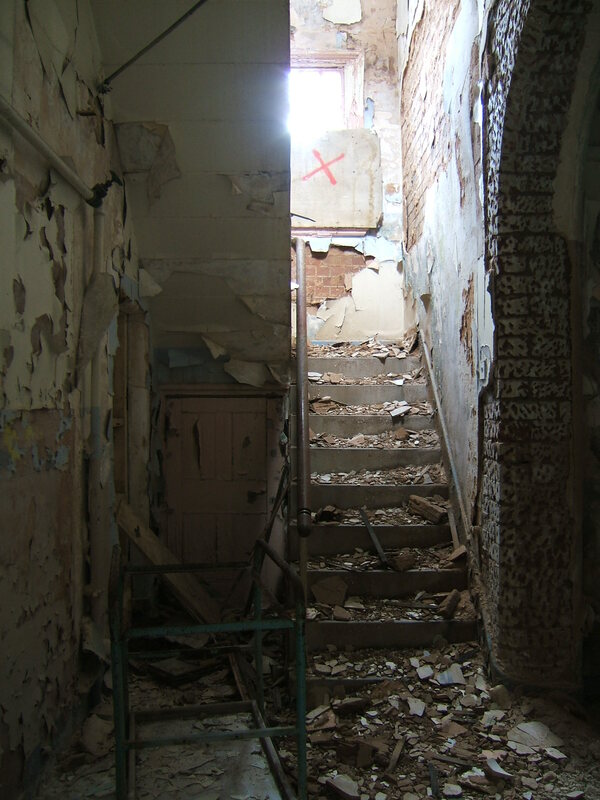 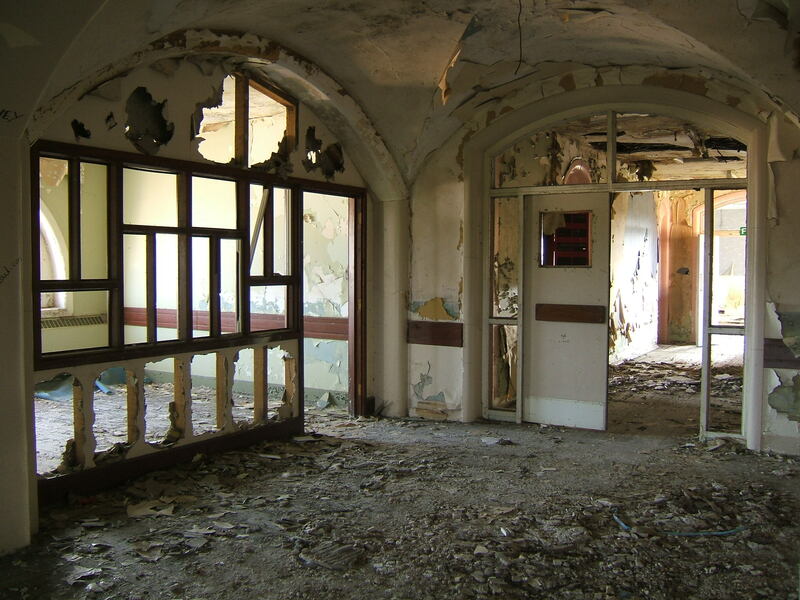 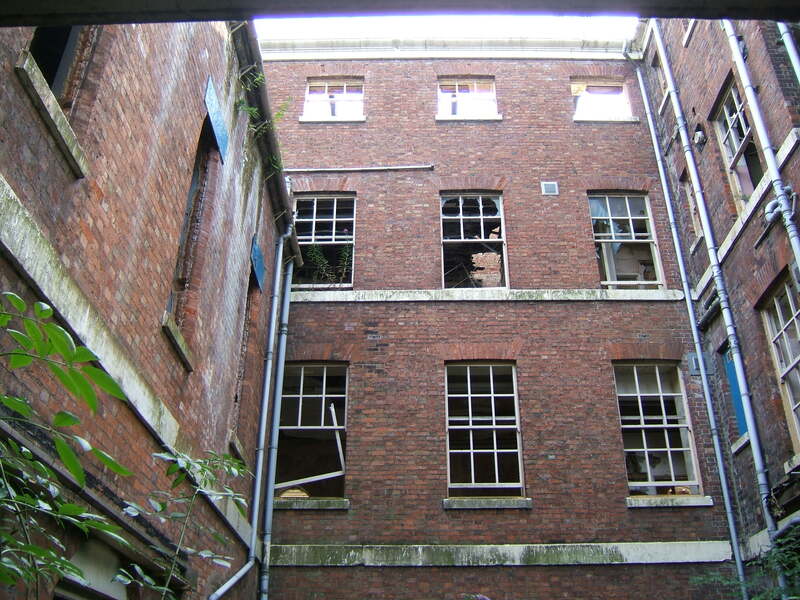 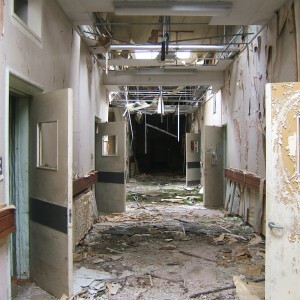 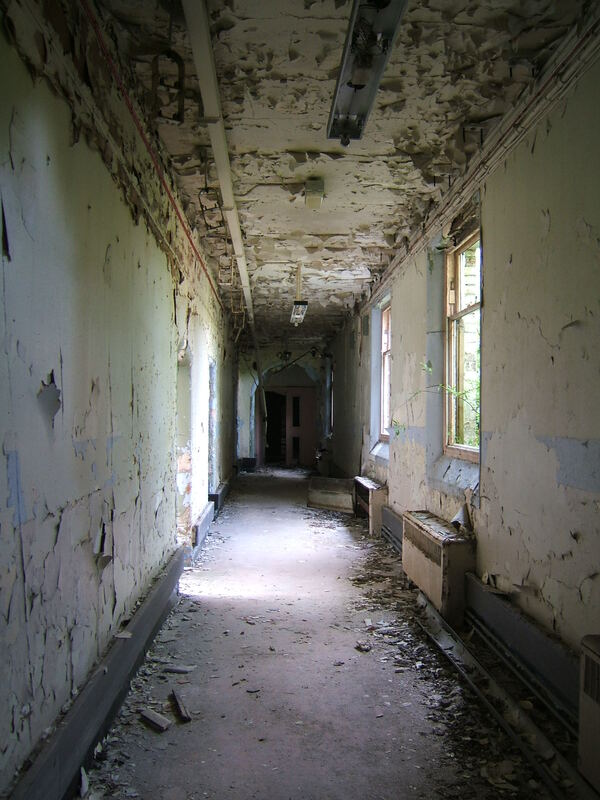 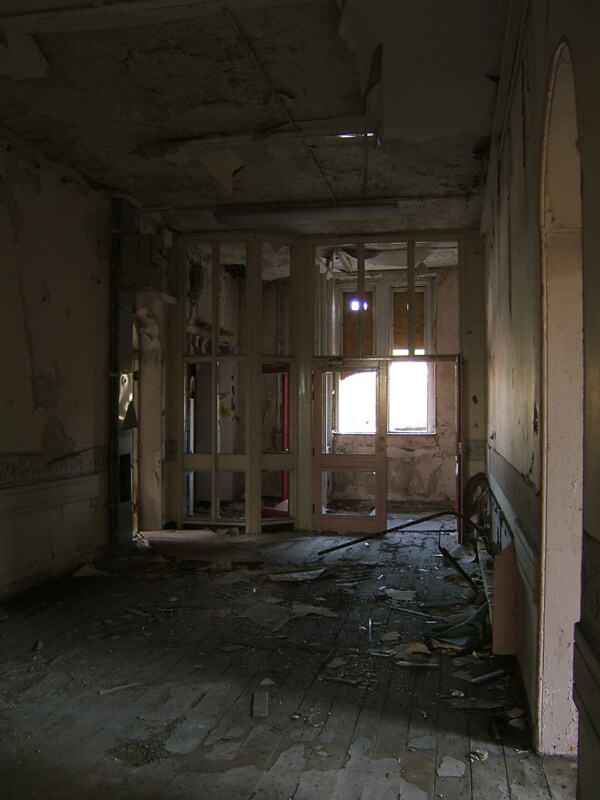 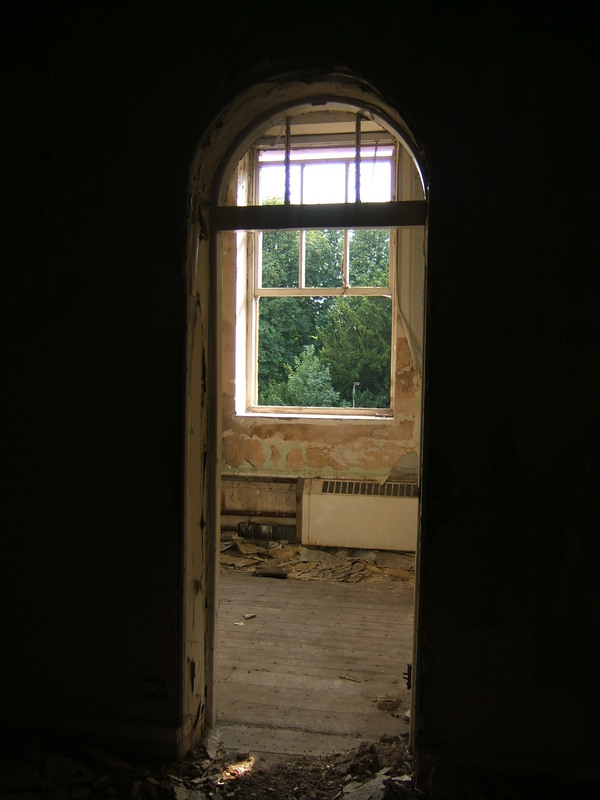 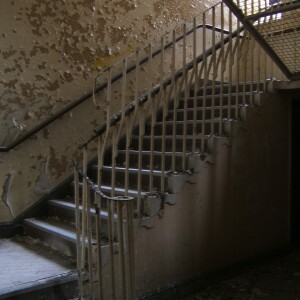 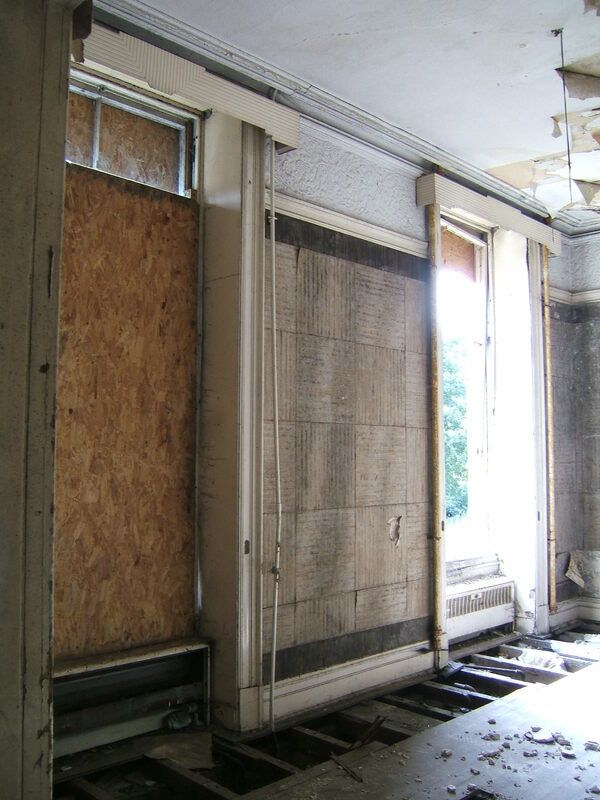 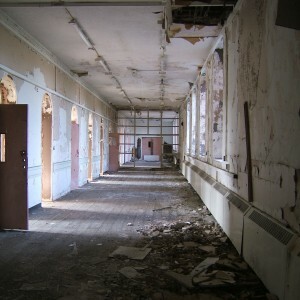 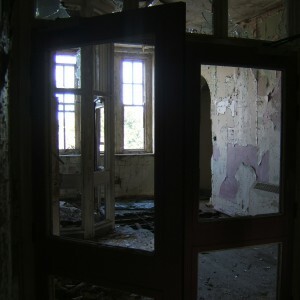 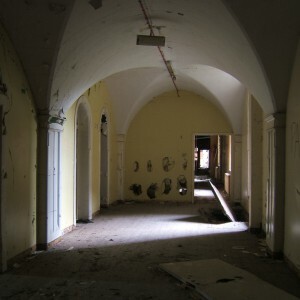 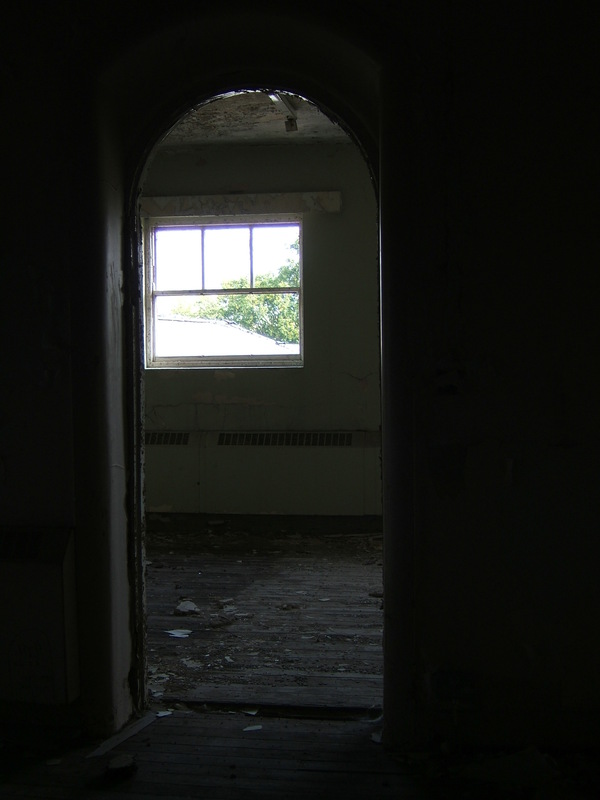 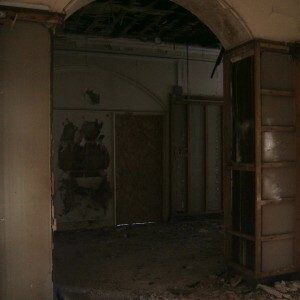 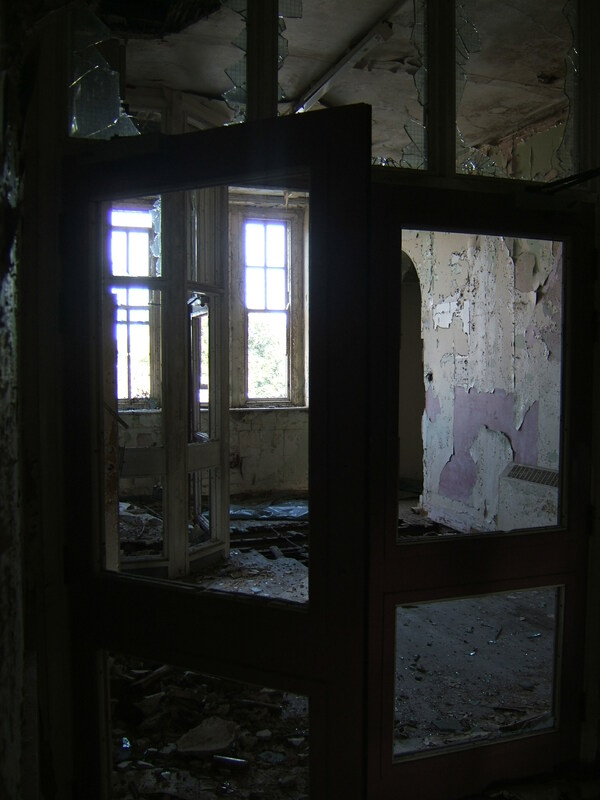 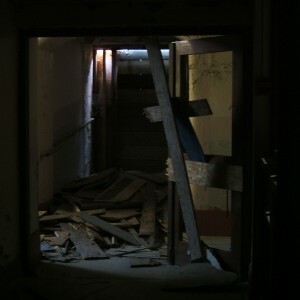 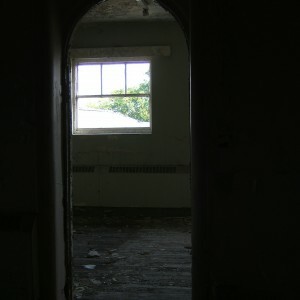 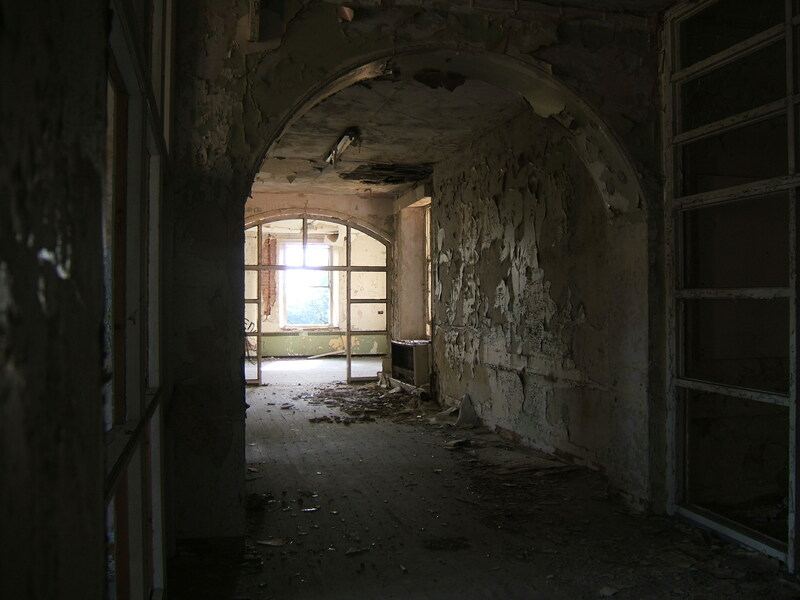 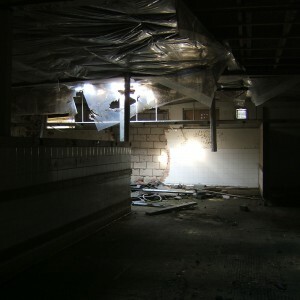 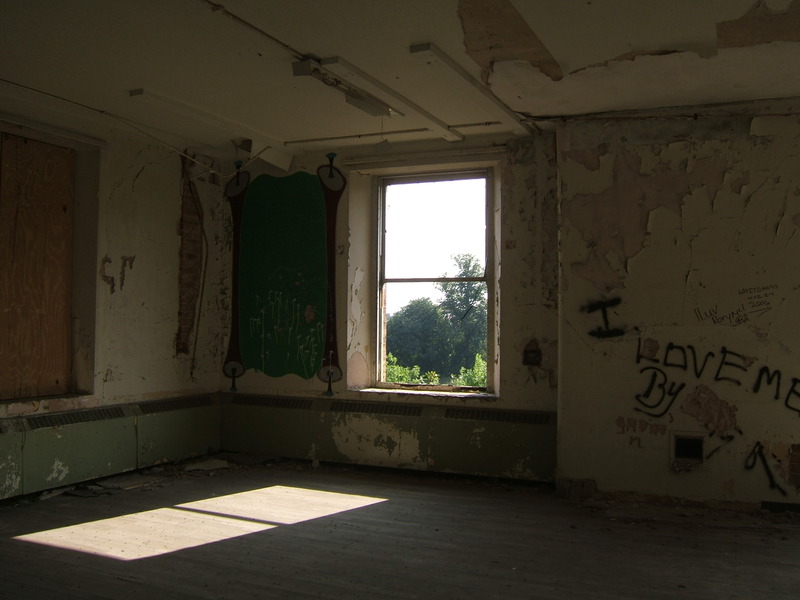 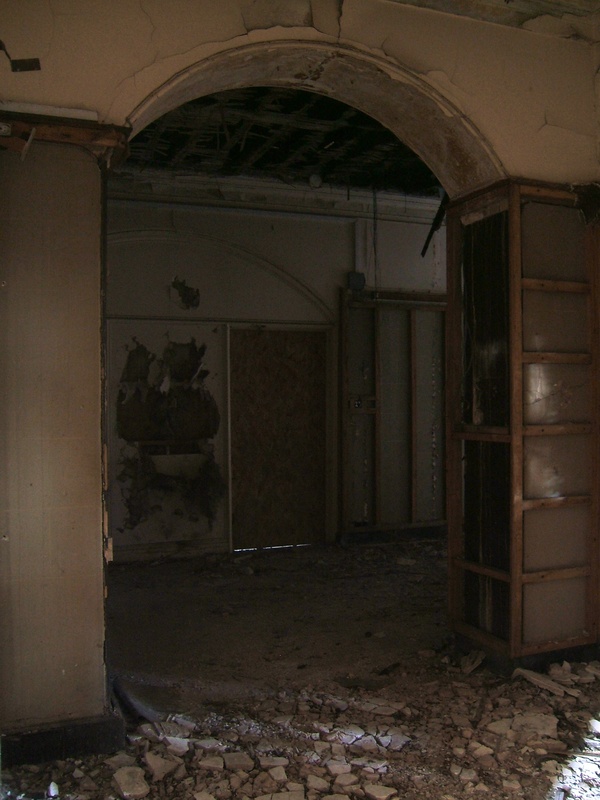 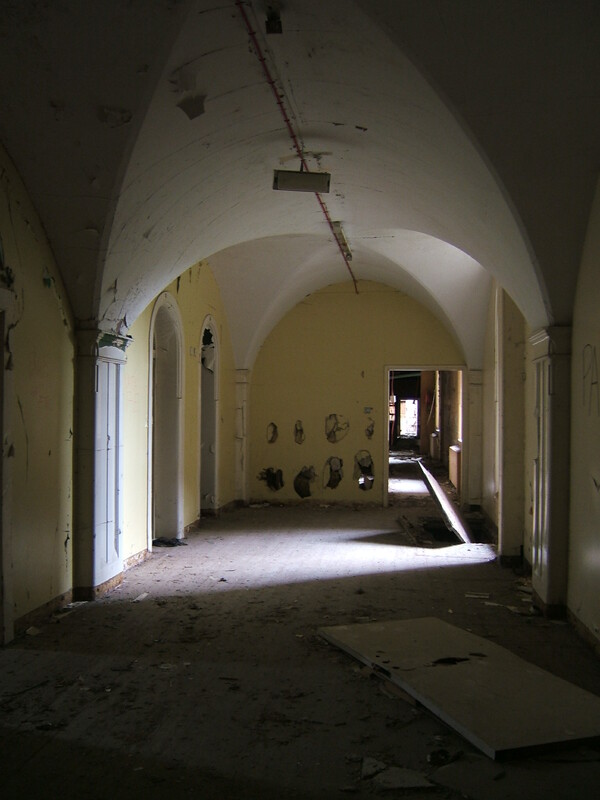 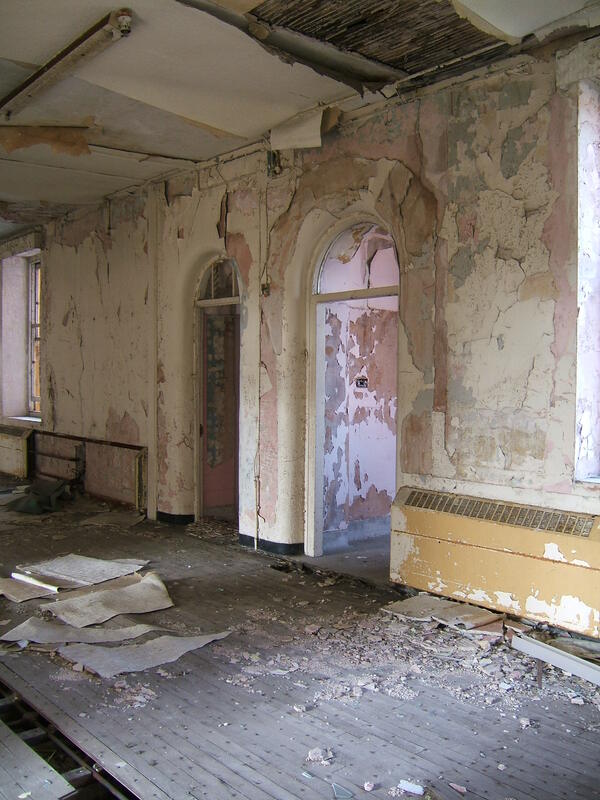 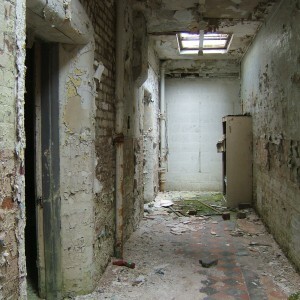 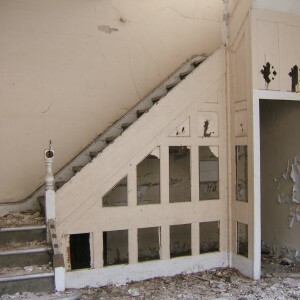 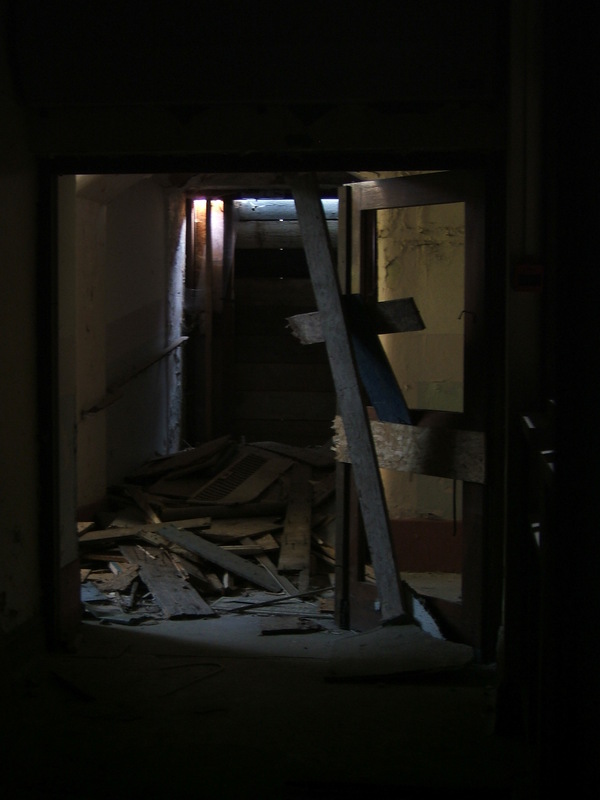 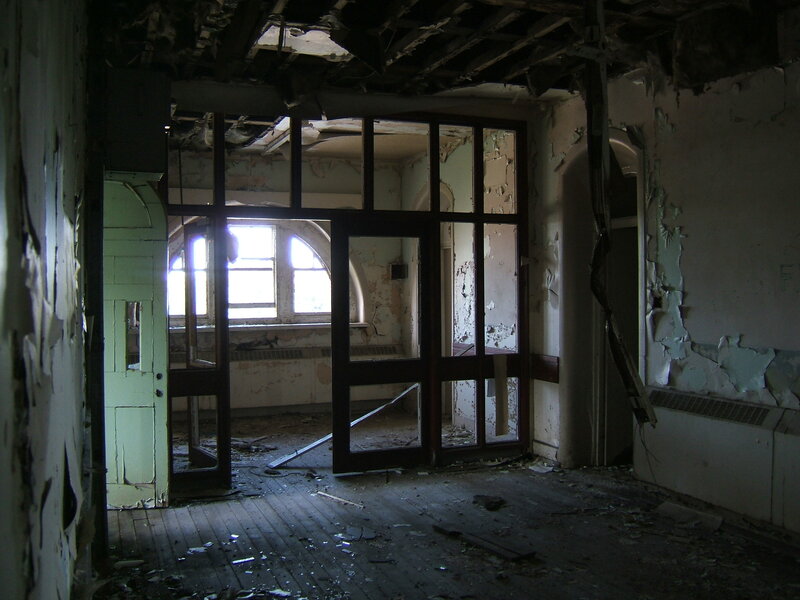 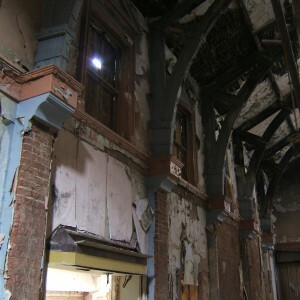 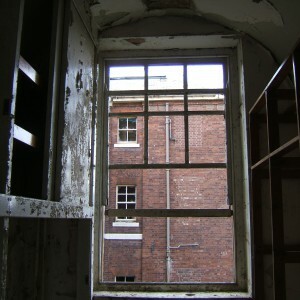 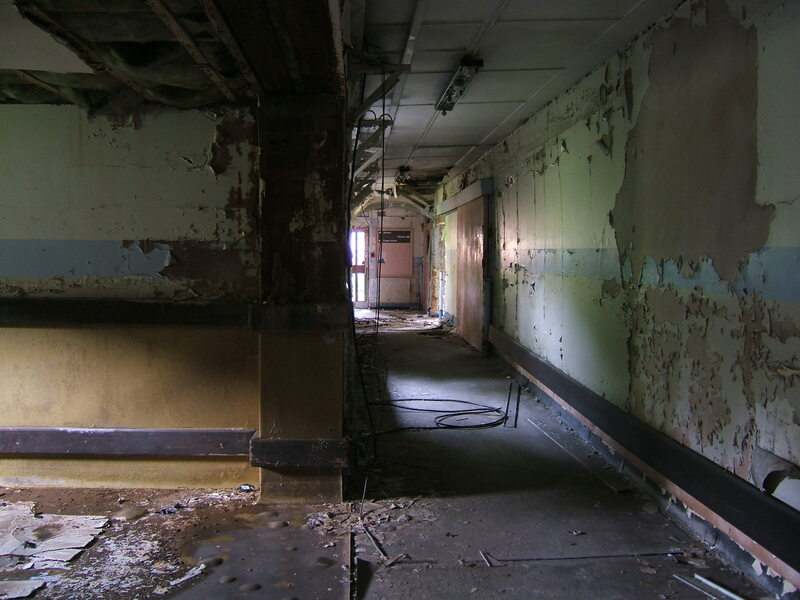 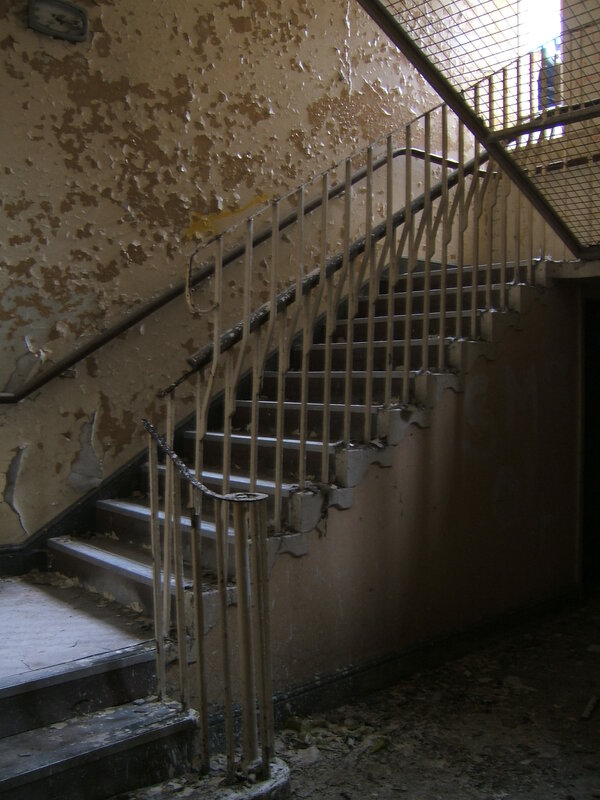 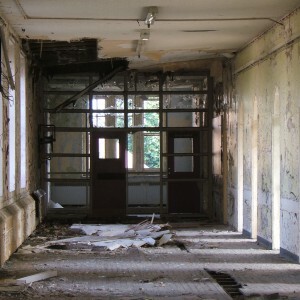 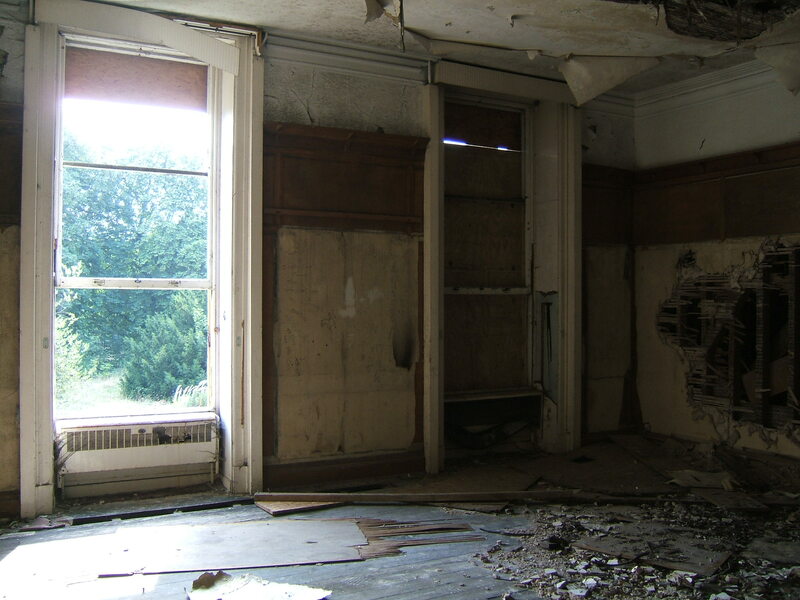 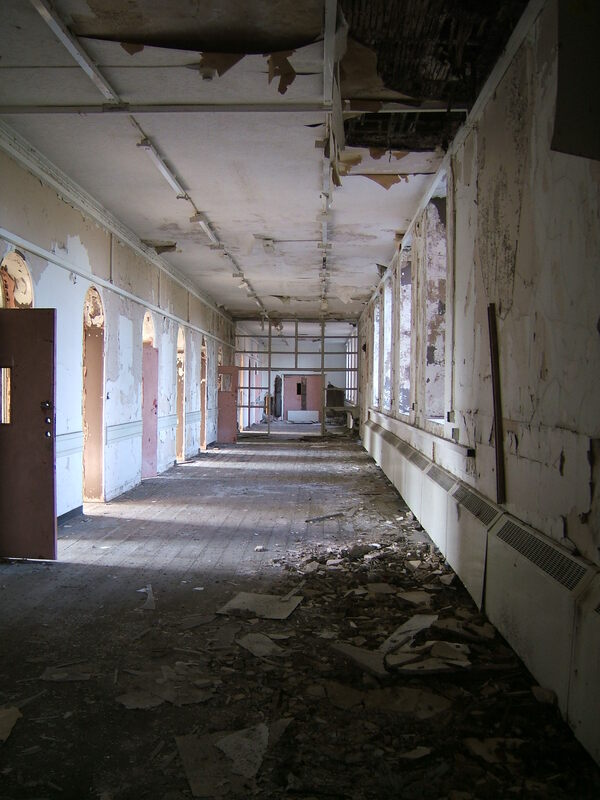 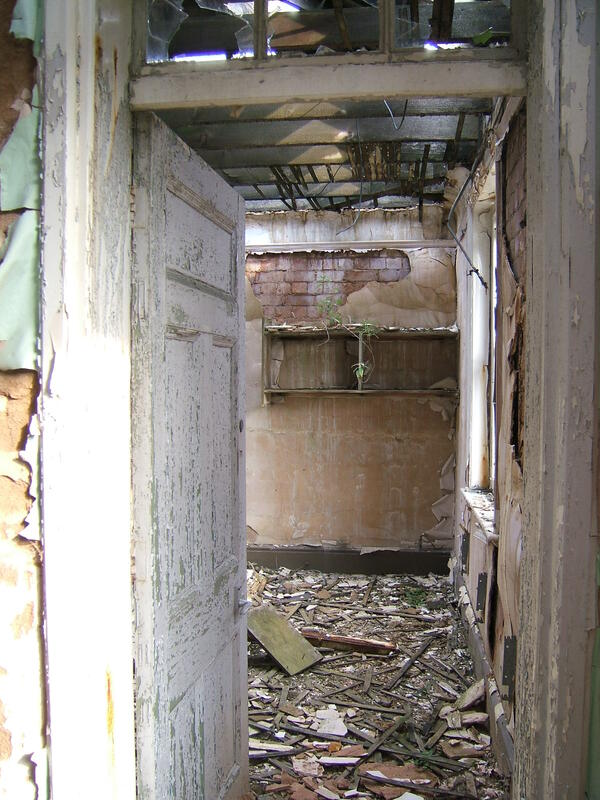 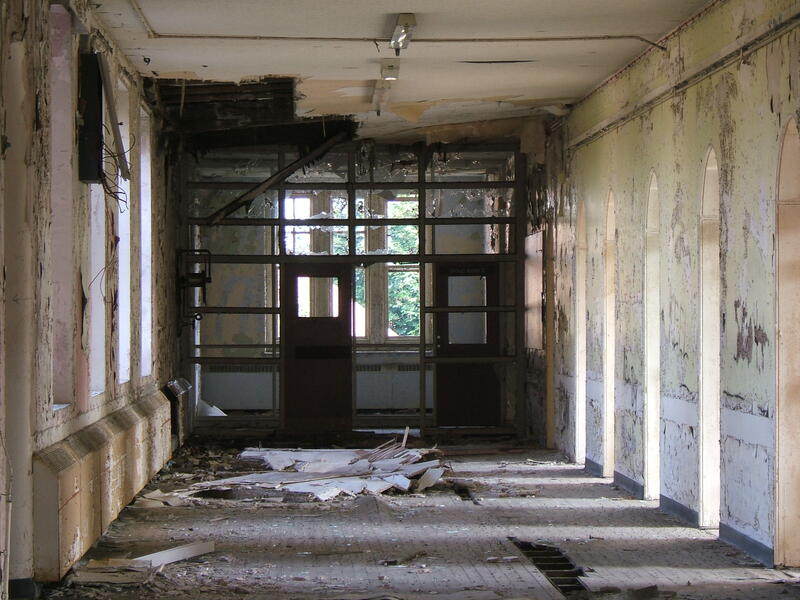 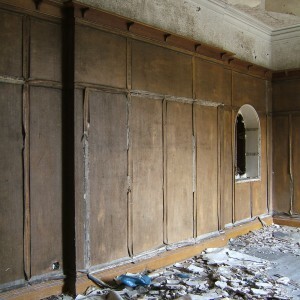 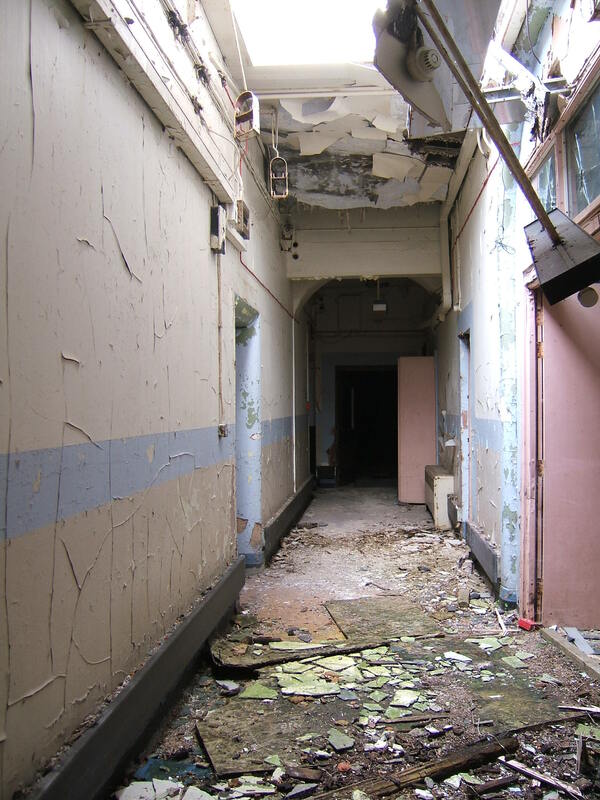 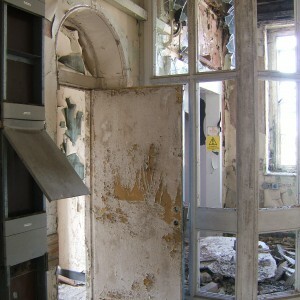 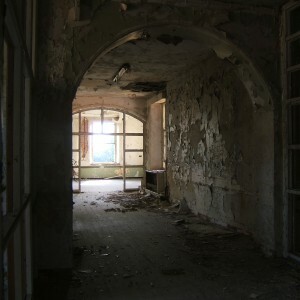 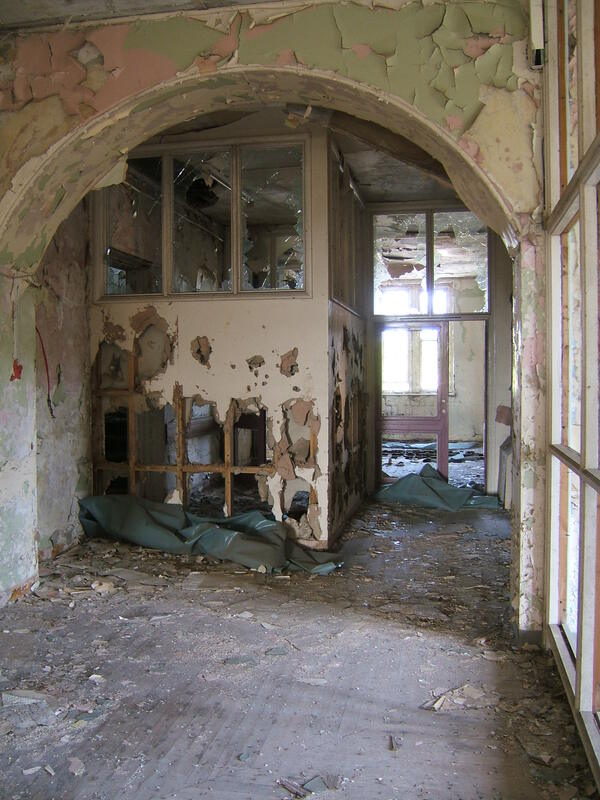 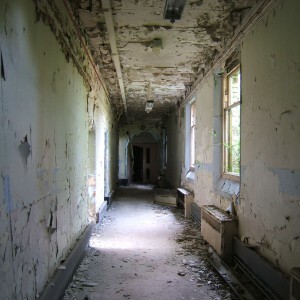 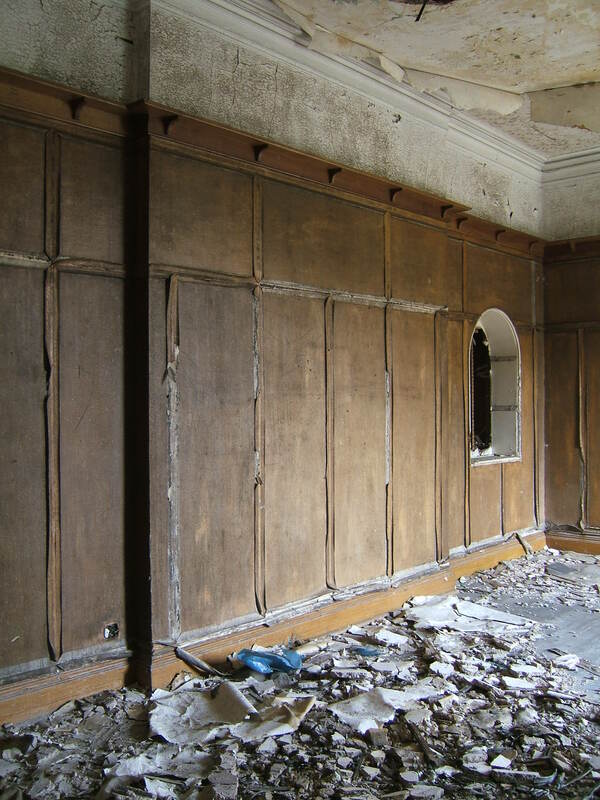 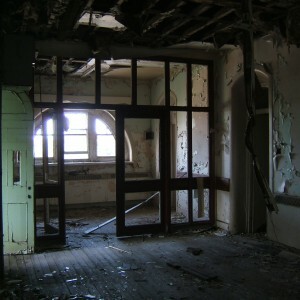 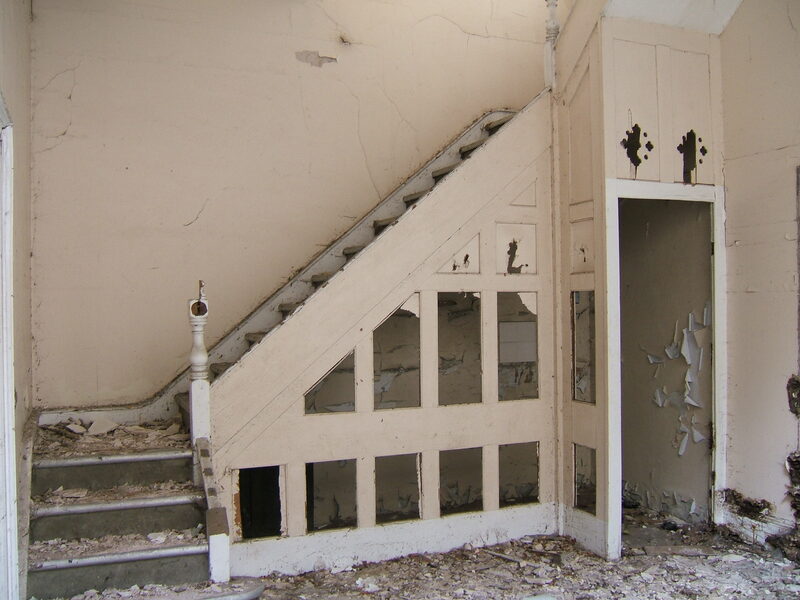 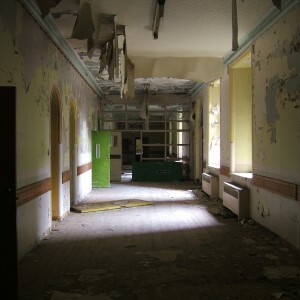 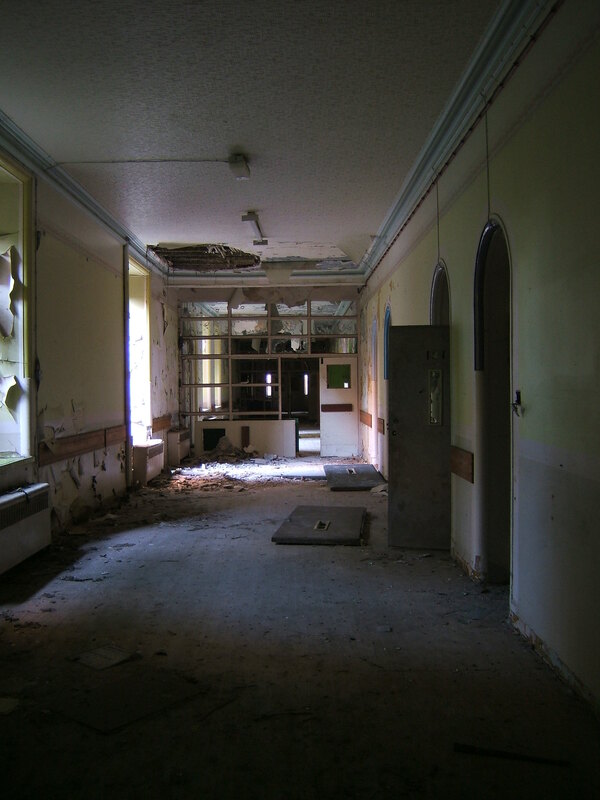 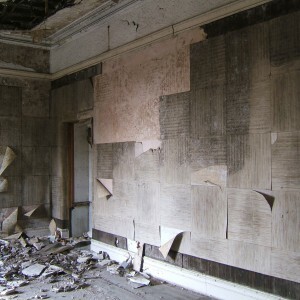 By the next decade however, space was once again becoming difficult to find for more patients, resulting in a further expansion of the Stafford Asylum. 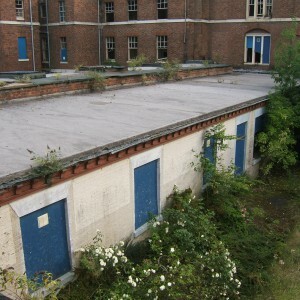 Initially a detached sanitary ward was constructed to the south east of the main building to separate sick and infectious patients. 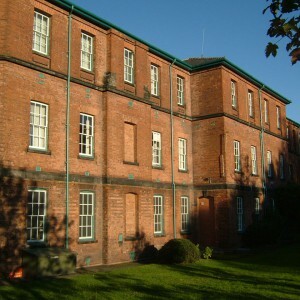 This was followed by a three-storey extension to the female wards in 1879 and a corresponding block on the male side, completed in 1884. 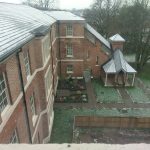 Both extensions were designed in a style approaching the original structure but were one storey lower and set back behind airing courts. 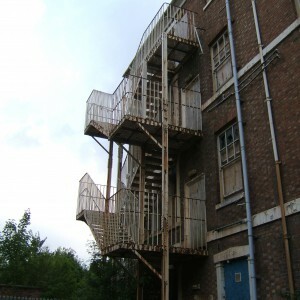 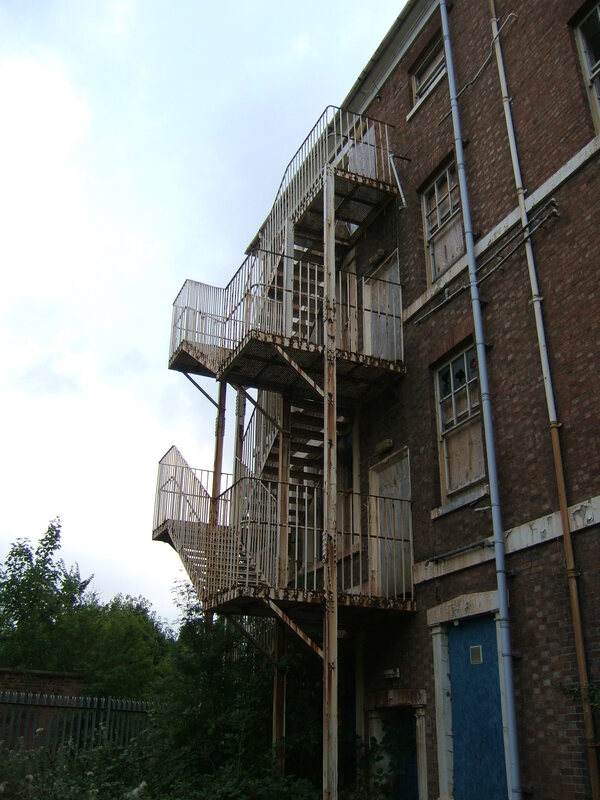 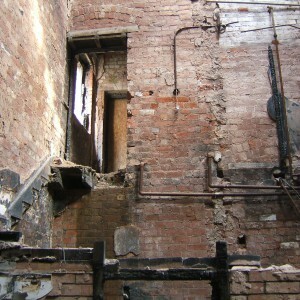 Unusual and distinctive covered access stairways were provided between the upper levels and airing courts. 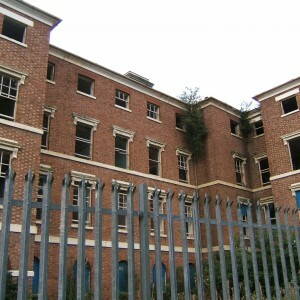 To the north of the main buildings and the former boundary of the site, a greenway was realigned to form Corporation Street and the land between formed into the asylum grounds. 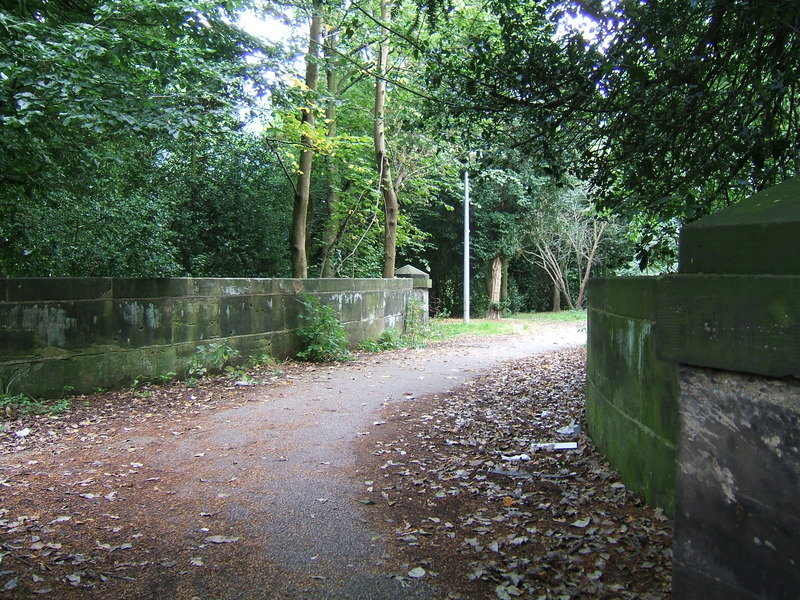 A service entrance gate was provided at the junction of Corporation Street and Crooked Bridge Road and a drive approached the asylum to the south. 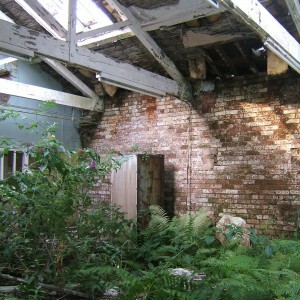 A single storey back lodge was sited to the east of the gate, and dated from 1882. 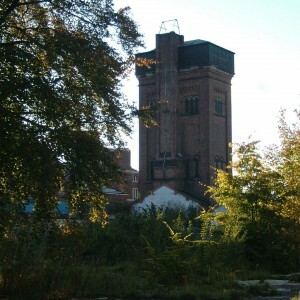 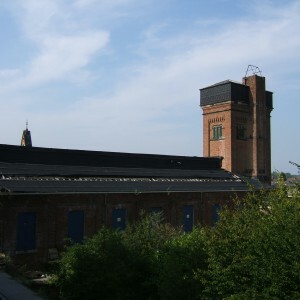 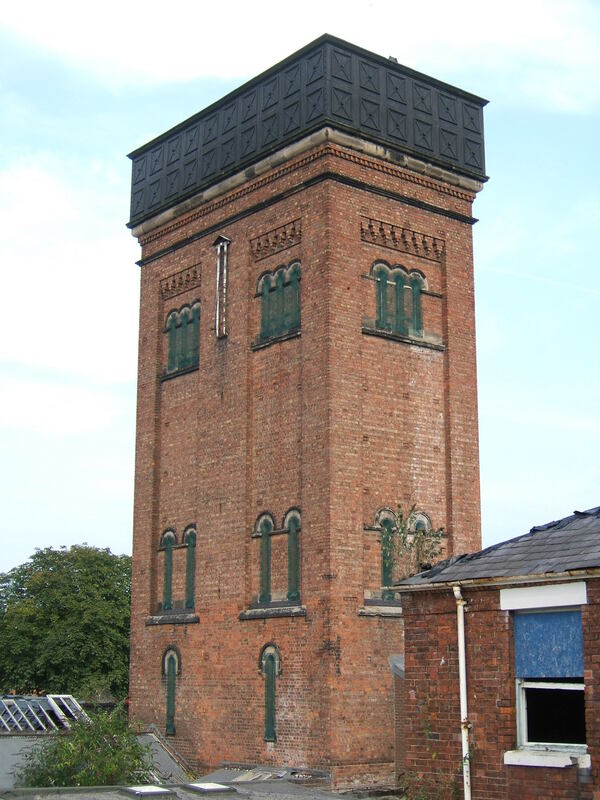 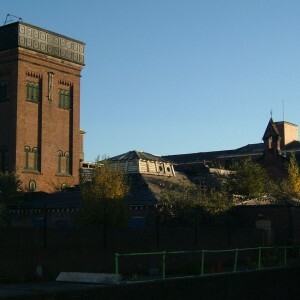 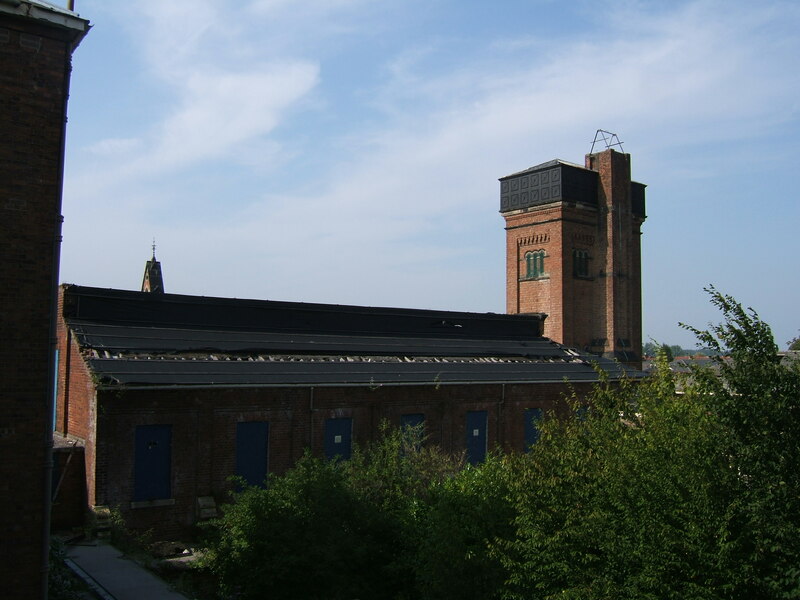 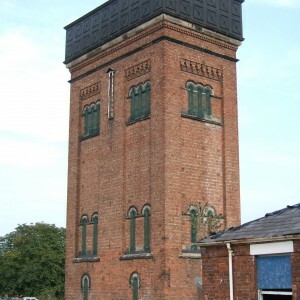 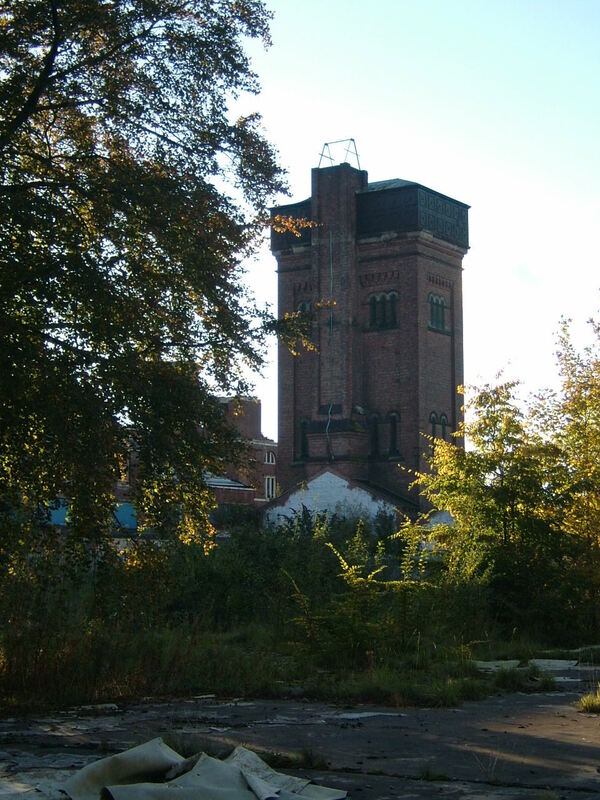 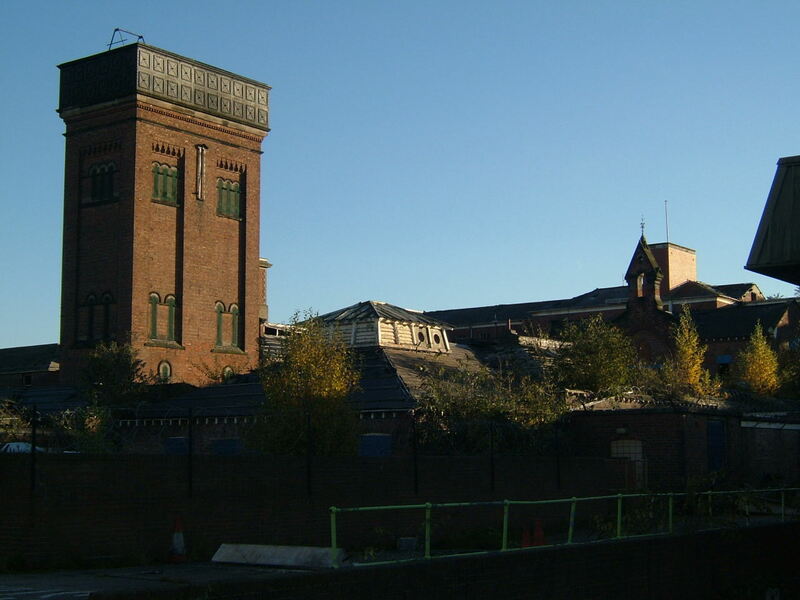 Between the asylum and the former greenway much of the existing service area was reconstructed or remodelled and a water tower was provided. 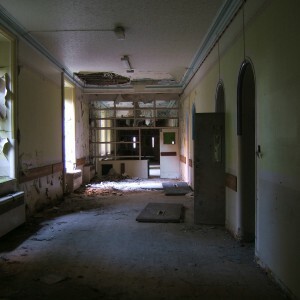 Pavilion wards were provided to either side of the complex and accessed from spur corridors from the main building. 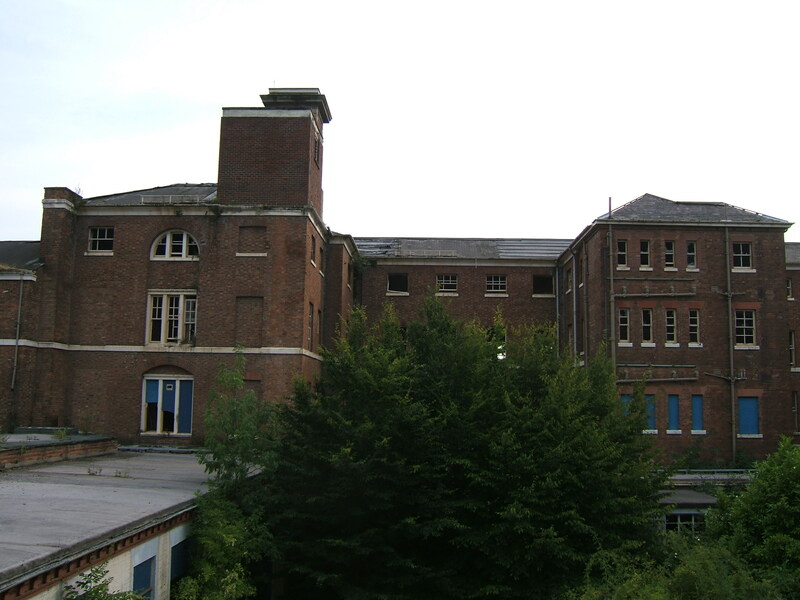 The architect and surveyor, Robert Griffiths had been responsible for much of the expansion and had previously worked on a number of other County Asylums for Herefordshire, Northants and Cheshire’s new site at Macclesfield. 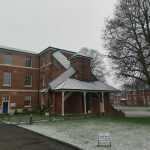 Griffith’s work at Stafford was more utilitarian than at previous commissions reflecting the functional nature of the buildings he was to design, whilst also maintaining the appearance of the original building. 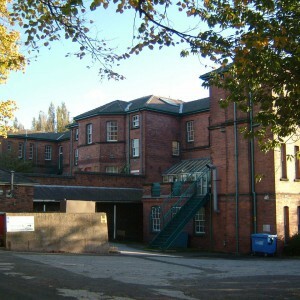 The Local Government act of 1888 resulted in the reorganisation of county management and the new Staffordshire County Council was formed who took on responsibility of the two County Asylums from the magistrates and set about developing a third in the Staffordshire Moorlands at Cheddleton, near Leek. 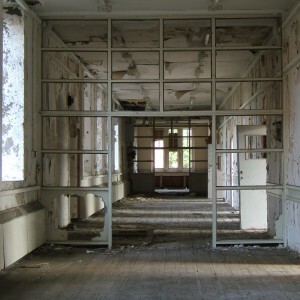 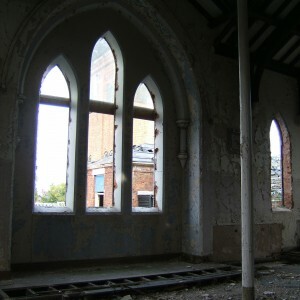 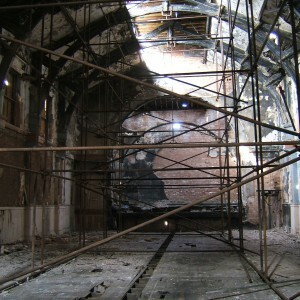 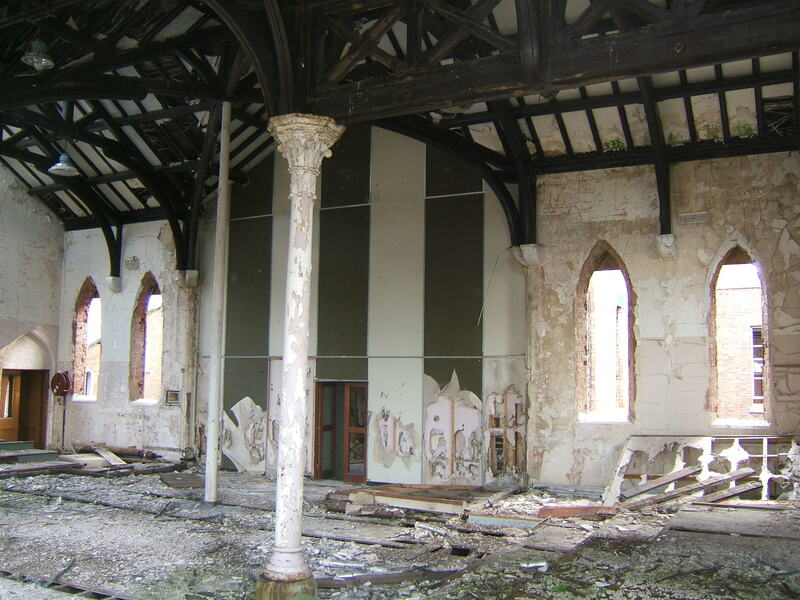 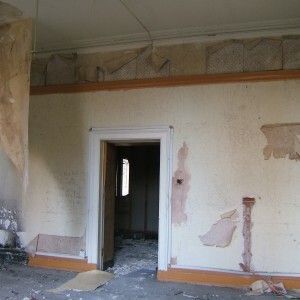 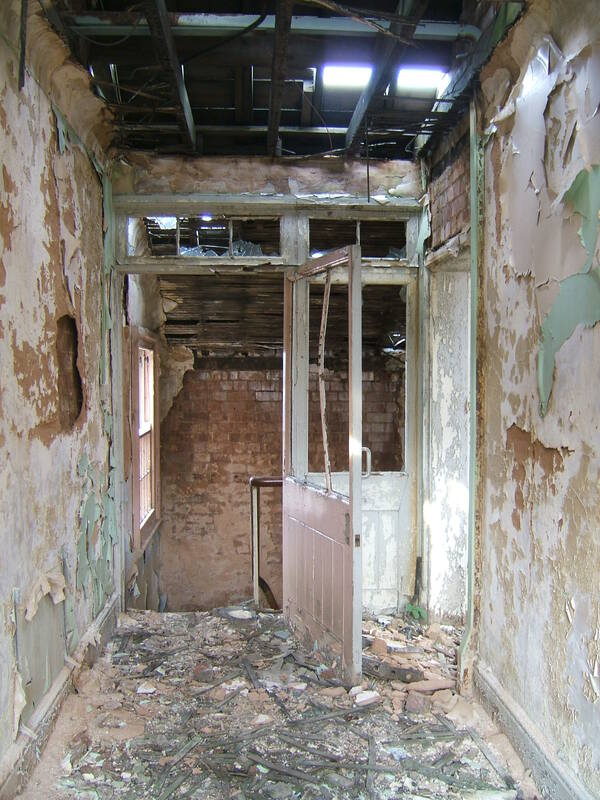 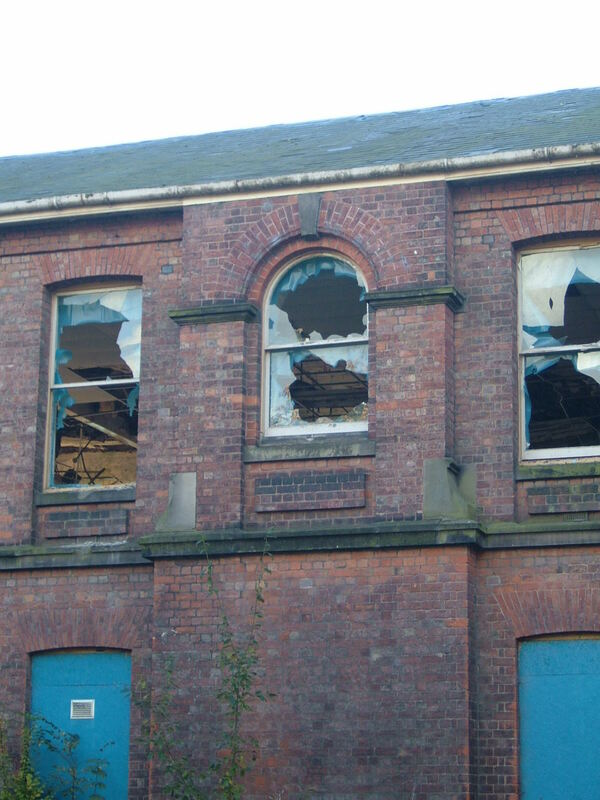 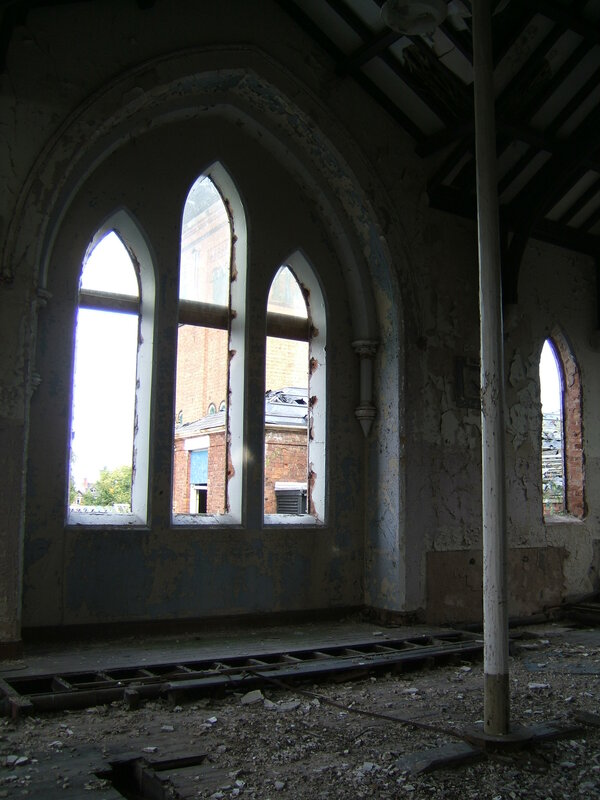 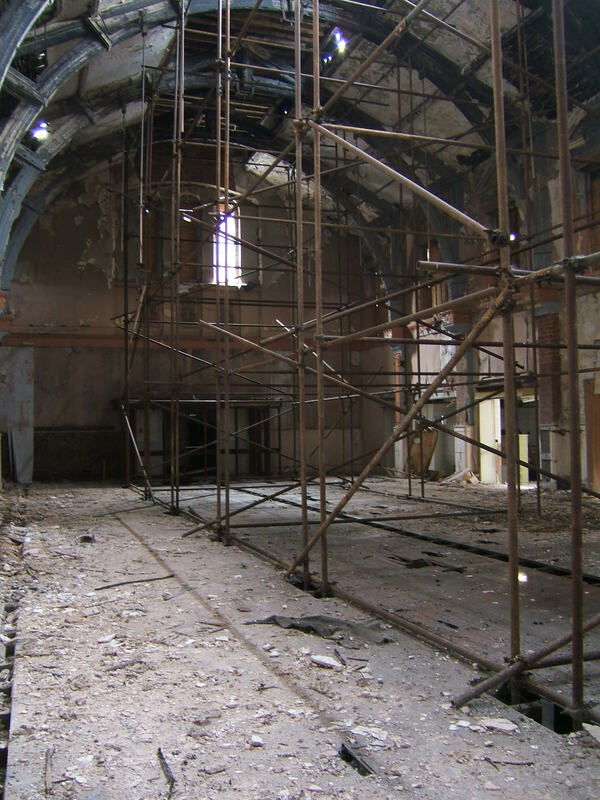 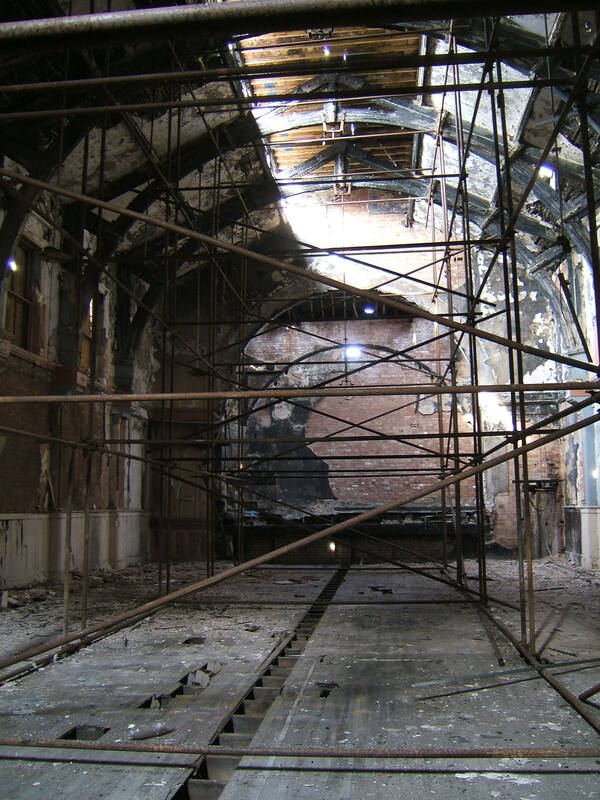 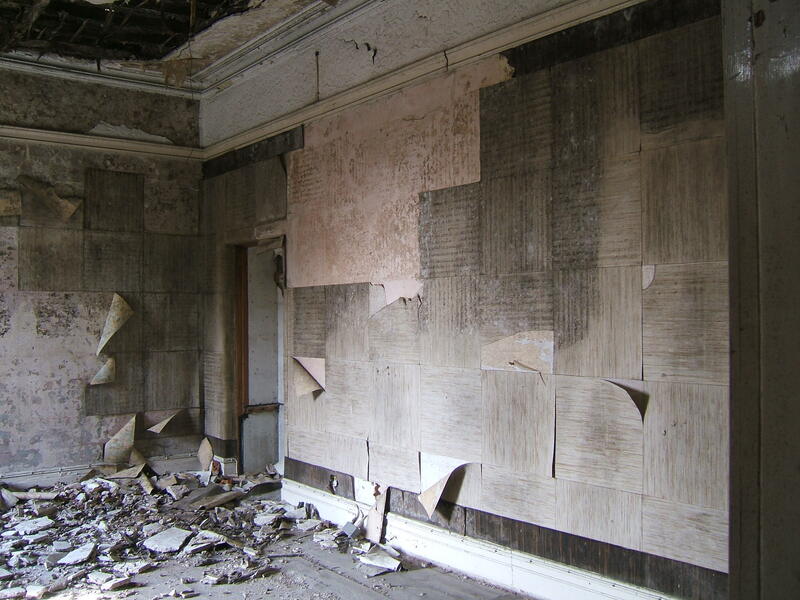 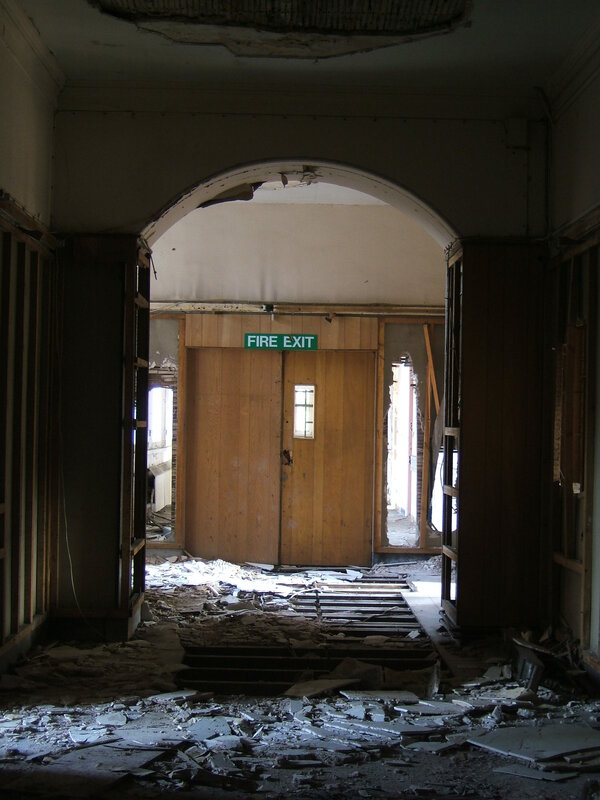 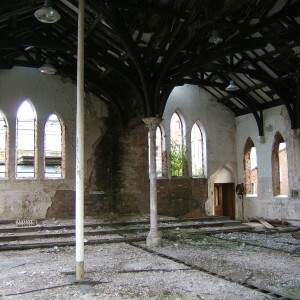 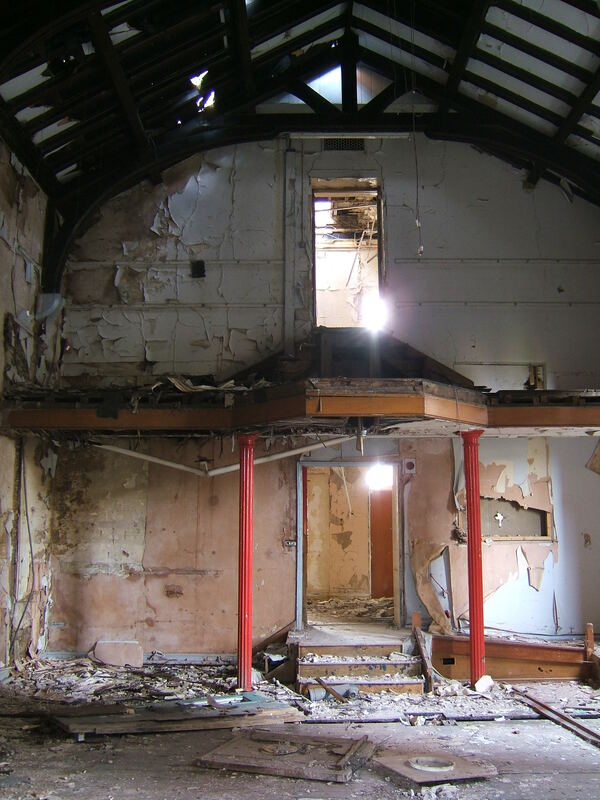 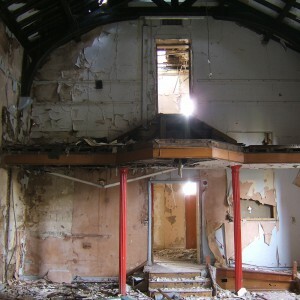 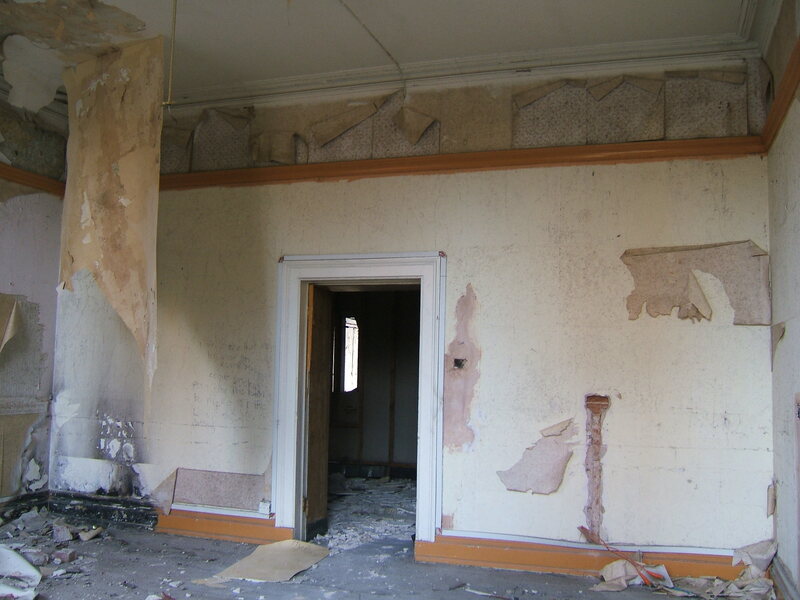 The Cheddleton Asylum suffered some delay in construction not least due to a fire, which destroyed the recreation hall before completion, but was ready for use in 1899. 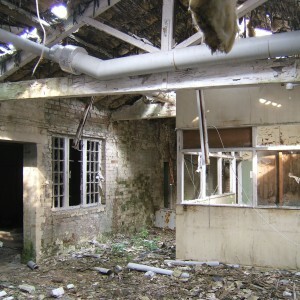 The county was now able to divide its pauper lunatics across three separate establishments. 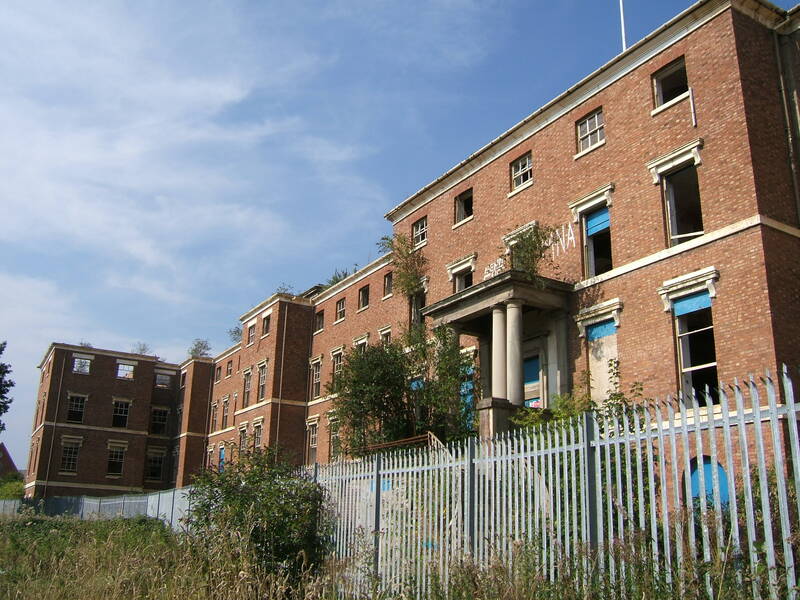 The new century brought further additions in the form of an isolation hospital for infectious diseases, sited some distance to the south east of the existing sanitary ward, which was by this time extended over three stories. 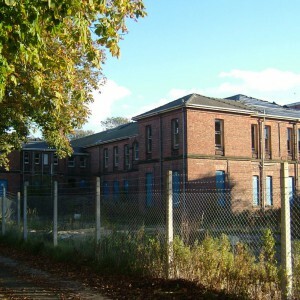 Further development was halted by the Great War and became a receiving asylum in the national scheme to release mental institutions to the military. 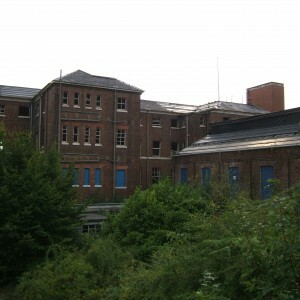 As part of Group 4, Stafford received 171 inmates from the Birmingham City Asylums at Rubery and Hollymoor, as they became war hospitals for wounded troops. 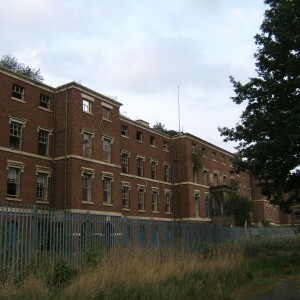 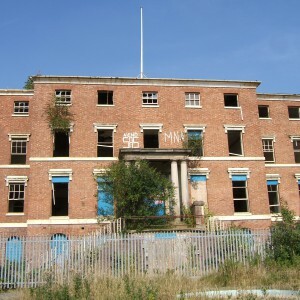 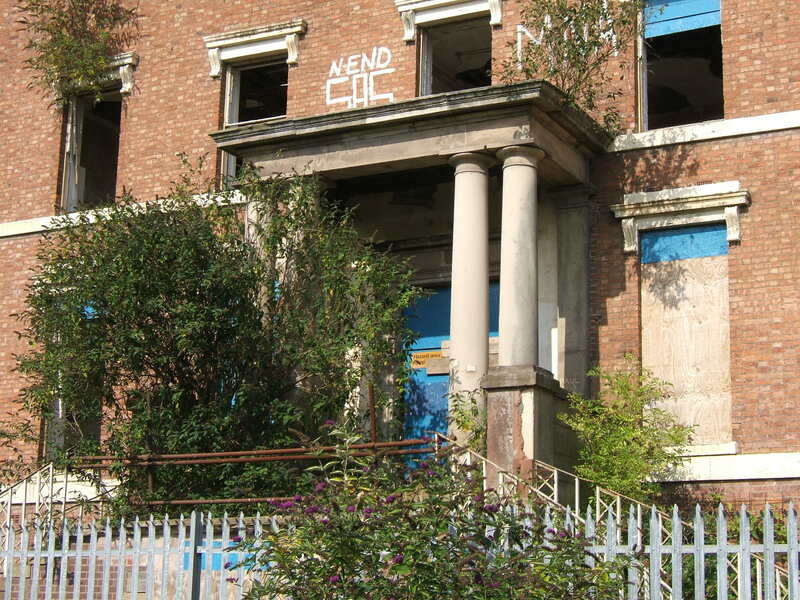 With the return of the Birmingham evacuees after their asylums were handed back, Stafford Asylum was renamed Staffordshire County Mental Hospital, Stafford, or locally Stafford Mental Hospital. 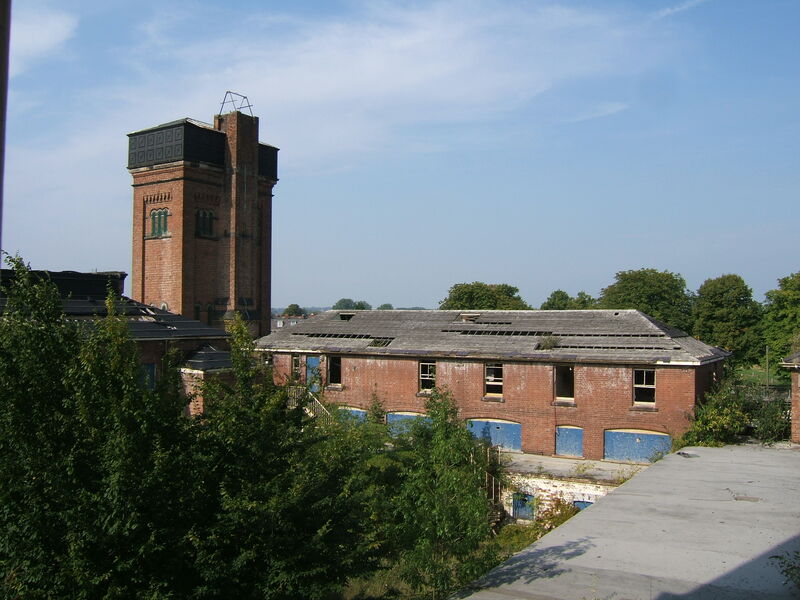 The trend for renaming also took place at Cheddleton and Burntwood and throughout the country by the end of the 1920’s. 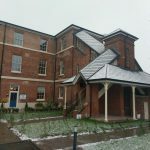 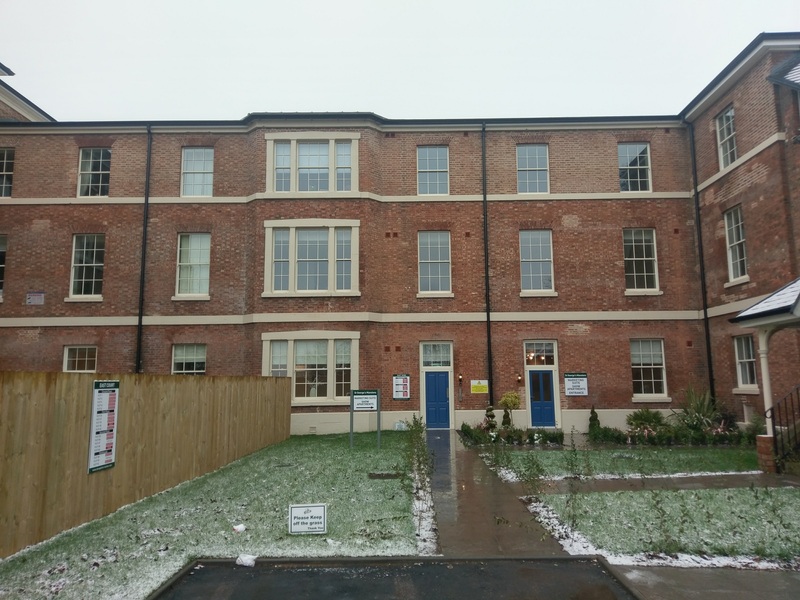 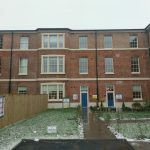 A new Nurse’s home was completed and a detached residence for a senior clinician, known as Swift Brook, located adjacent to Corporation Street. 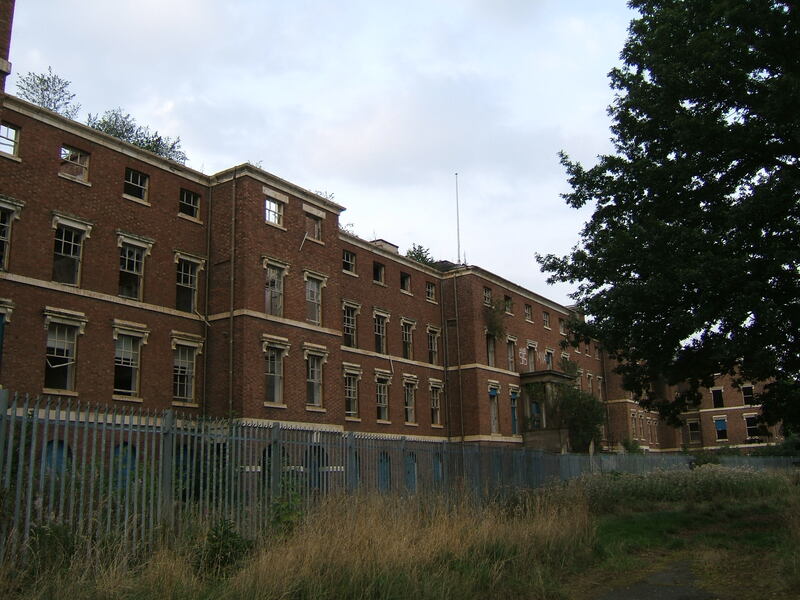 In 1922 an act of parliament was passed allowing the Staffordshire County Council to pass management of all three of its asylums over to a new Staffordshire Mental Hospitals Board similar to those that already existed at West Riding and Lancashire. 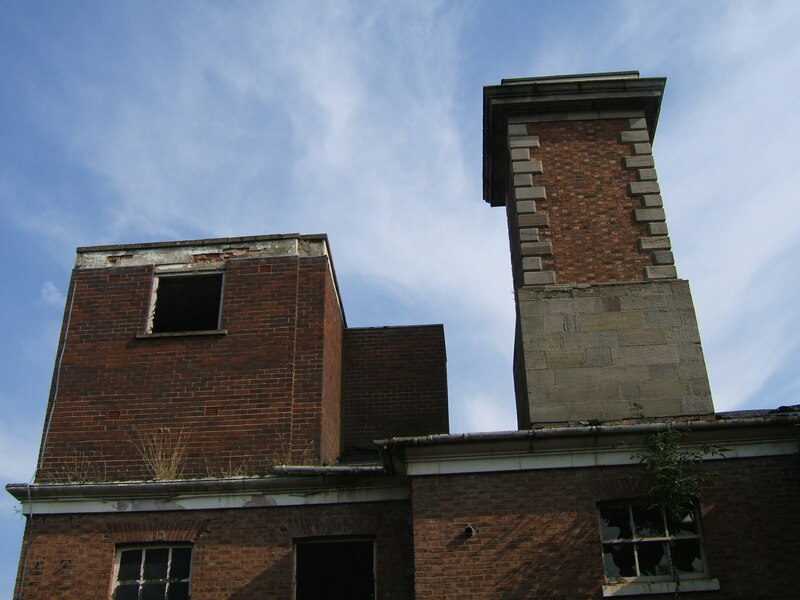 Planning and construction took place into the 1930’s and occupied a site to the east of the new Nurse’s home on what had formerly been open land behind the sanitary and isolation blocks. 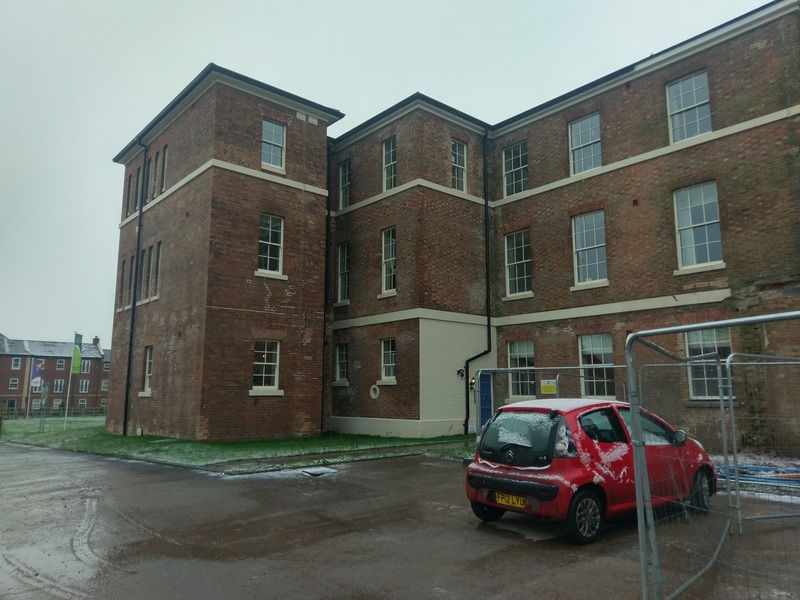 The new building consisted of three two-storey blocks, east for males, west for females and a treatment and staff block placed centrally, linked by single storey sections. 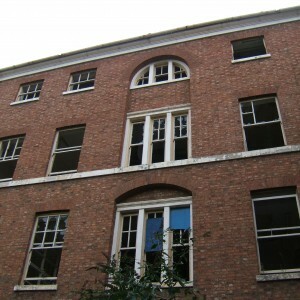 The admission hospital was constructed with it’s own independent access form Corporation Street and was intended to appear separate from the main building so as not to be tainted by it’s associations. 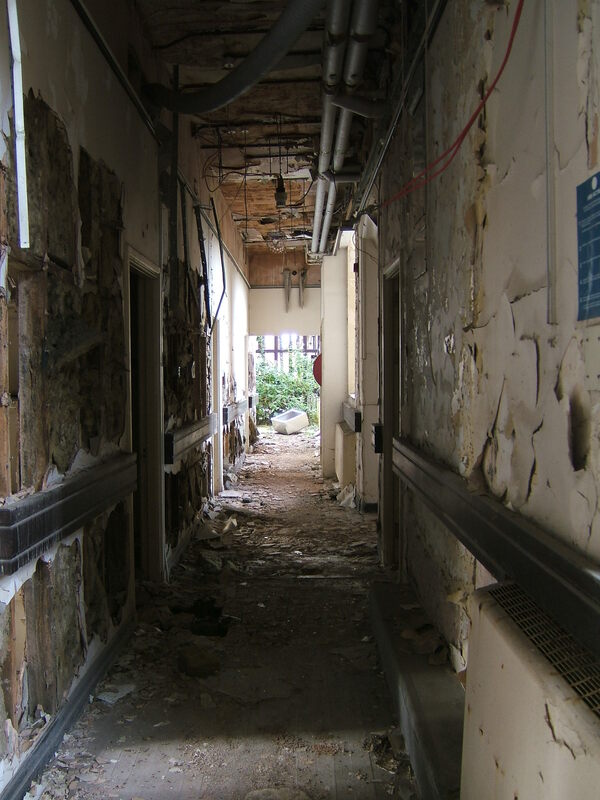 It was hoped that by separating admissions from the main wards that treatment could be more focussed, avoiding chronic deterioration and long-term admission. 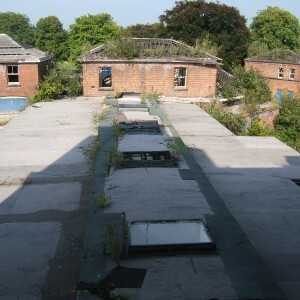 The Staffordshire Mental Hospitals Board had also been successful at building similar admission facilities at the Cheddleton and Burntwood Mental Hospitals, with Stafford’s opening in 1938, shortly prior to the onset of the Second World War. 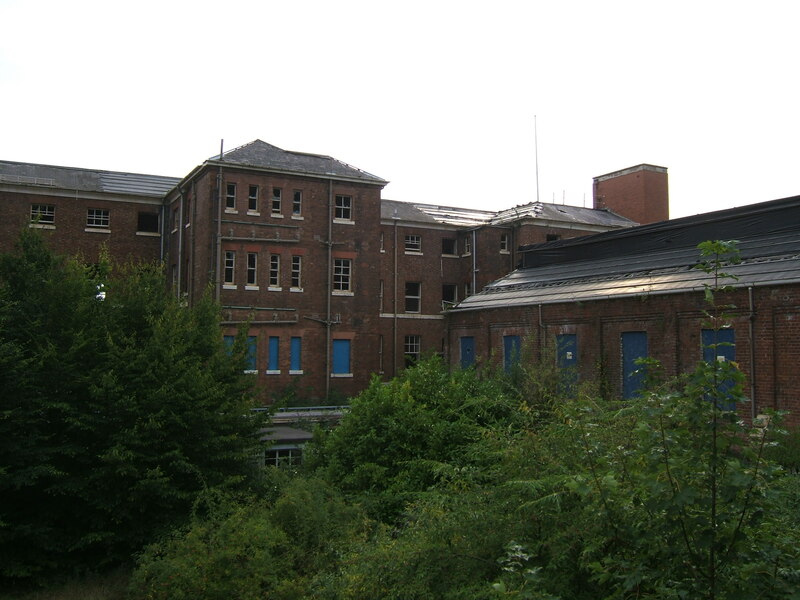 After World War II, the creation of the National Health Service meant the abolition of the Staffordshire Mental Hospitals Board as the premises owned by it were nationalised. 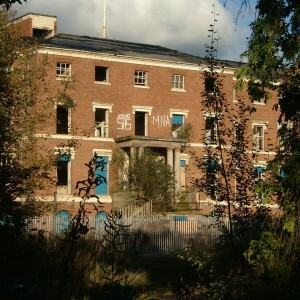 Each of the former Staffordshire Mental Hospitals took on the name of a Saint, with Stafford becoming St. George’s Hospital. 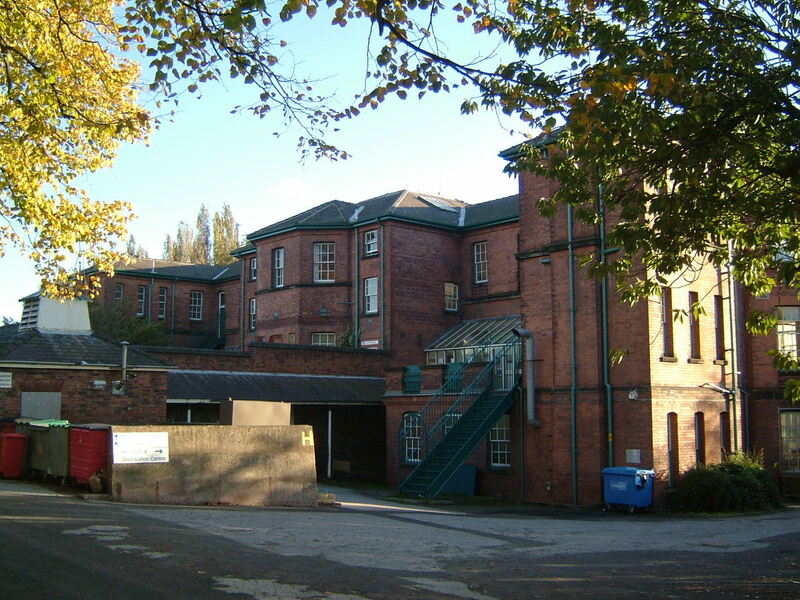 Direct management of St. George’s passed to the Mid Staffordshire Hospital Management Committee, who were headquartered there but also took over responsibility for Coton Hill Hospital. 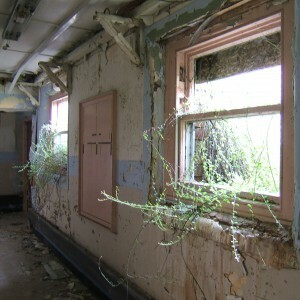 The hospital was gradually modernised on a ward-by-ward basis in order to improve the facilities for patients there. 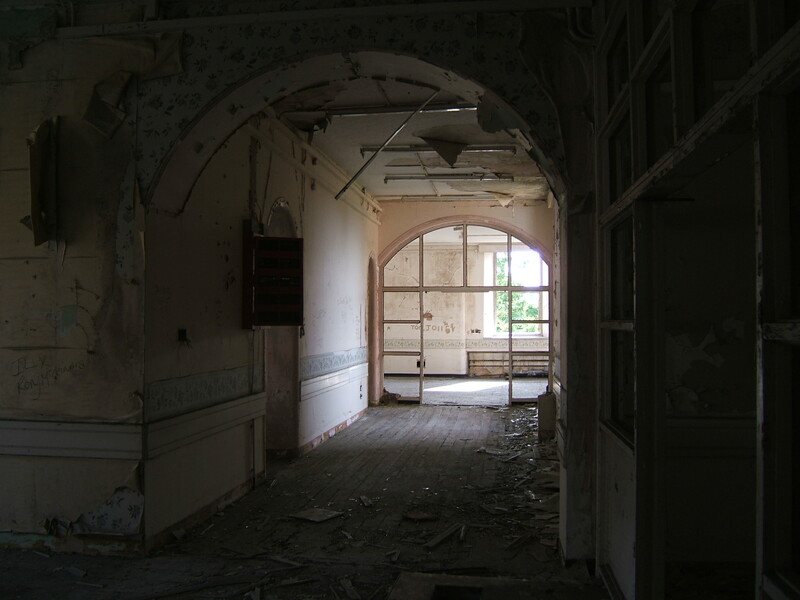 Wards were given names in order to make them appear more homely, the majority of which were named after local villages, whilst a few were named after personalities or organisations associated with the hospital. 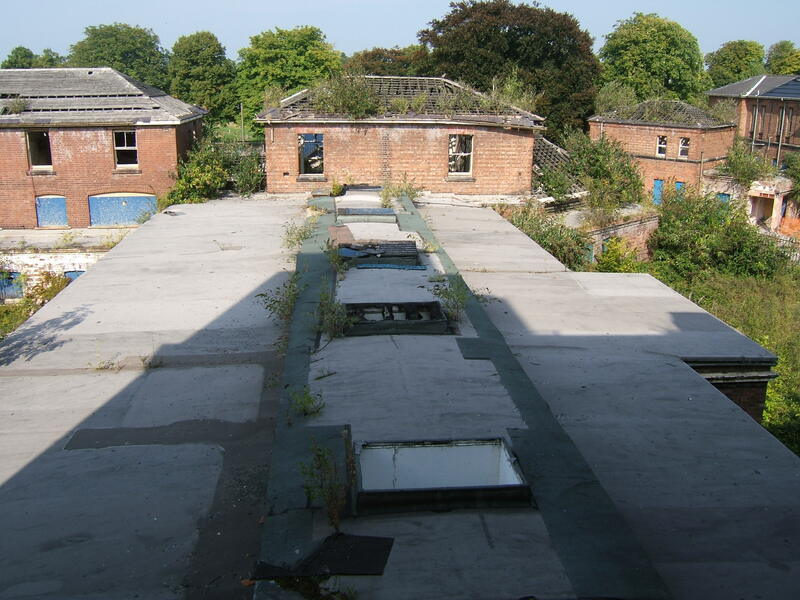 In the mid 1950’s the male pavilion block to the north west of the main building, behind the prison, was demolished and it’s occupants transferred to other wards, the site was subsequently developed for a new district laundry facility covering a number of hospitals in the area. 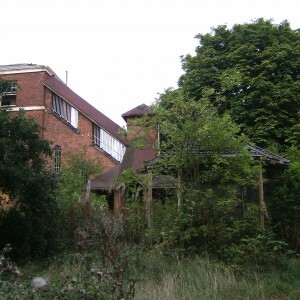 A new building was also located on the back drive during the 1960’s, which would house the new Norbury Ward. 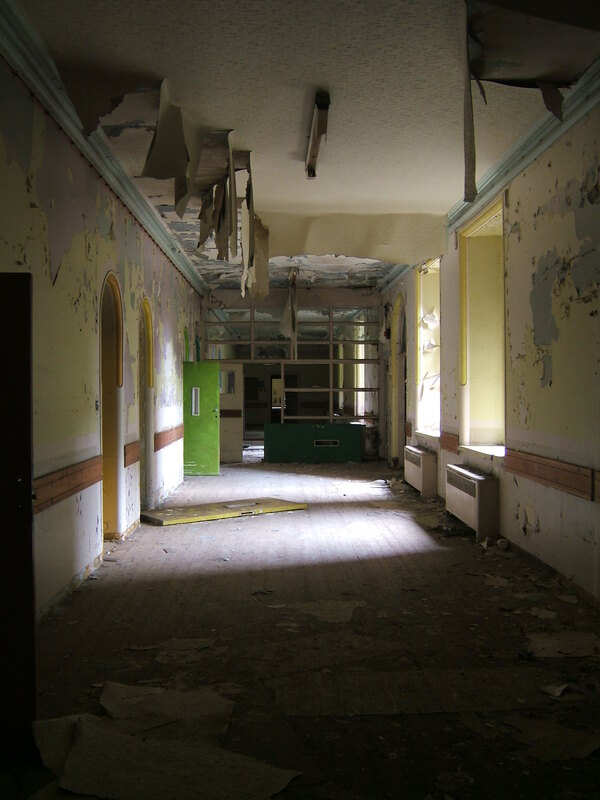 The introduction of drug therapies during the 1950’s and 60’s meant the gradual decrease in inpatient numbers as many patient’s formerly considered too unwell to be discharged became manageable with antipsychotics and many were returned to the community, some after decades of residence at St. George’s. 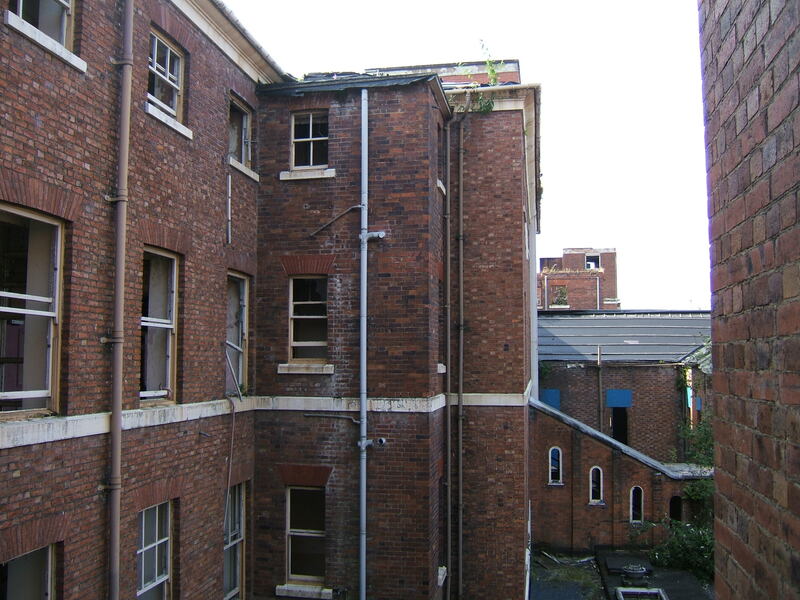 Major changes took place into the early 1970’s as 7 blocks of new staff hostels were built on the open land bounded by Swift Brook, Corporation Street and the Nurse’s home. 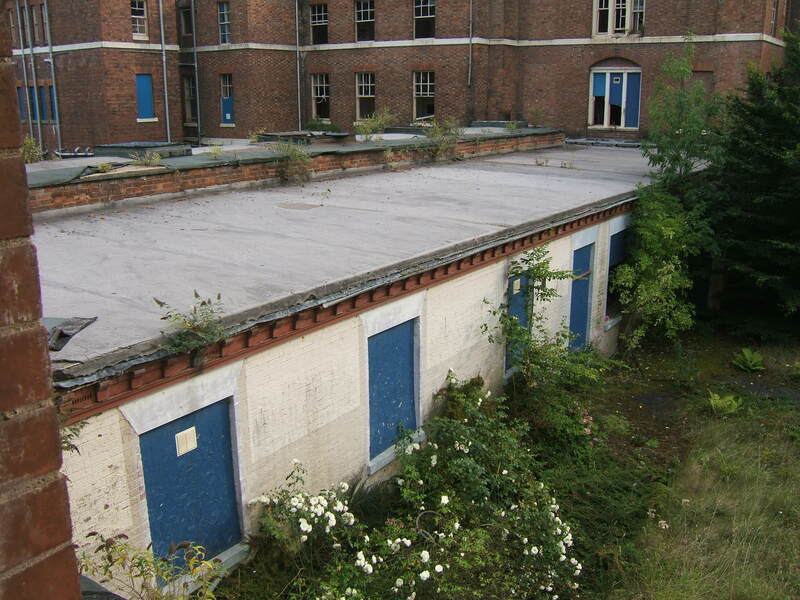 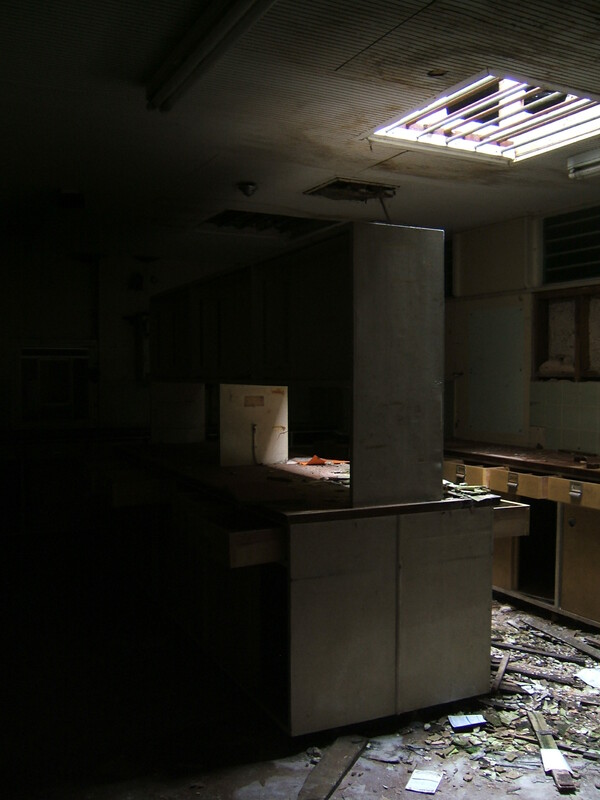 Kingsmead Hospital, a single storey, flat roofed unit of two conjoined structures was opened on vacant land to the east of the admission hospital in 1974, but was not initially used for psychiatric patients, instead being allocated to geriatric patients. 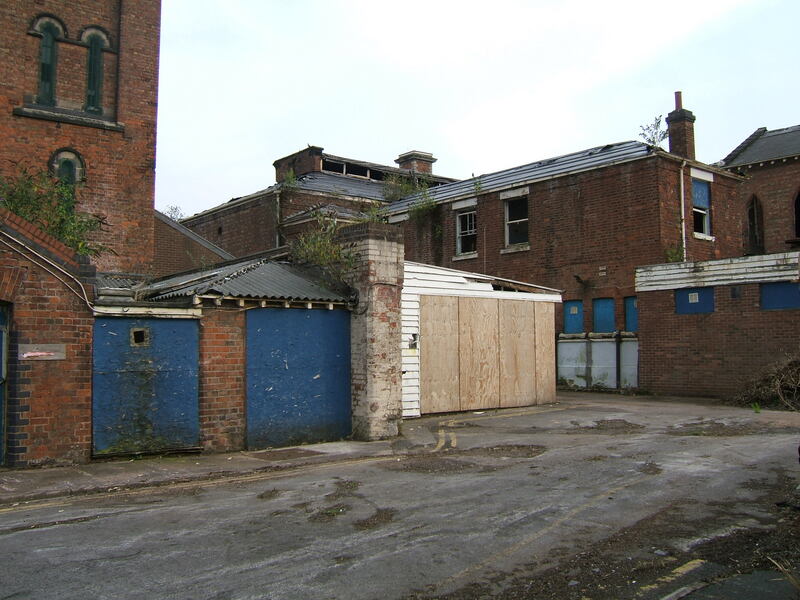 A hospital social club was also located at this end of the site, adjacent to entrance from Corporation Street. 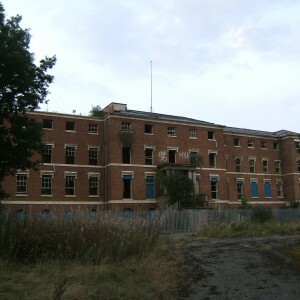 To the south of the main buildings a new road, Queensway, was driven across the grounds to provide Stafford with a new road bypassing the main town centre between Foregate Street and Weston Road, and linking to the Lichfield and Wolverhampton Road, this becoming part of the A34. 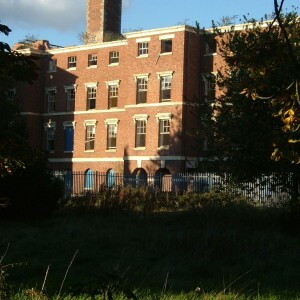 The grounds of St. George’s presented a convenient corridor of undeveloped land through which to pass the new road, which had elsewhere required demolition of properties. 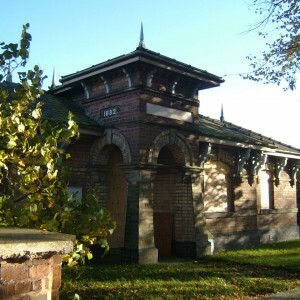 The Lodge on Gaol Square was demolished for the new road and the main driveway was realigned along part of its length nearest to the town. 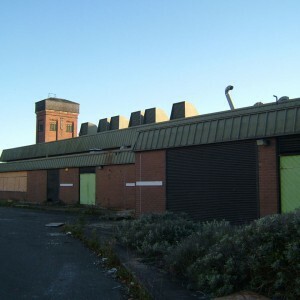 Queensway was officially opened in 1978. 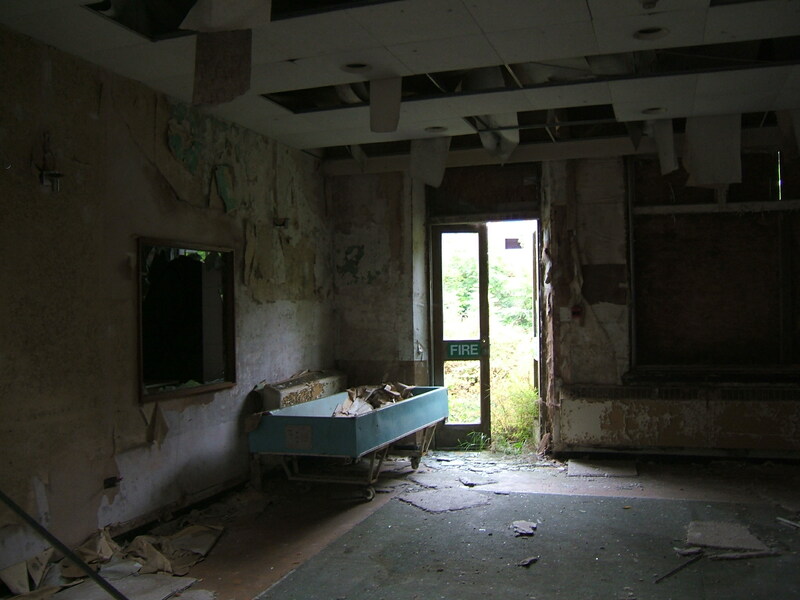 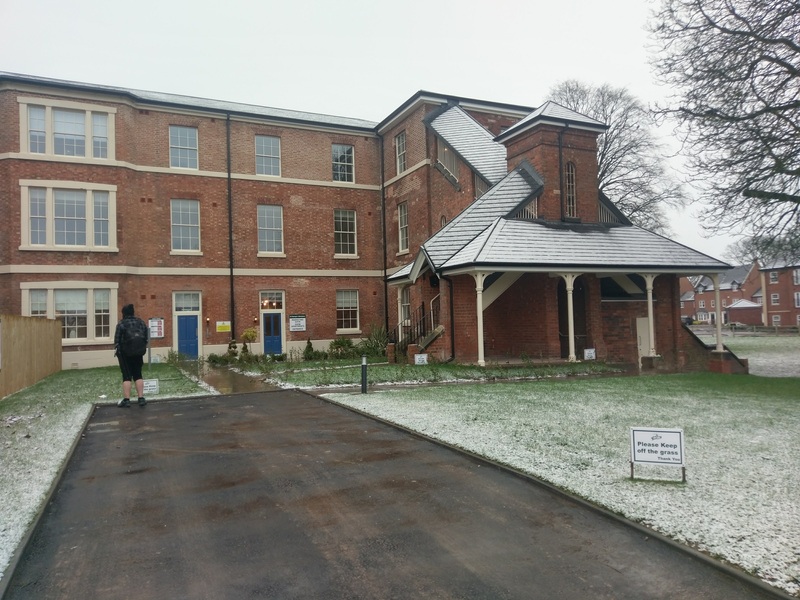 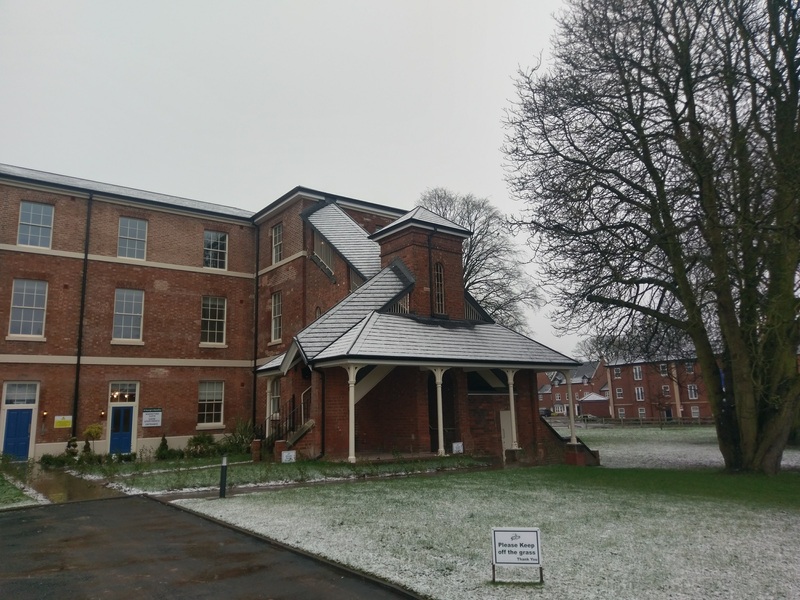 Coton Hill Hospital was chosen for the site of a new District General Hospital (DGH) , to replace many of the other hospitals scattered around the town, and to gradually supersede the services provided at the Staffordshire General Infirmary (SGI) . 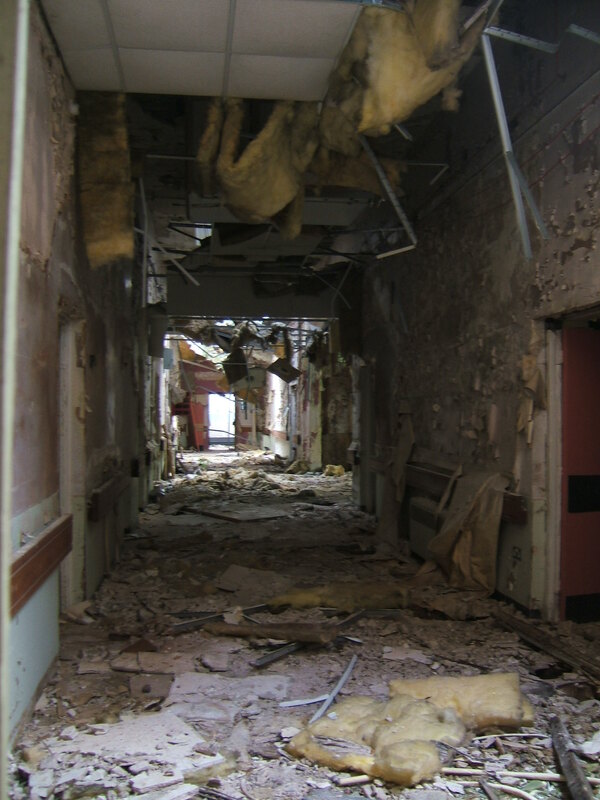 Coton Hill was demolished in the process and the patient’s relocated elsewhere, predominantly to St. George’s. 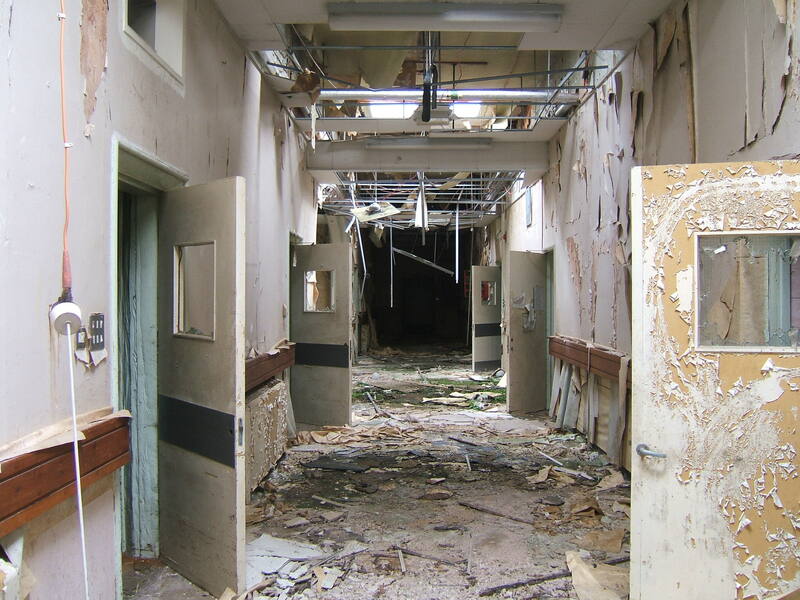 The majority of mental health services were not provided at the new Stafford DGH instead remaining at St. George’s, which was conveniently located for the town and a short distance from the new hospital, which had opened on 5th June 1983. 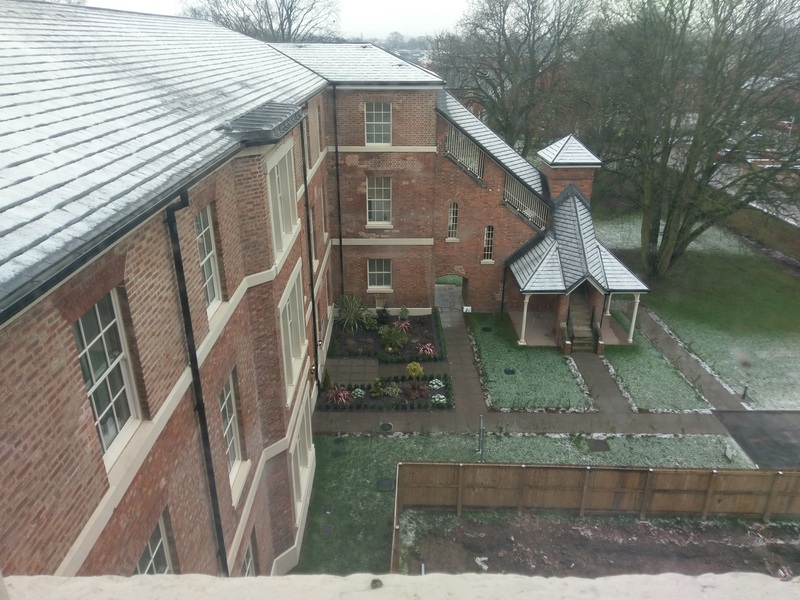 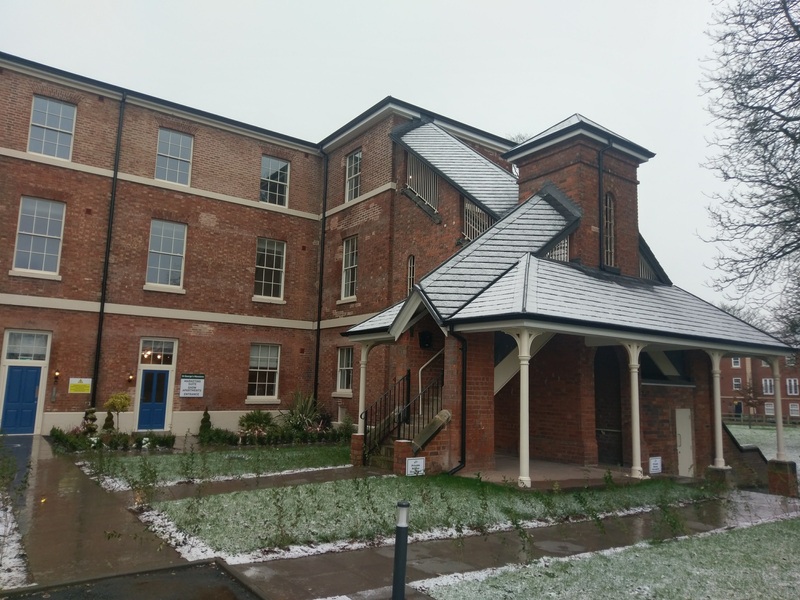 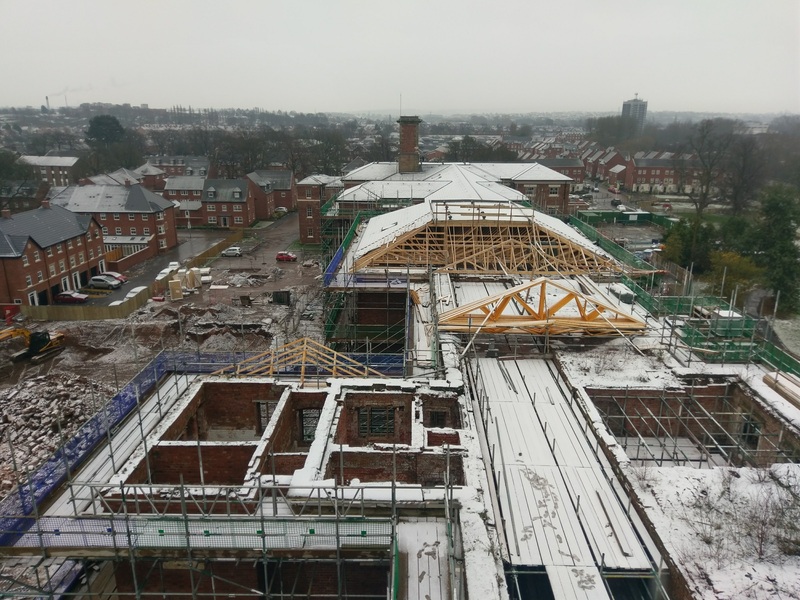 A new chapel was constructed as a spur from the corridor from the female wing into the St. Chad’s unit, formerly the female pavilion block, opening in the late 1980’s with the original chapel being deconsecrated in the early 1990’s. 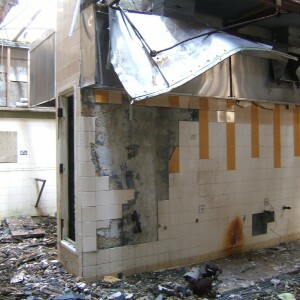 Kingsmead Hospital became a unit for the elderly mentally ill from 1992 and was absorbed into the neighbouring St. George’s complex. 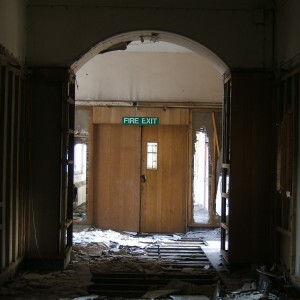 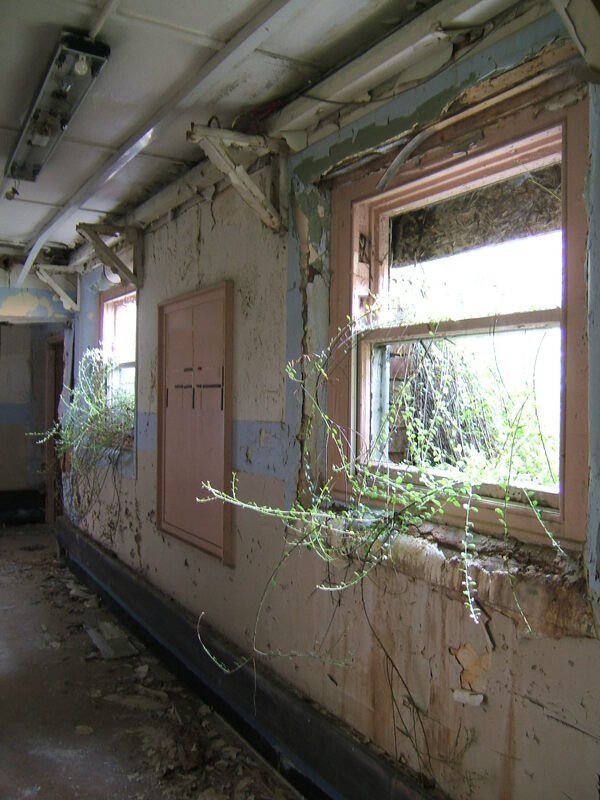 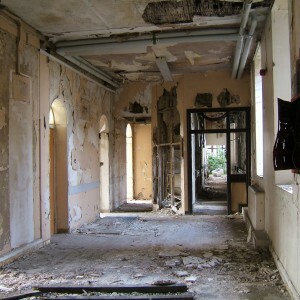 The main building was being wound down at this time with many of the remaining services transferred to the admission hospital and adjacent buildings. 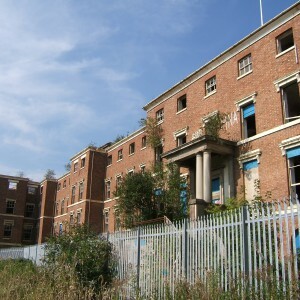 The main buildings at St. George’s Hospital closed in 1995, with remaining services continuing on the adjacent admission hospitals complex. 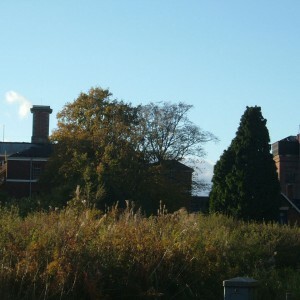 Staffordshire General Infirmary, from which the subscriber’s plans for the original asylum originated, closed the following year, with remaining services relocated to the renamed Staffordshire General Hospital at Coton Hill. 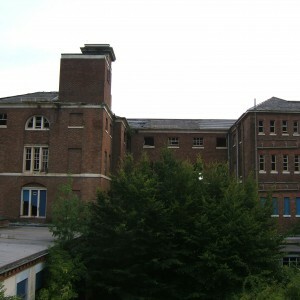 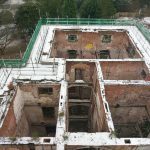 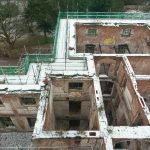 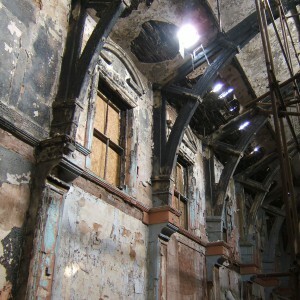 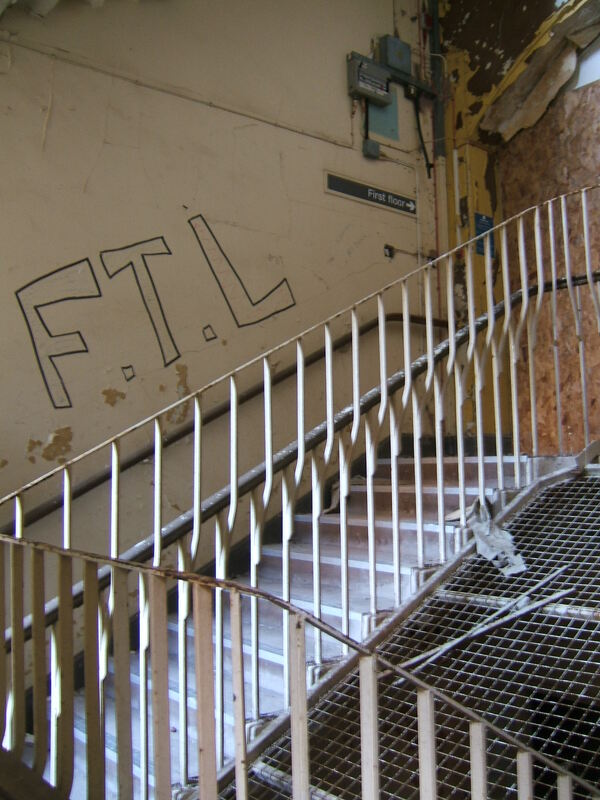 Since closure the main building has been allowed to deteriorate for 20 years as various schemes to refurbish it for new uses failed. 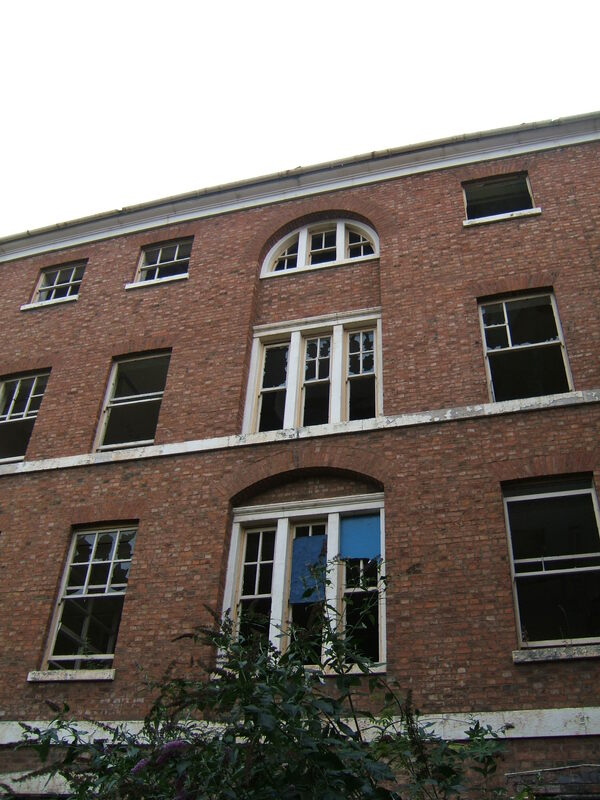 As an early example of county asylum development, it has been listed Grade II, but although the status has prevented it’s demolition, little evidence of preservation is evident. 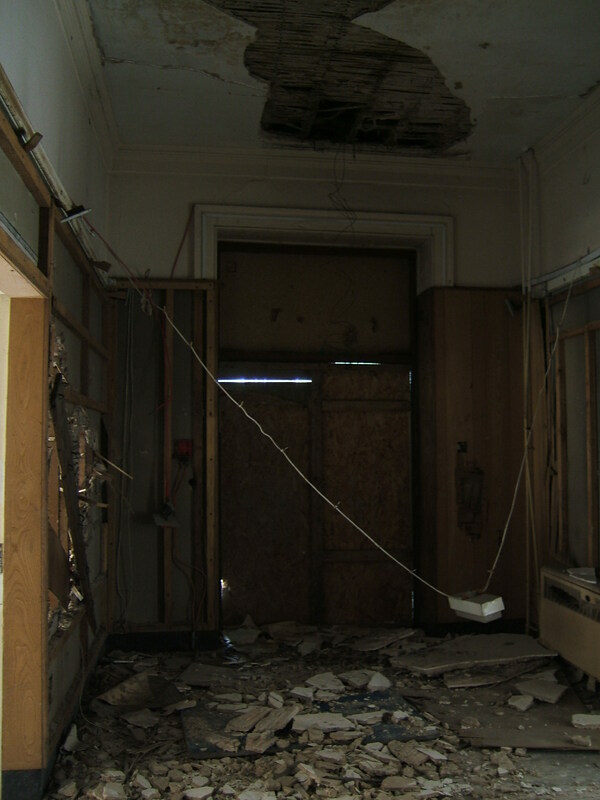 Most significant damage has been caused by numerous arson attacks, which have obliterated most floors and roof of the male wing and latterly the central administrative section. 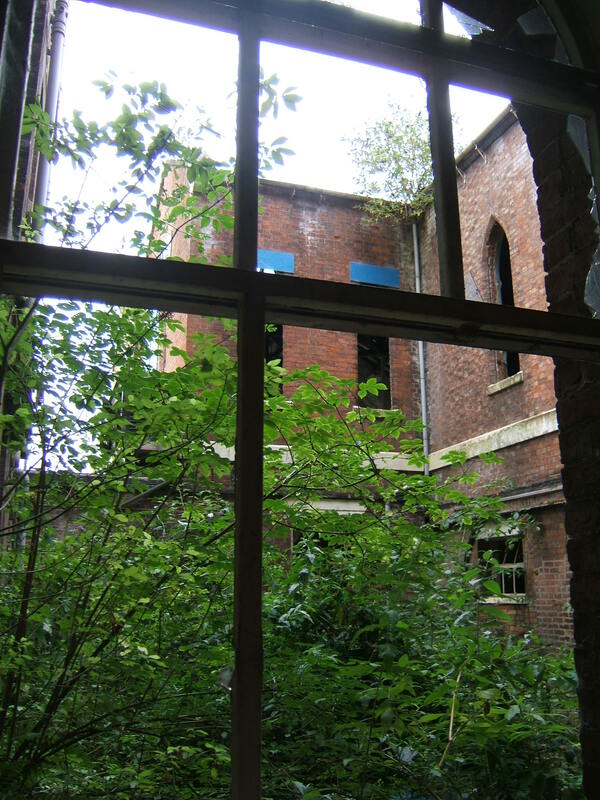 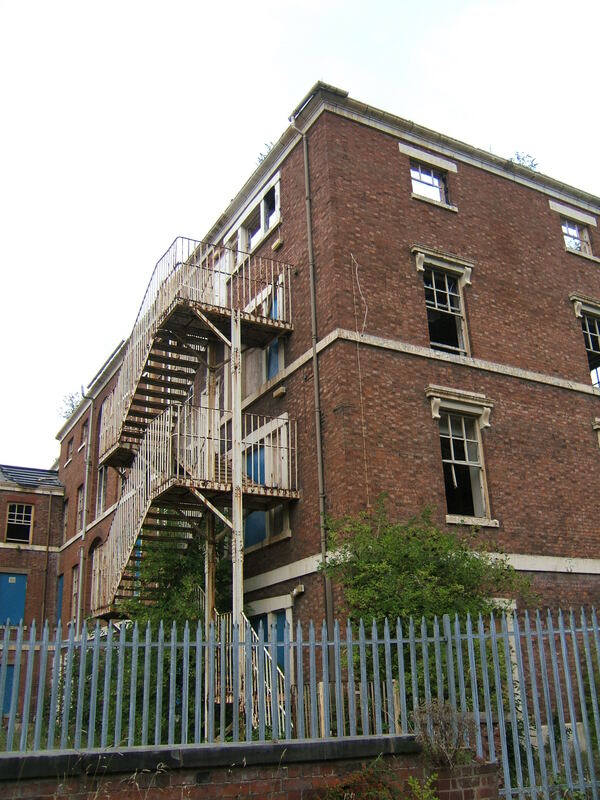 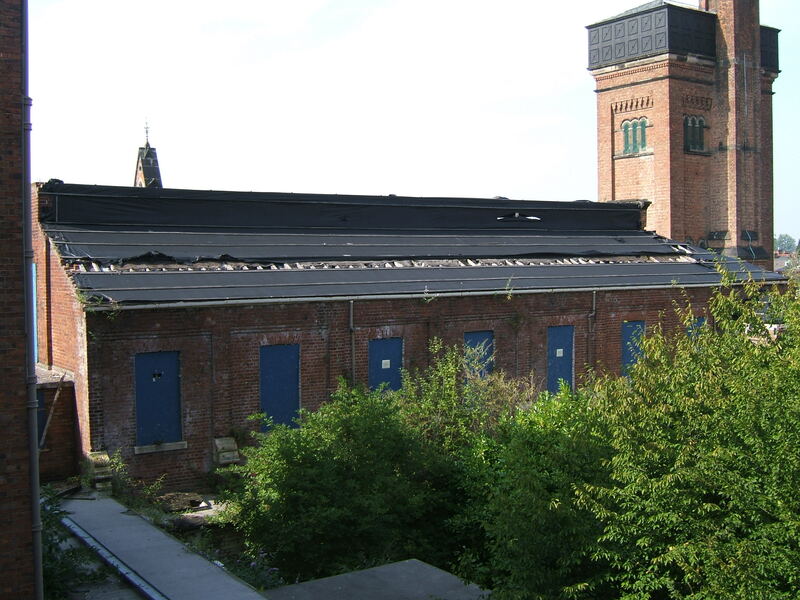 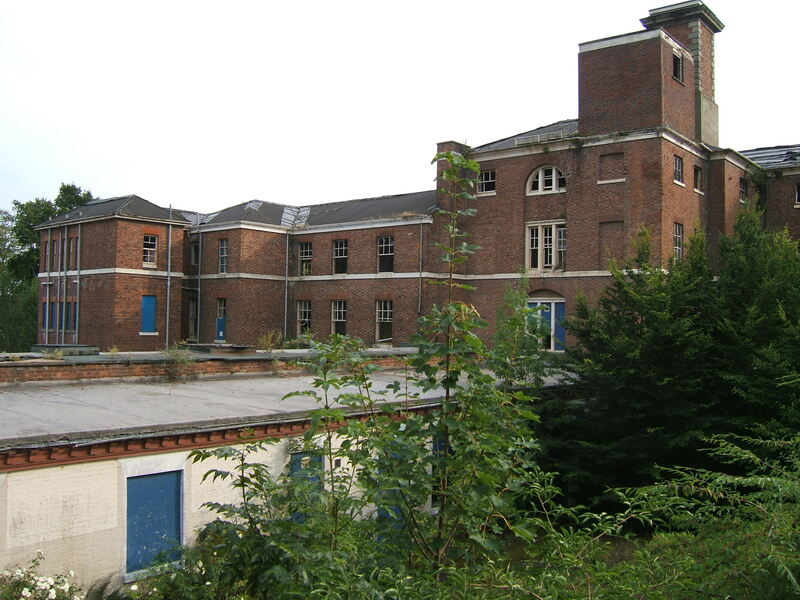 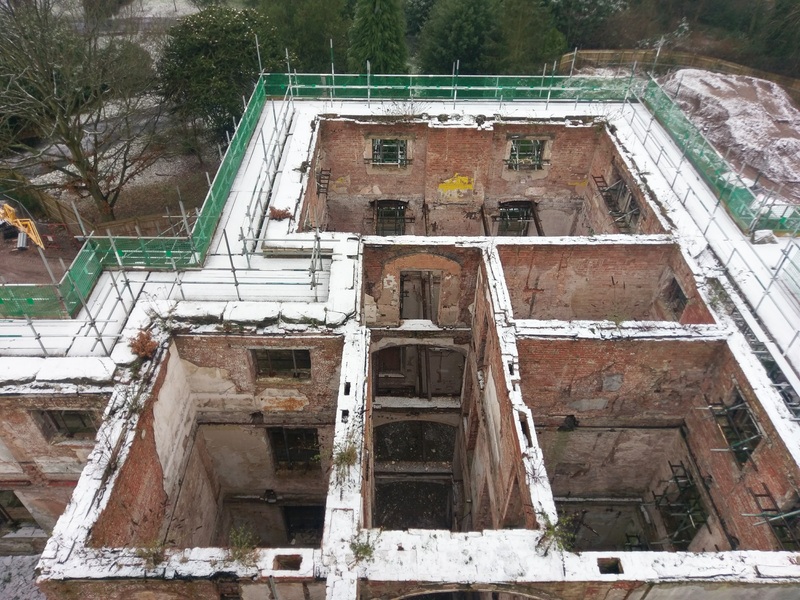 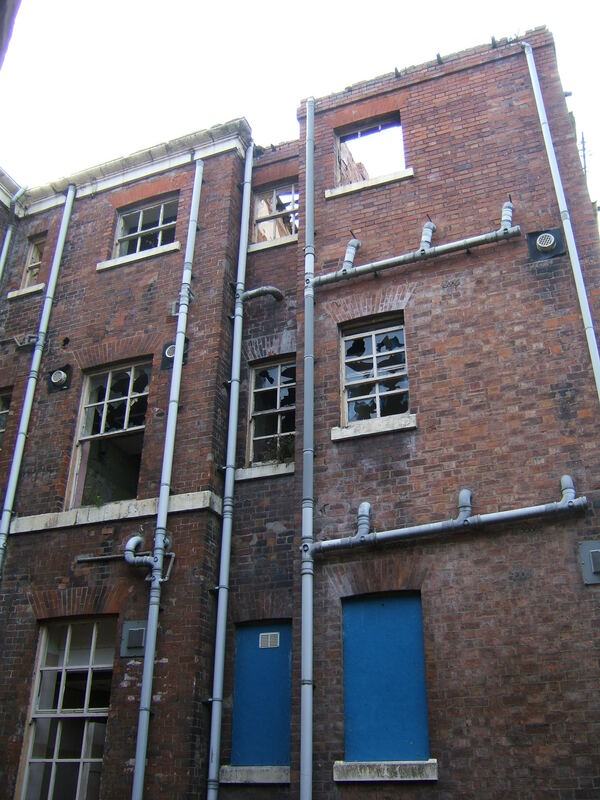 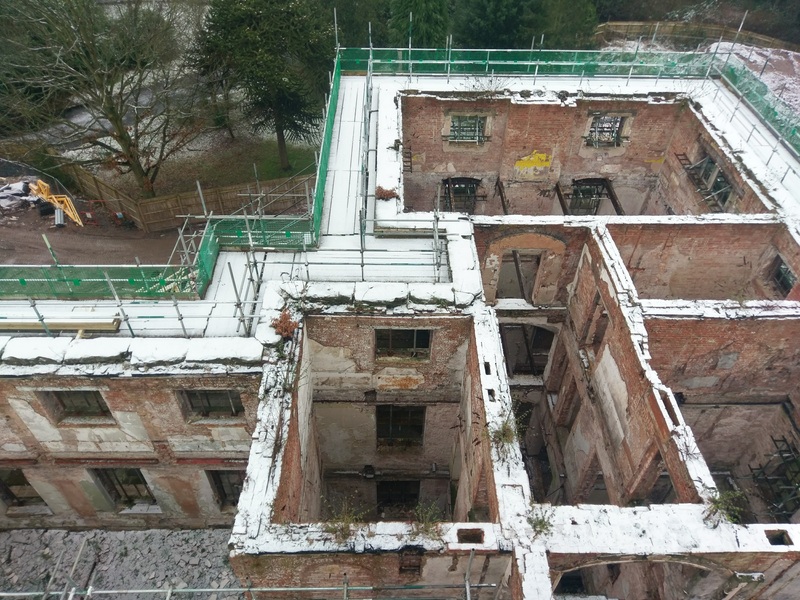 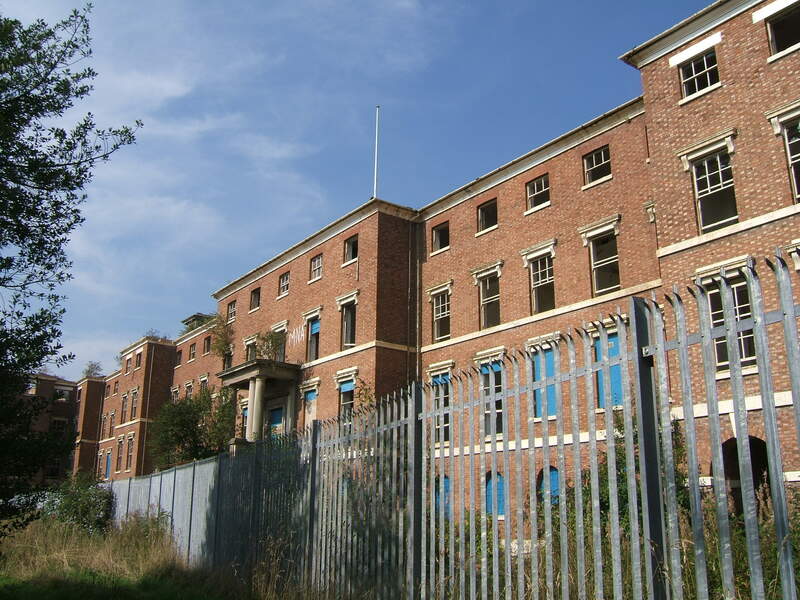 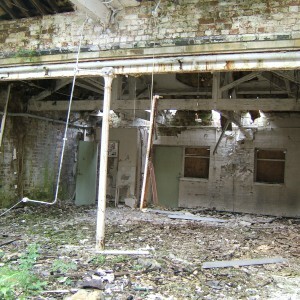 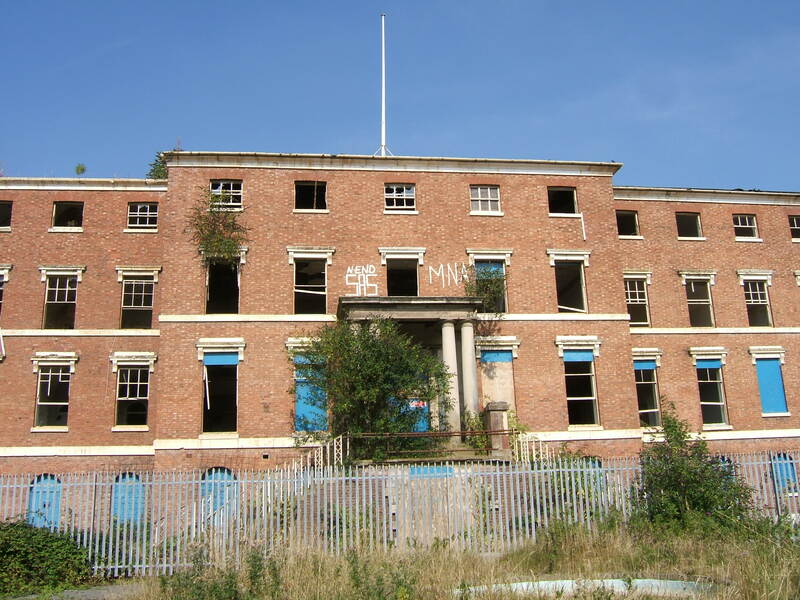 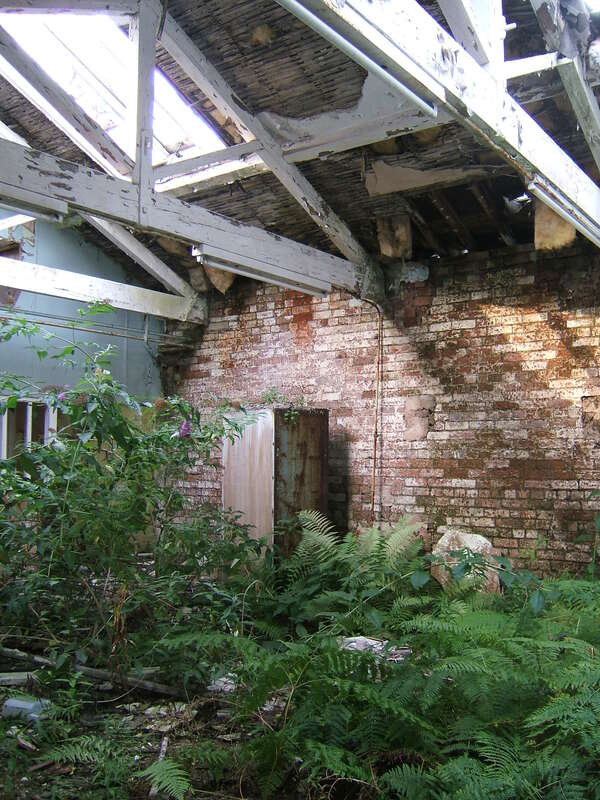 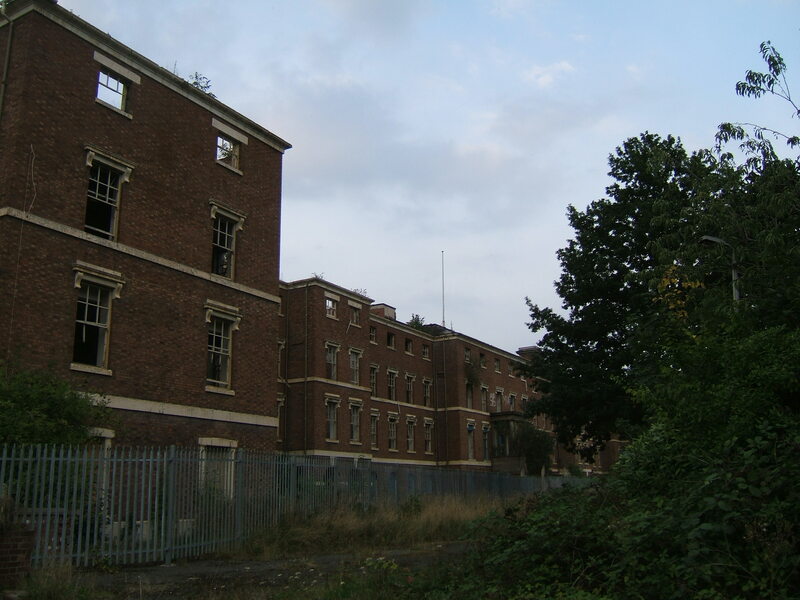 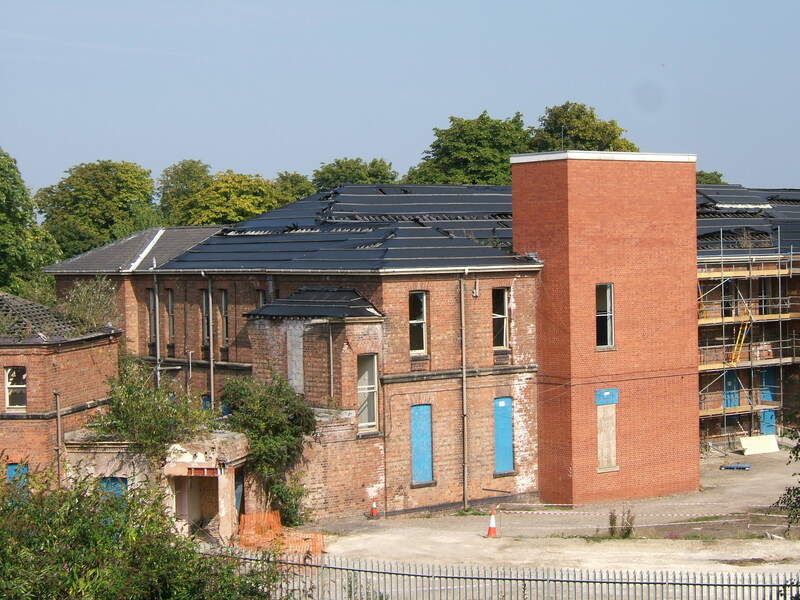 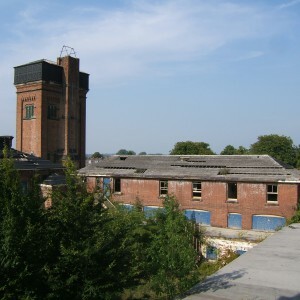 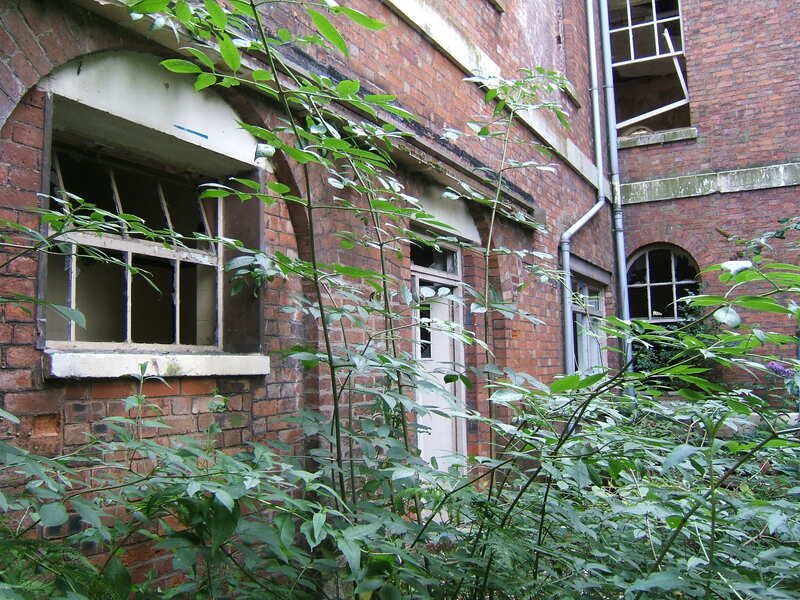 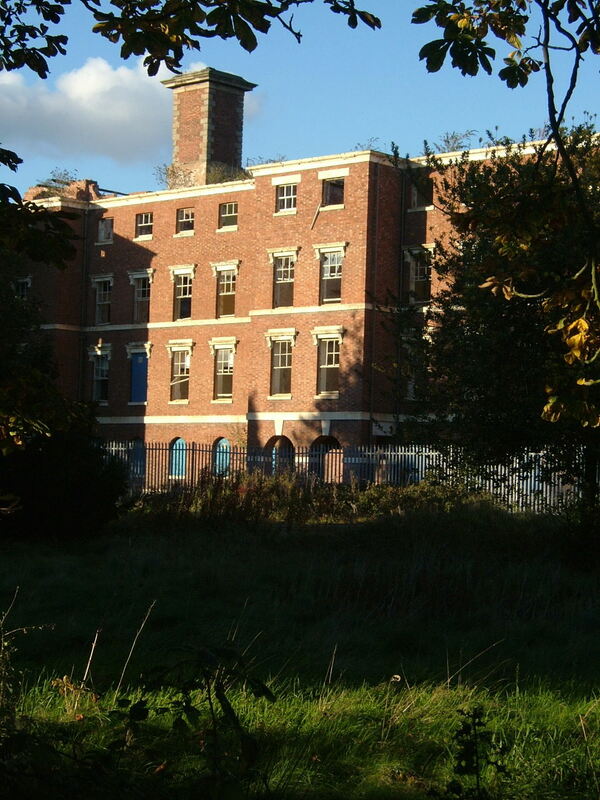 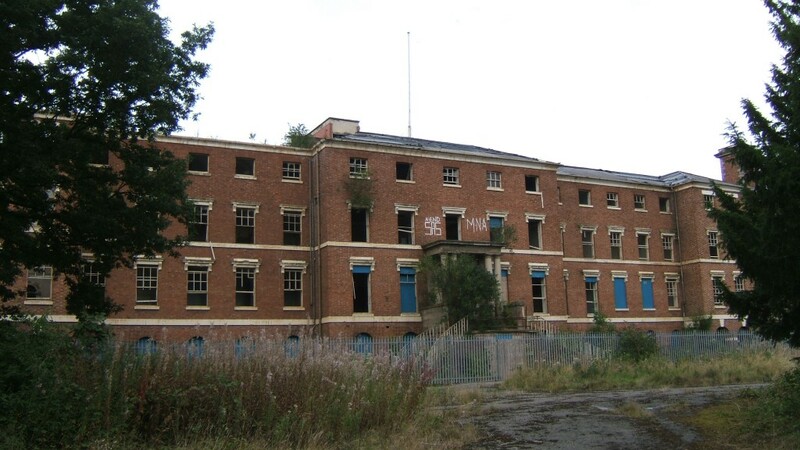 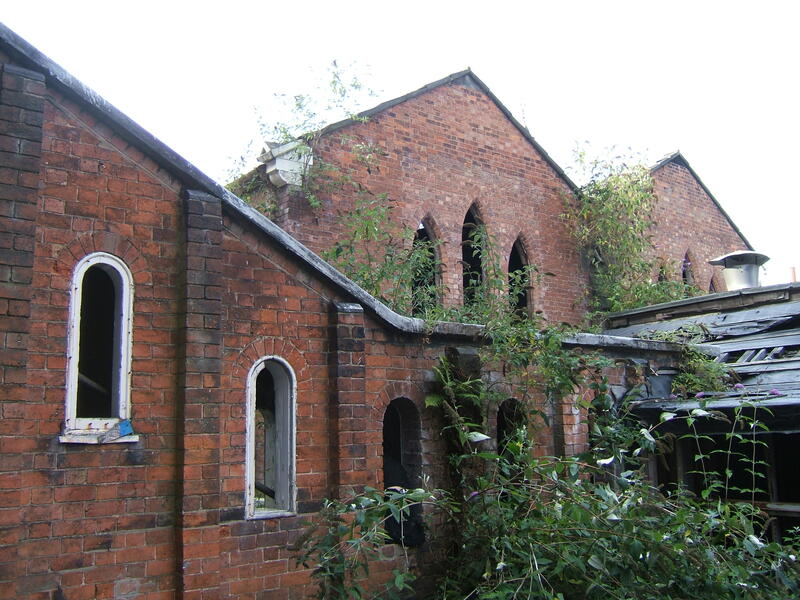 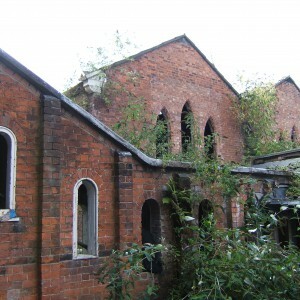 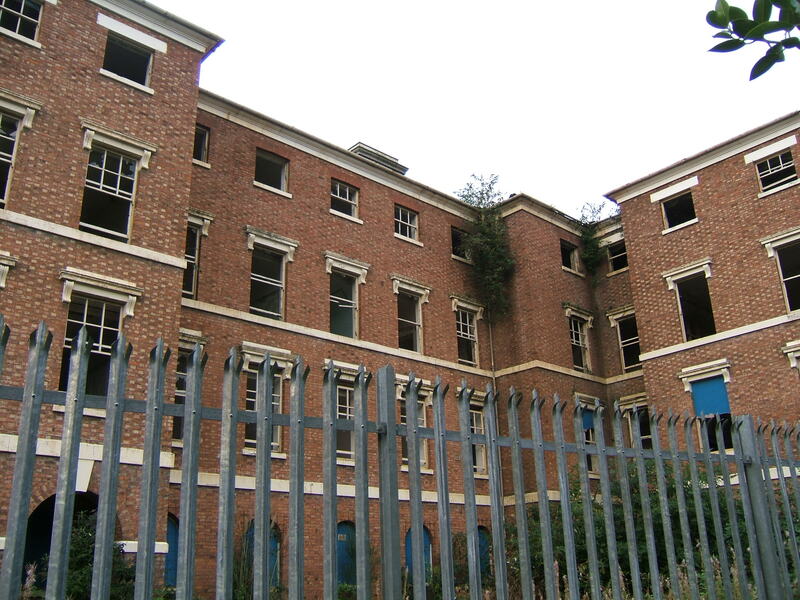 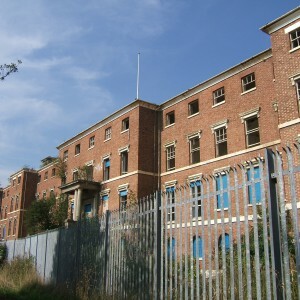 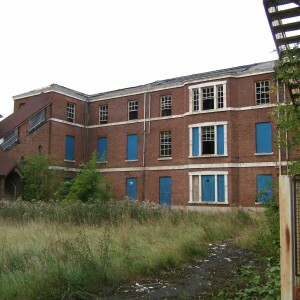 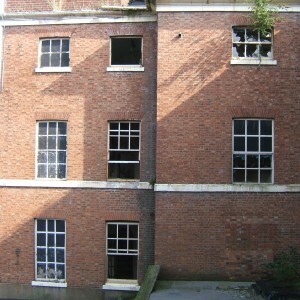 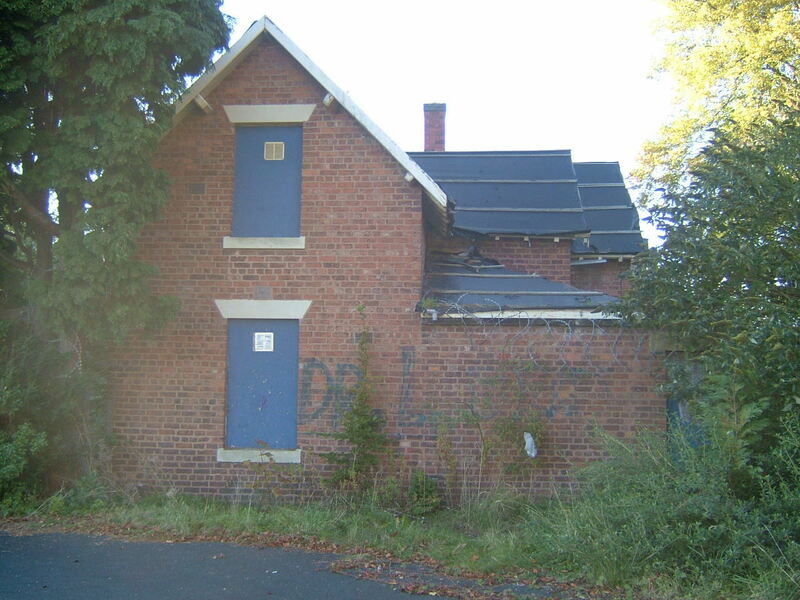 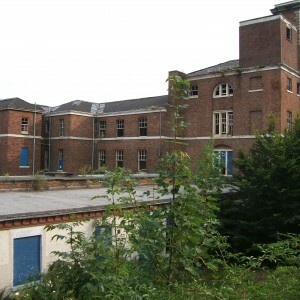 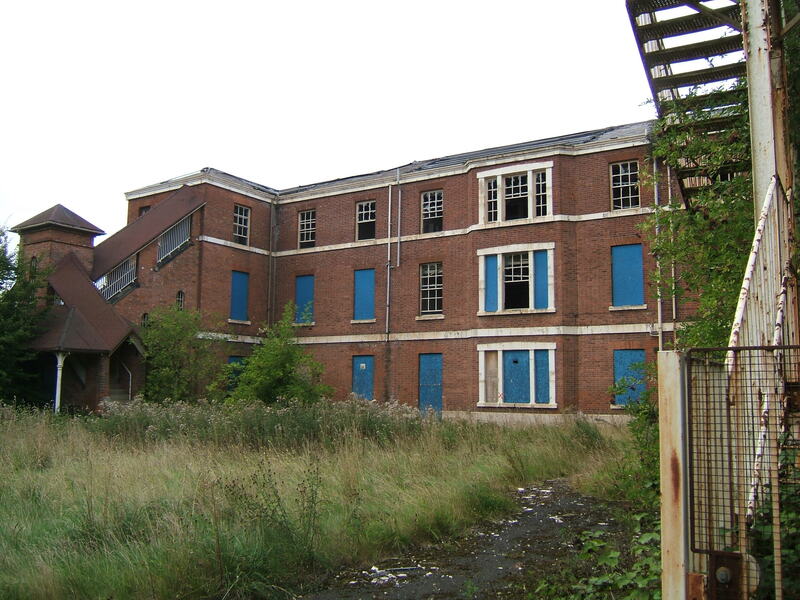 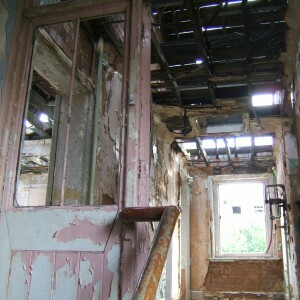 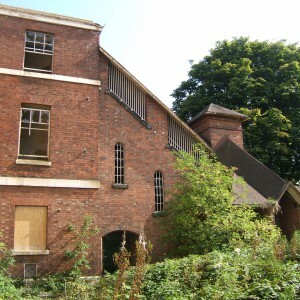 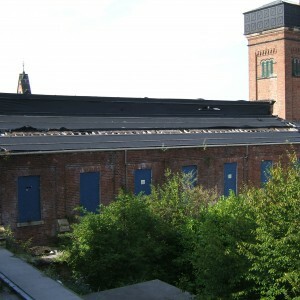 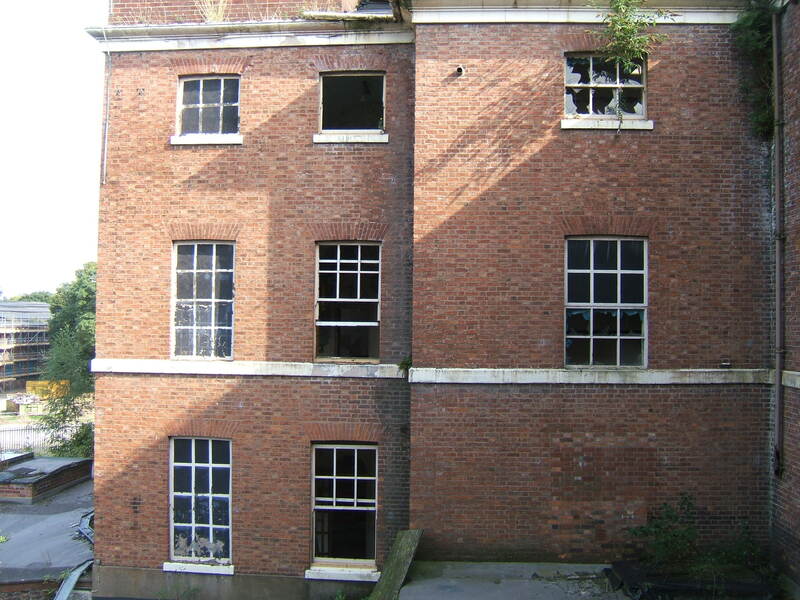 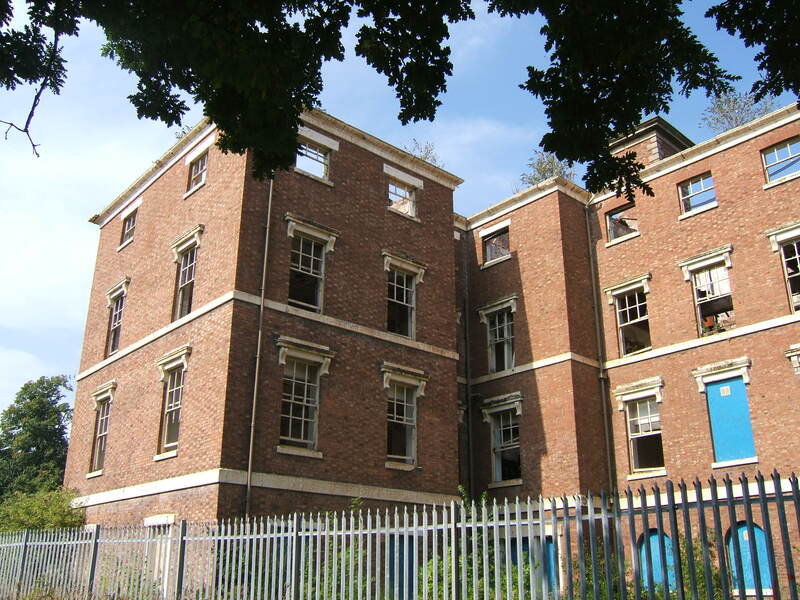 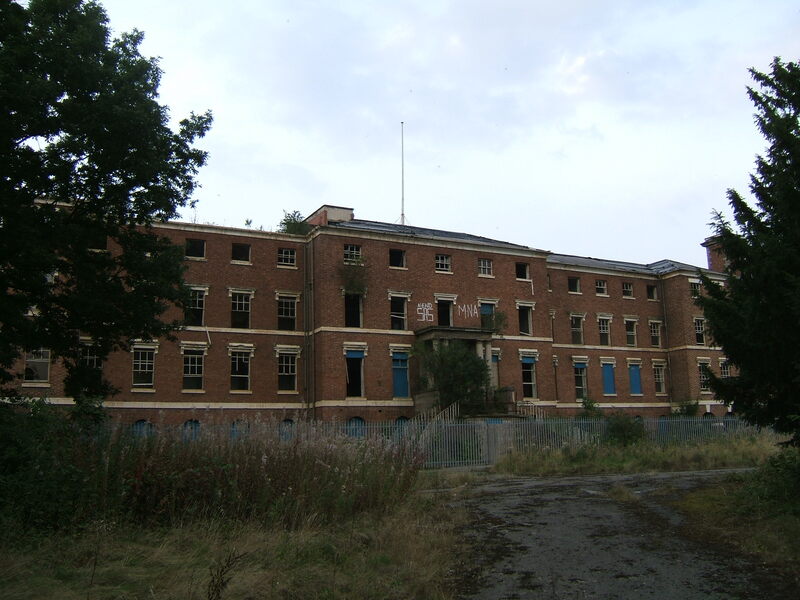 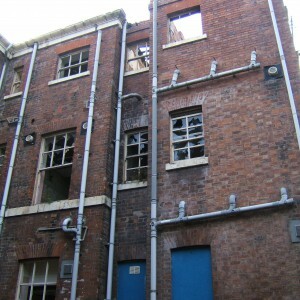 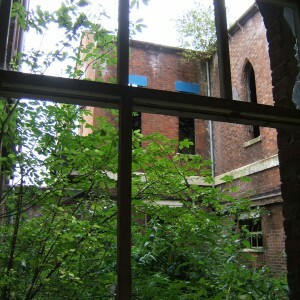 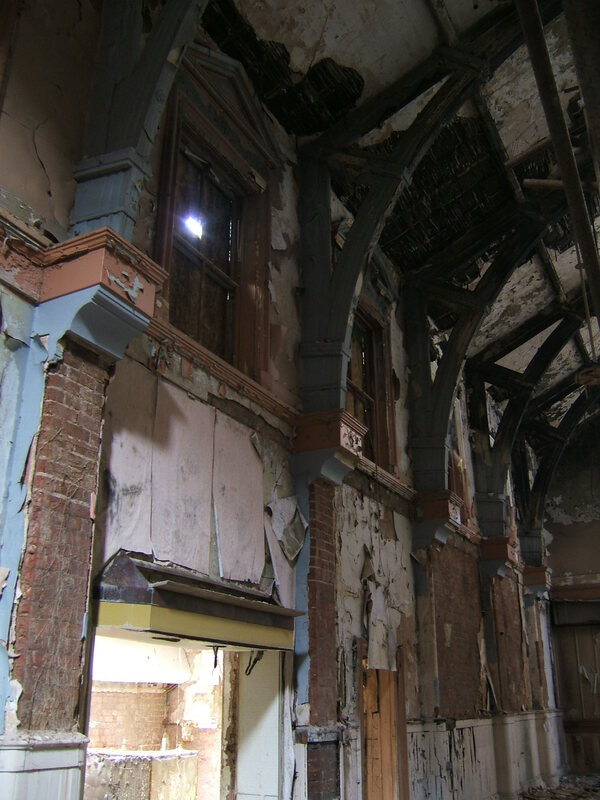 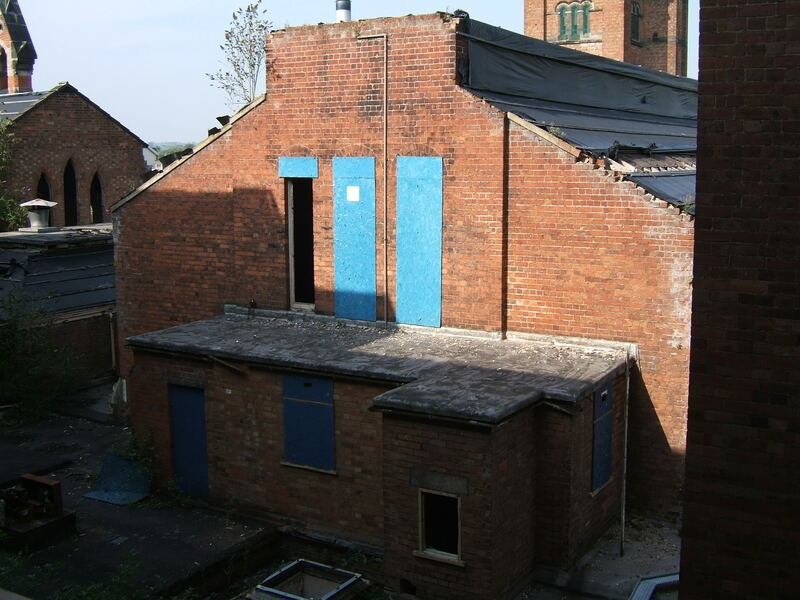 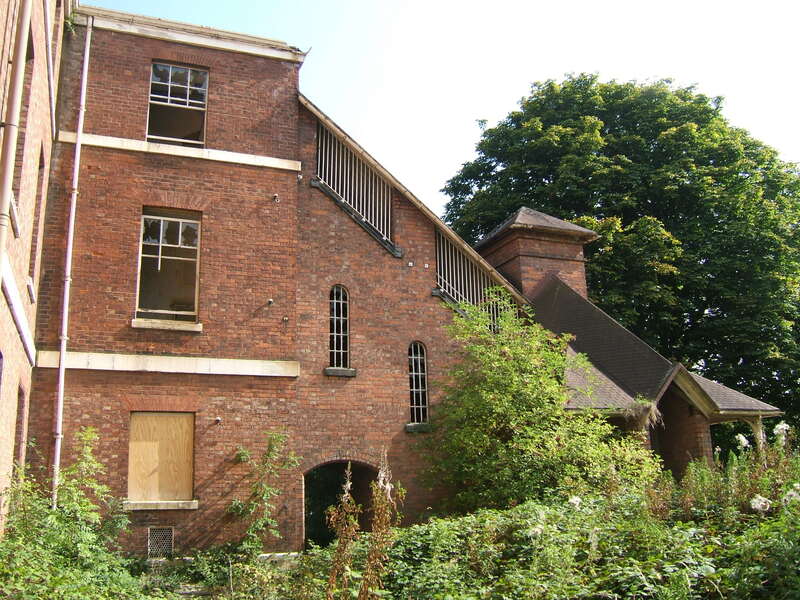 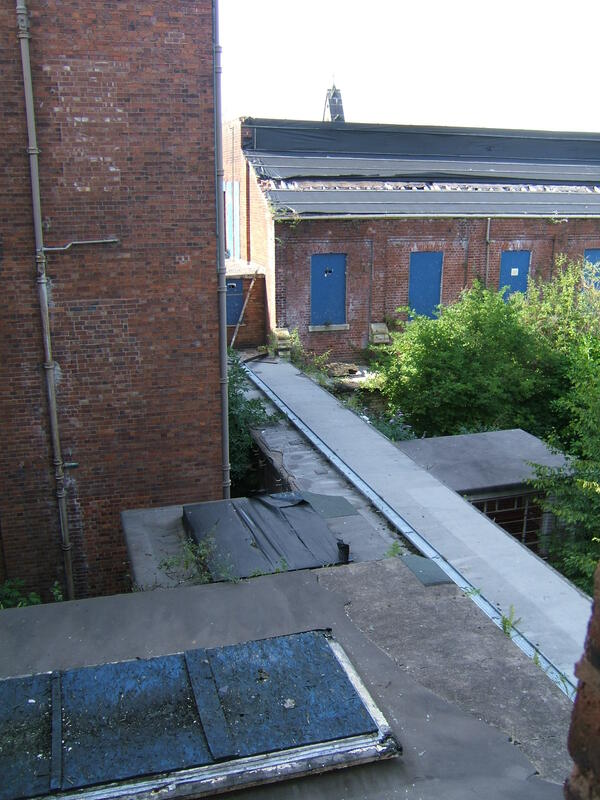 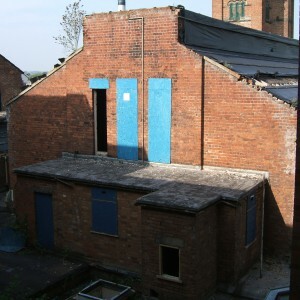 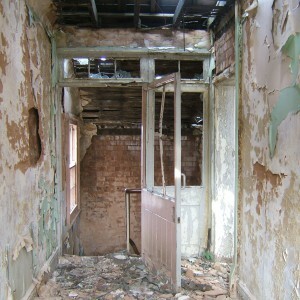 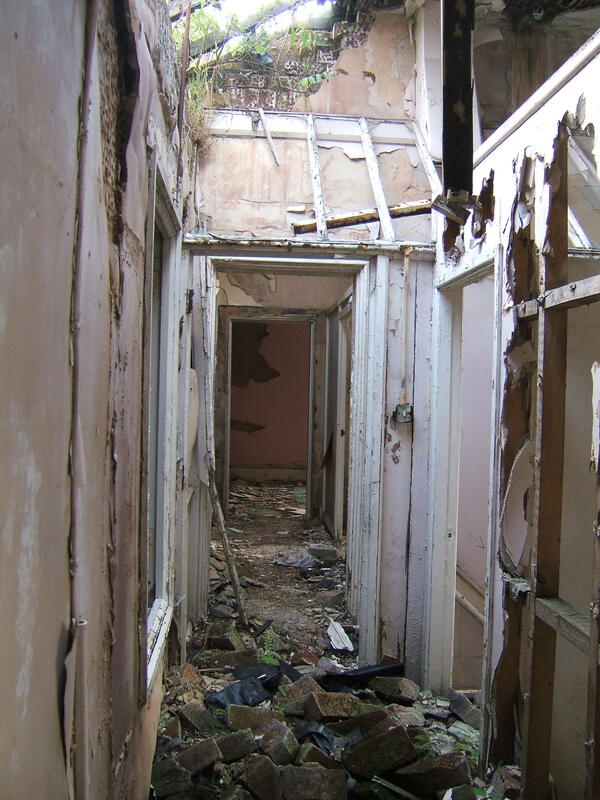 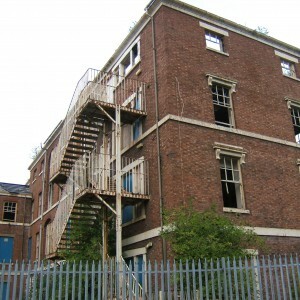 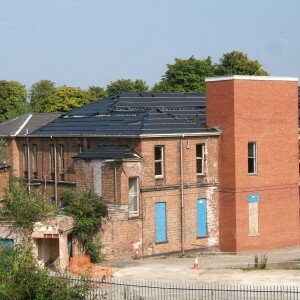 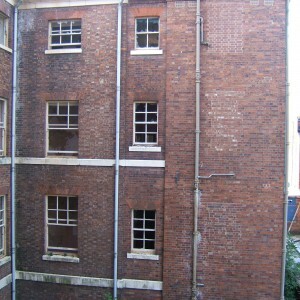 The current plan for the site is for renovation of the main building for use as housing by Shropshire Homes. 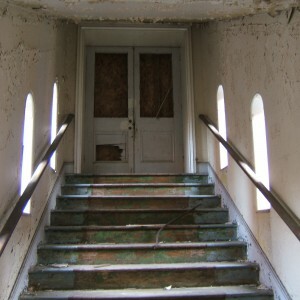 This will see the retention of the central section and additional wings at either end with their distinctive access stairs. 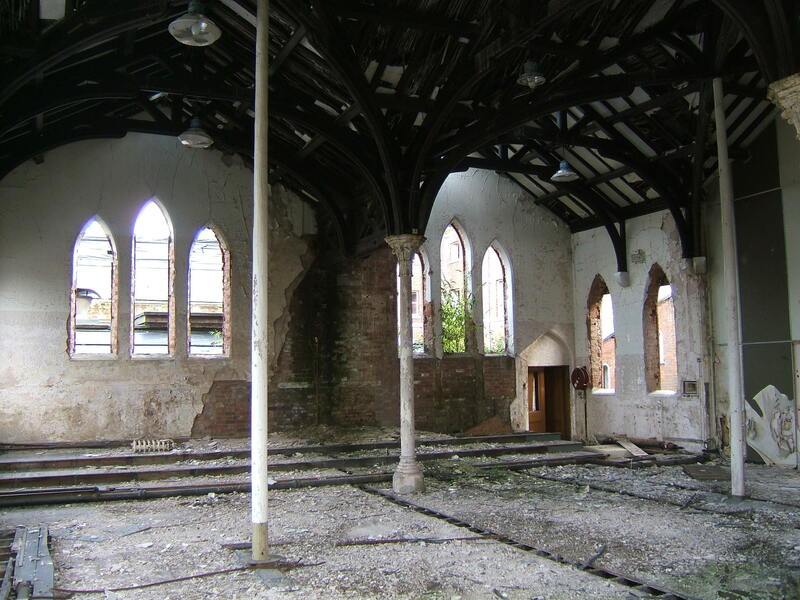 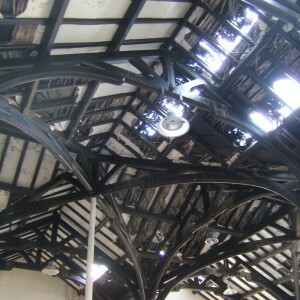 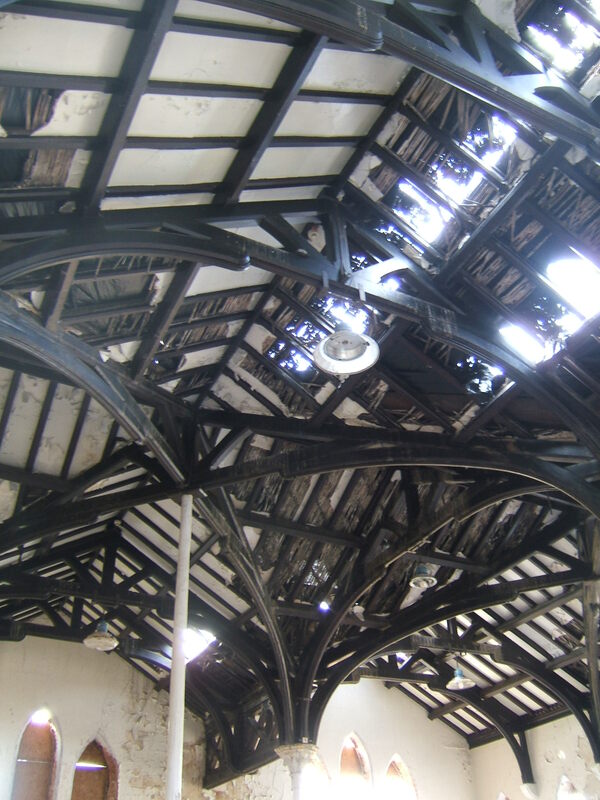 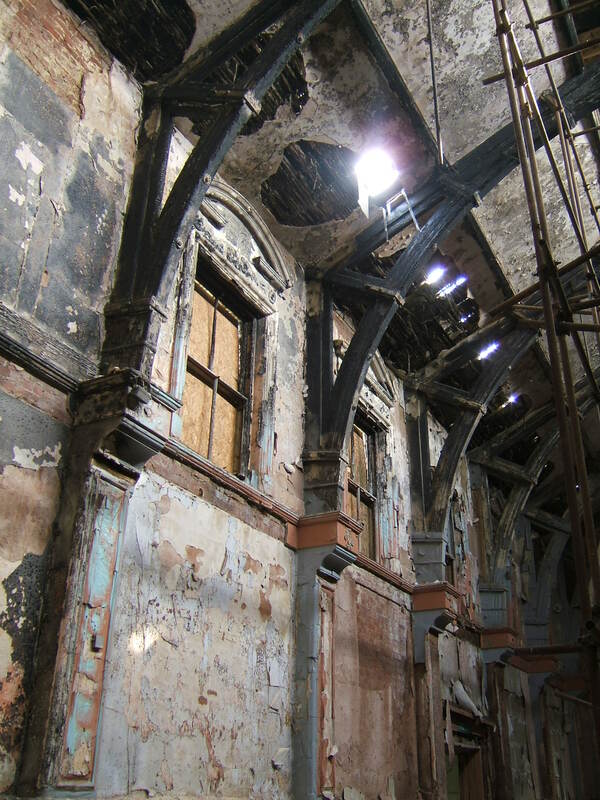 The chapel and recreation hall also remain with the latter also having been gutted by fire but retaining it’s roof and much internal detailing. 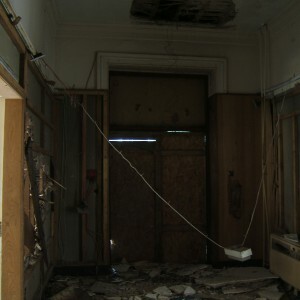 The female division has fared better and retained most of its internal structure. 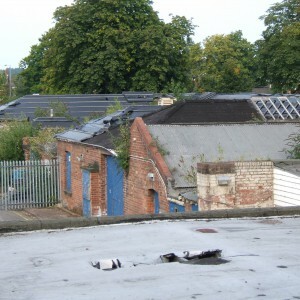 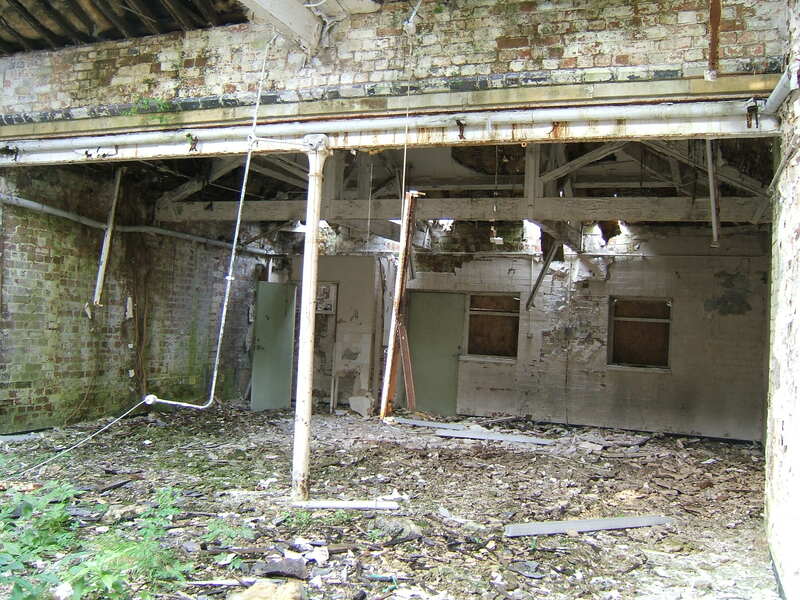 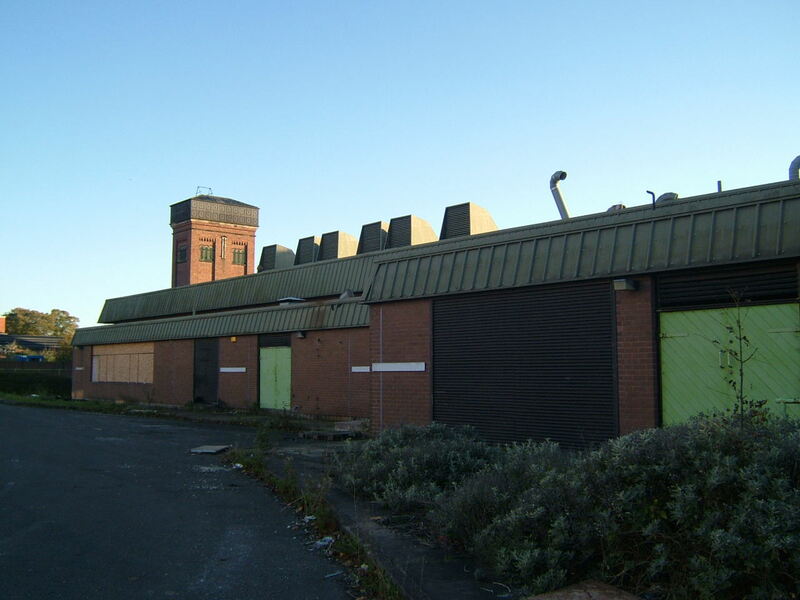 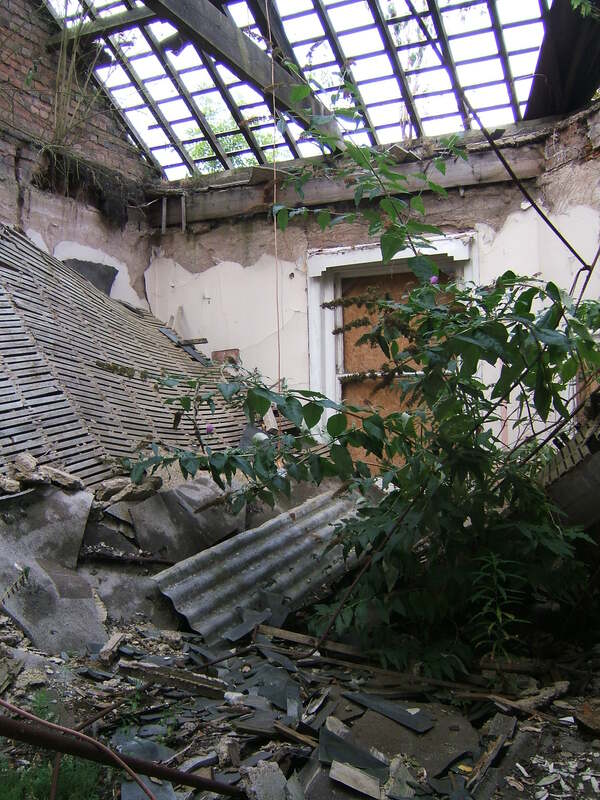 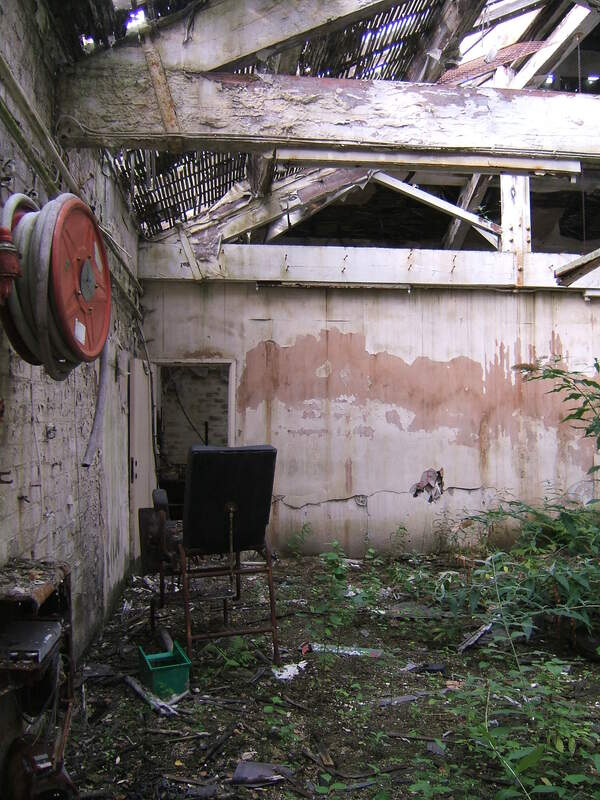 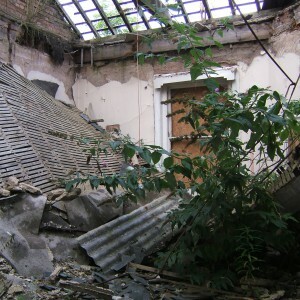 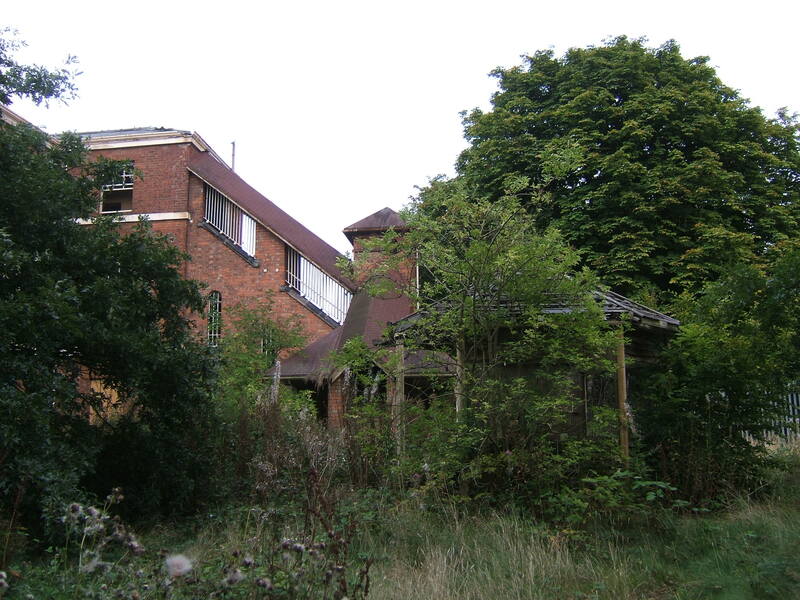 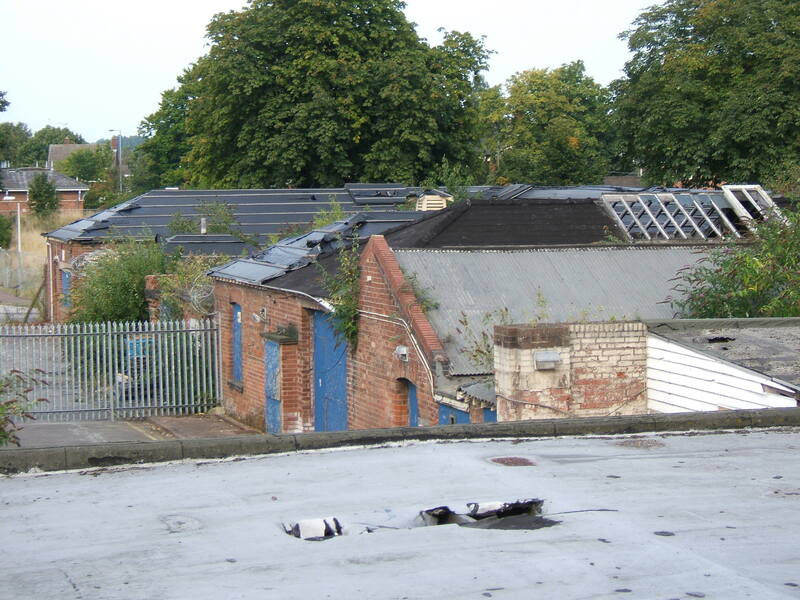 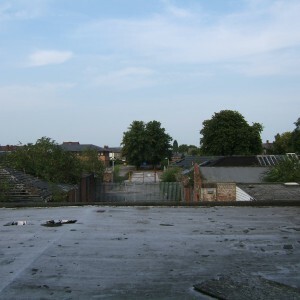 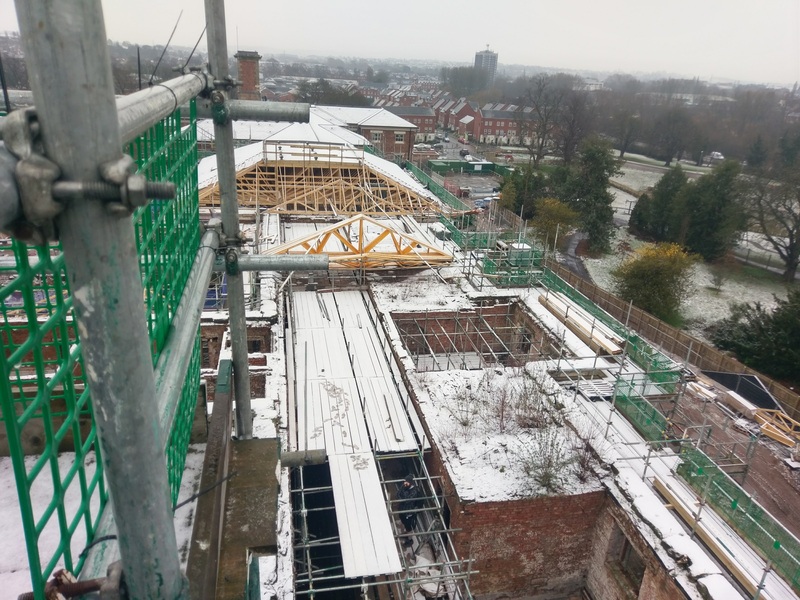 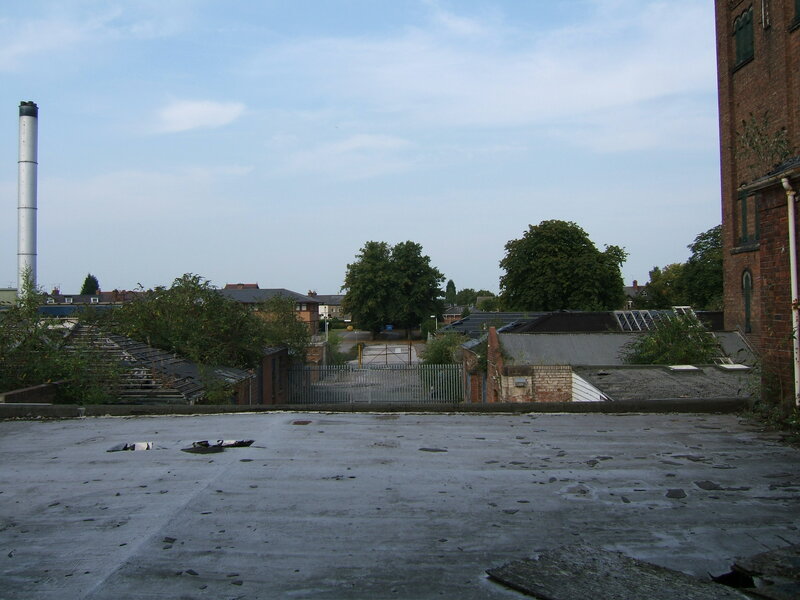 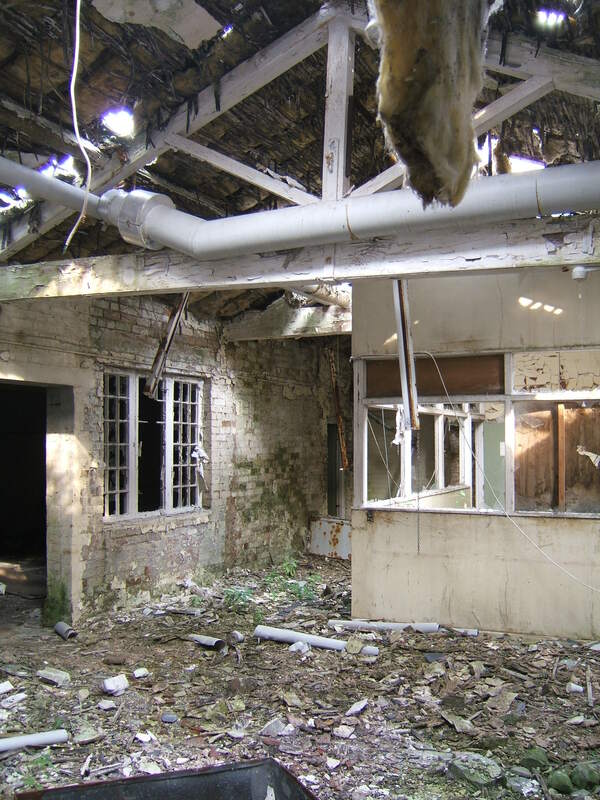 The majority of outlying buildings have now been demolished including the remains of the farm, the female pavilion and works areas, district laundry and Norbury Ward. 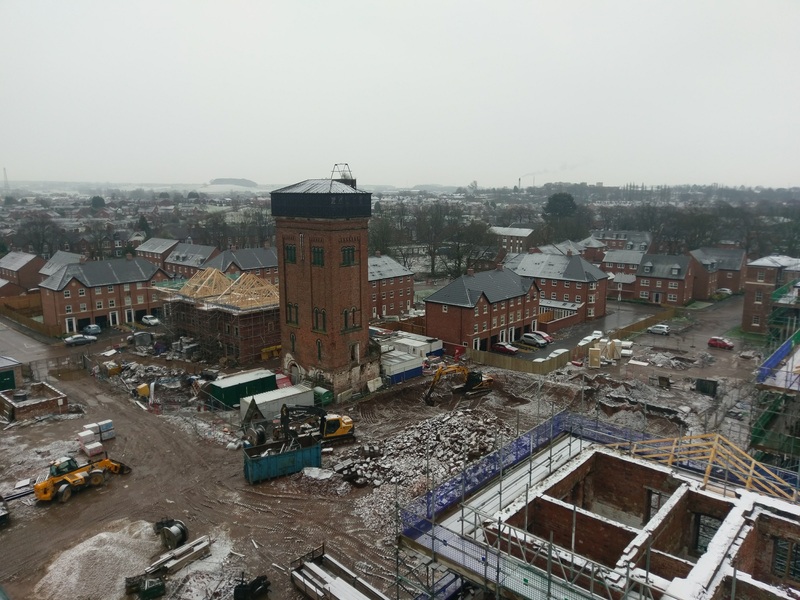 New roads have been laid out across the grounds around the main building and houses built on much of the site. 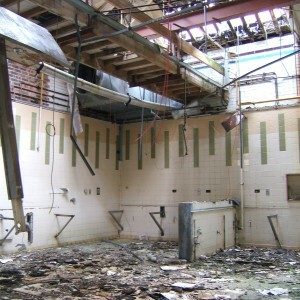 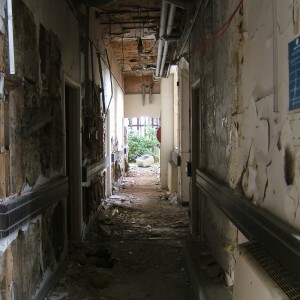 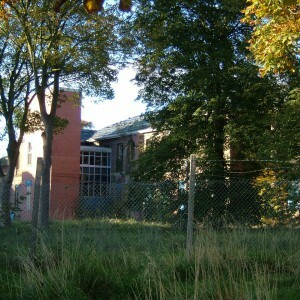 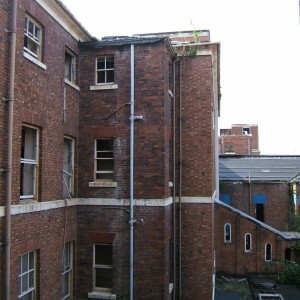 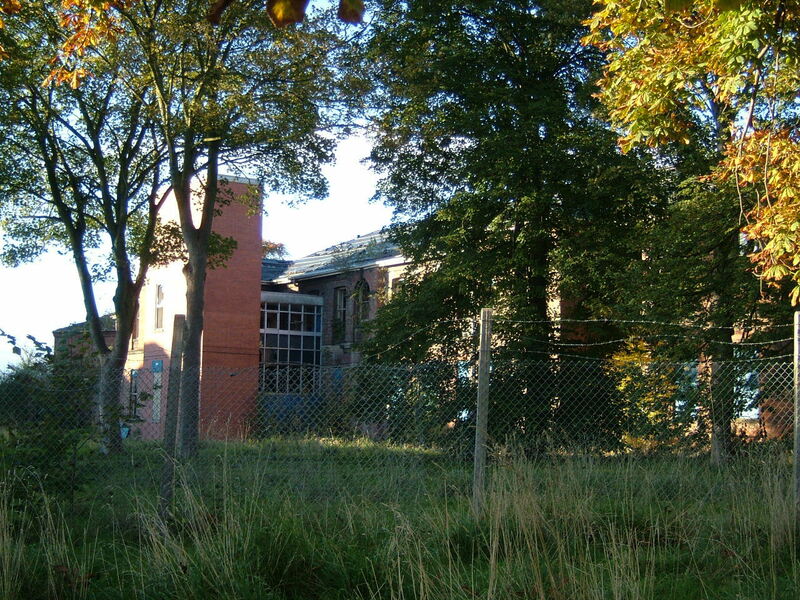 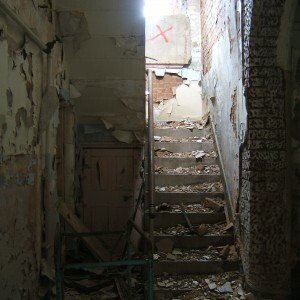 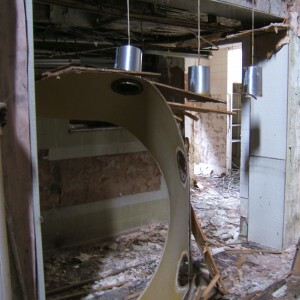 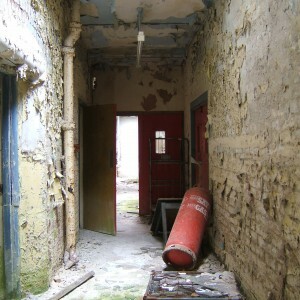 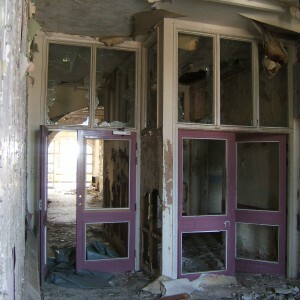 The remaining campus of St. George’s Hospital remains to the east and continues to be used for mental health services. 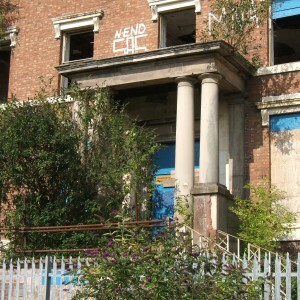 The nurse’s home, Sandon Villa (former sanitary block), Weston Villa (former Isolation hospital), former Kingsmead block and Staff Club remain in use. 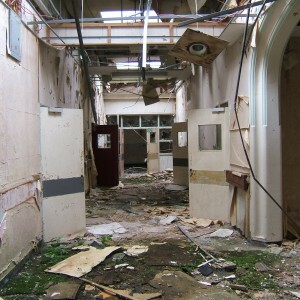 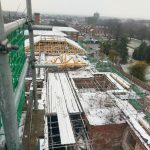 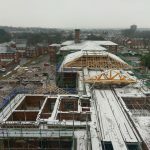 The admission hospital has retained only the two storey sections of building whilst the single storey and corridor sections have been demolished and replaced by new ward structures, which now connect between them. 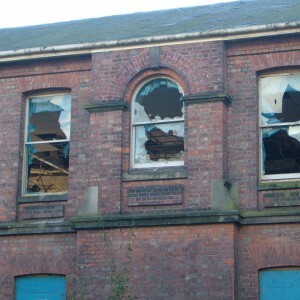 SORRY TO SEE A WONDERFUL OLD BUILDING IN SUCH A BAD WAY. 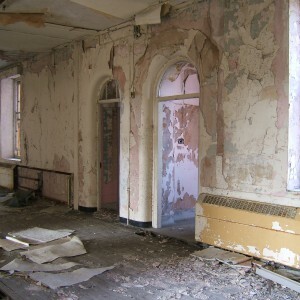 My poor great-grandfather ended up here in 1927, where he died. 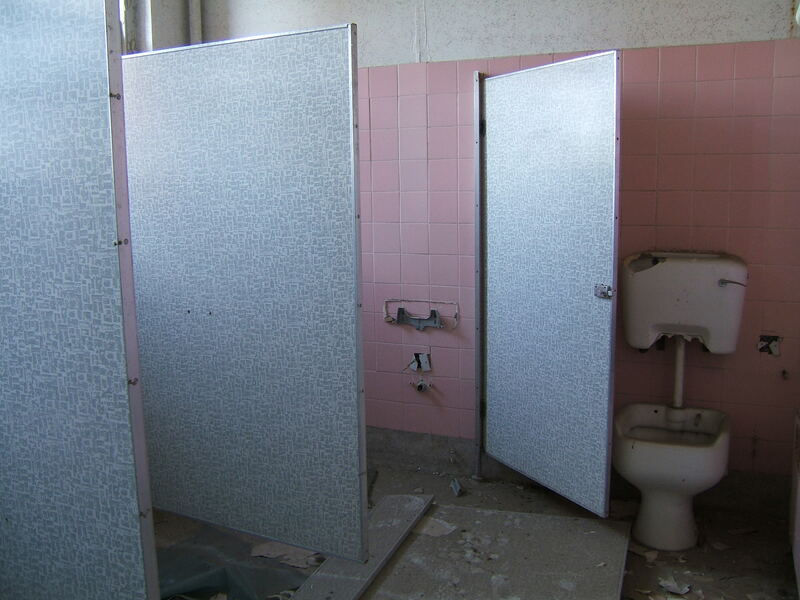 I would love to know more about what happened. 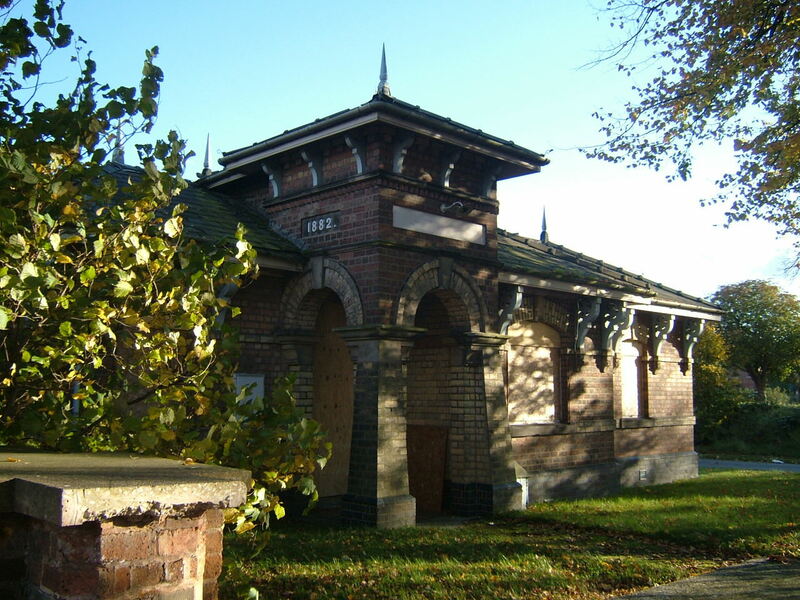 My great great grandfather too probably around 1895/6 – he died there in 1898. 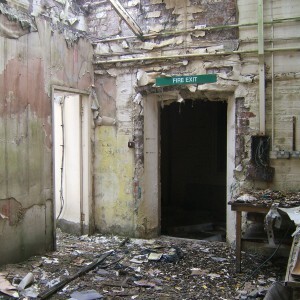 Sadly though no records seem to have survived for that time. 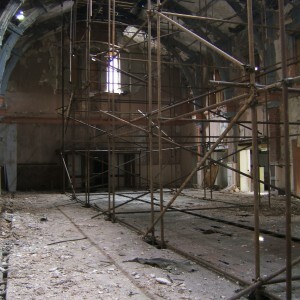 It’s in final stages of conversion. 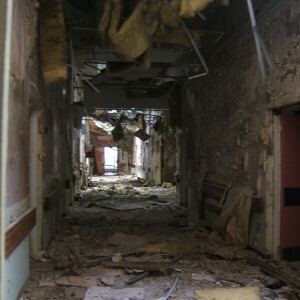 I trained to be a mental health nurse here from 1992-1995. 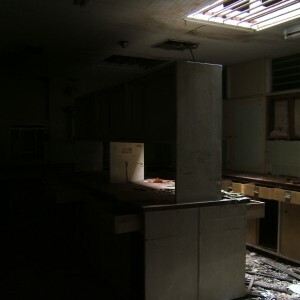 Have some good memories but also a few painful ones. 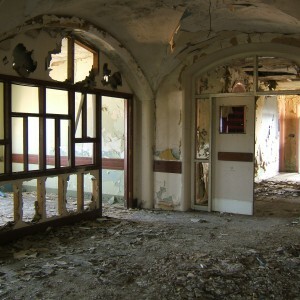 Can’t have been all bad though as I’m still nursing all these years later.